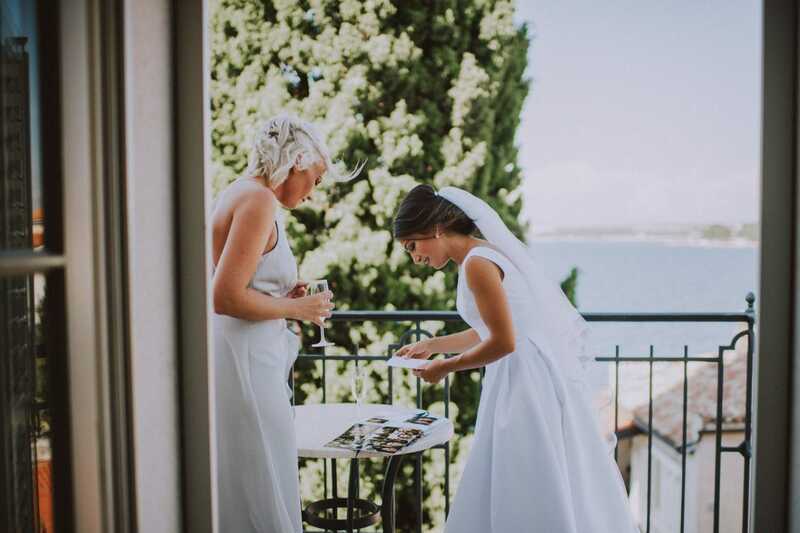 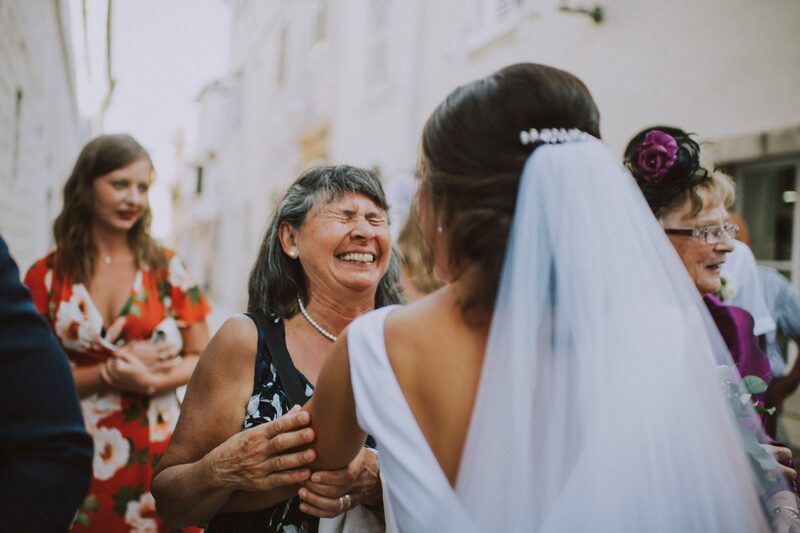 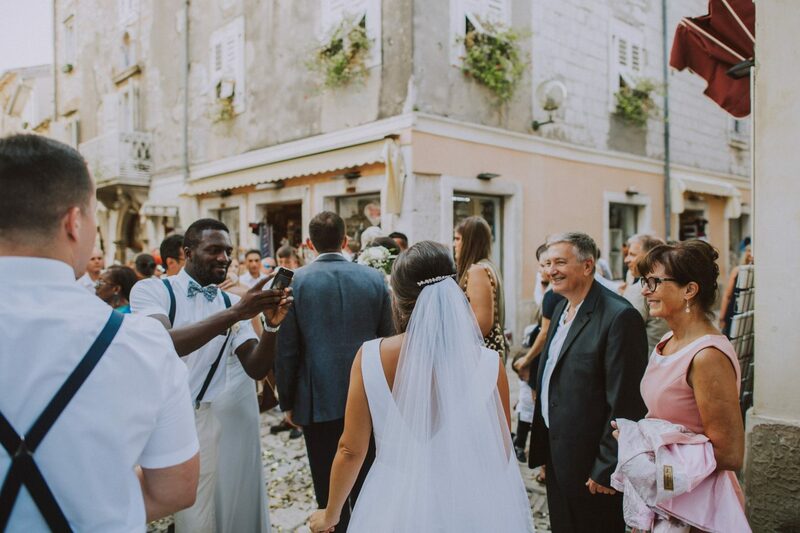 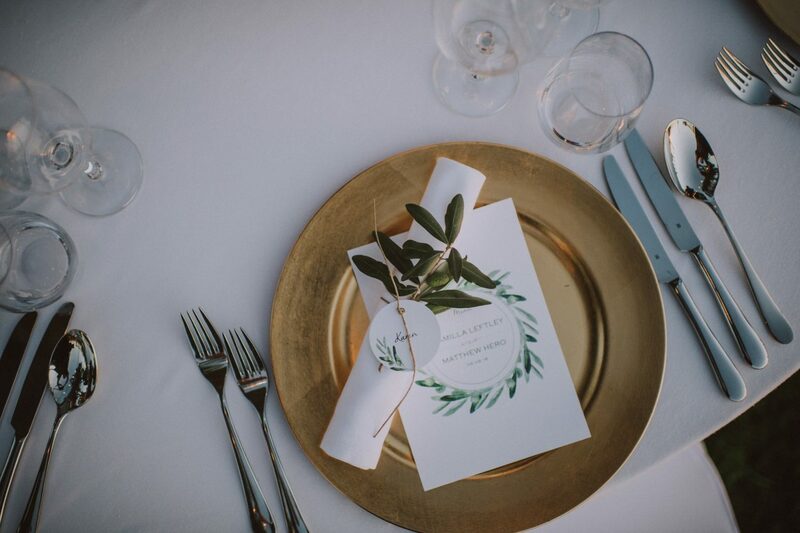 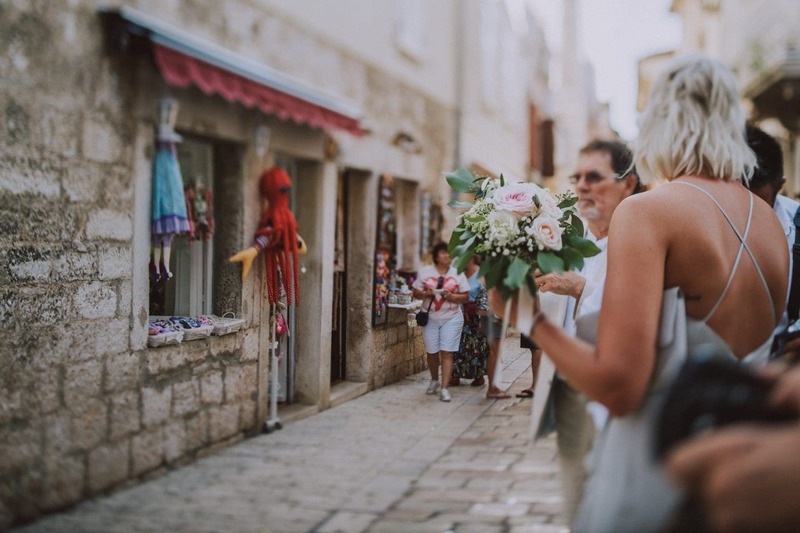 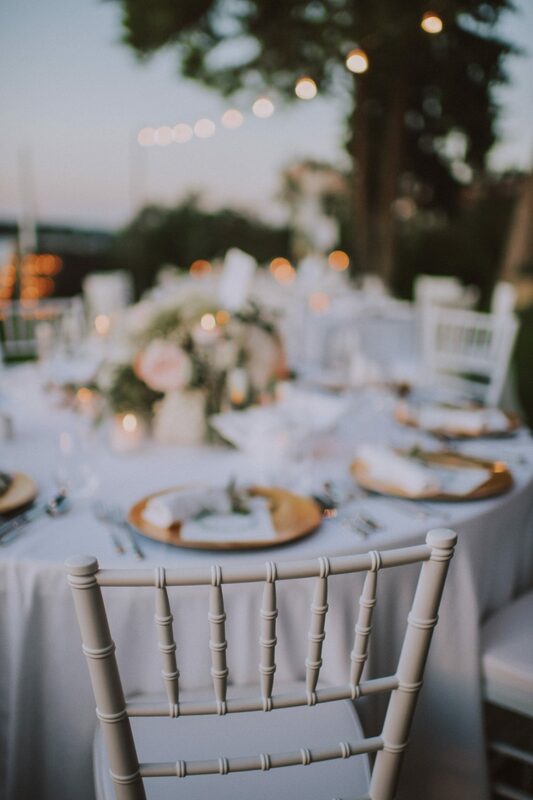 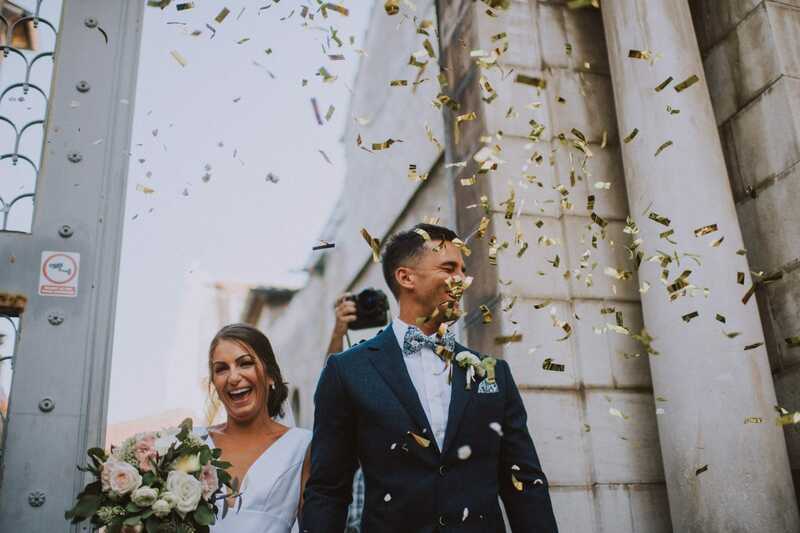 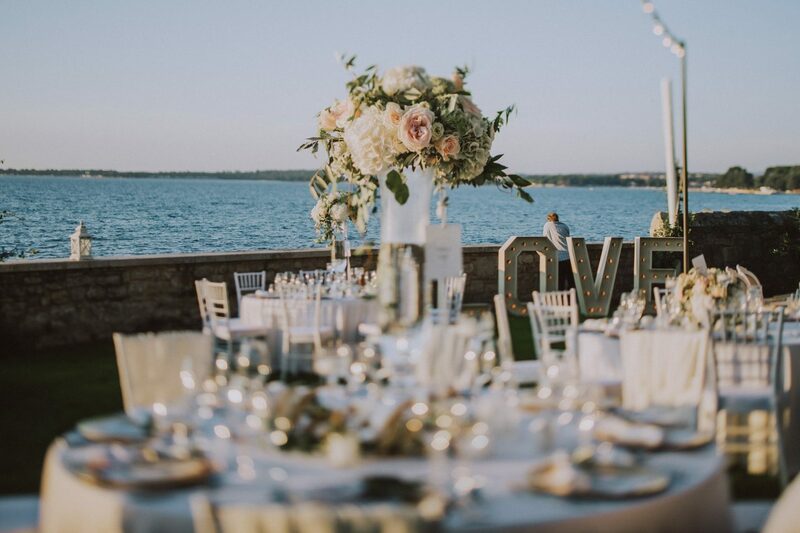 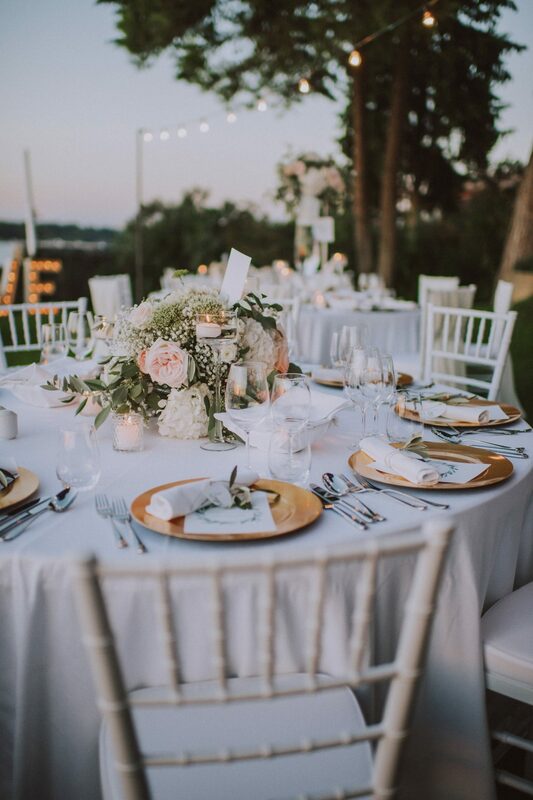 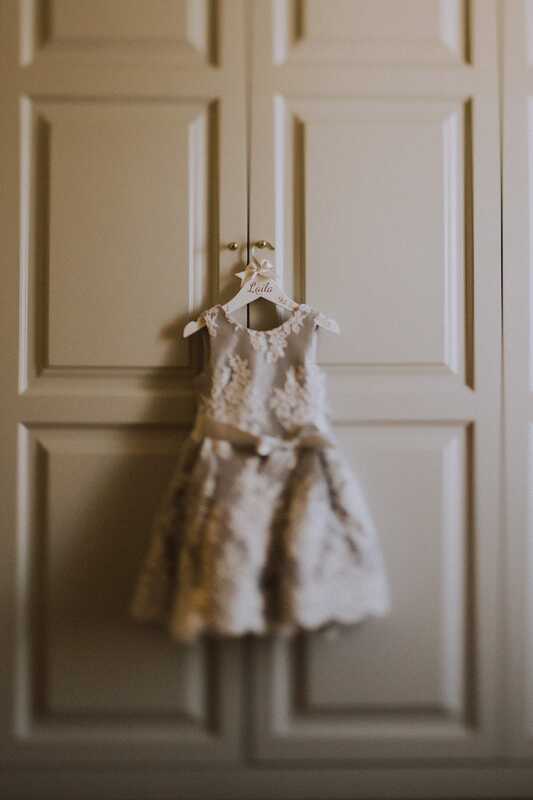 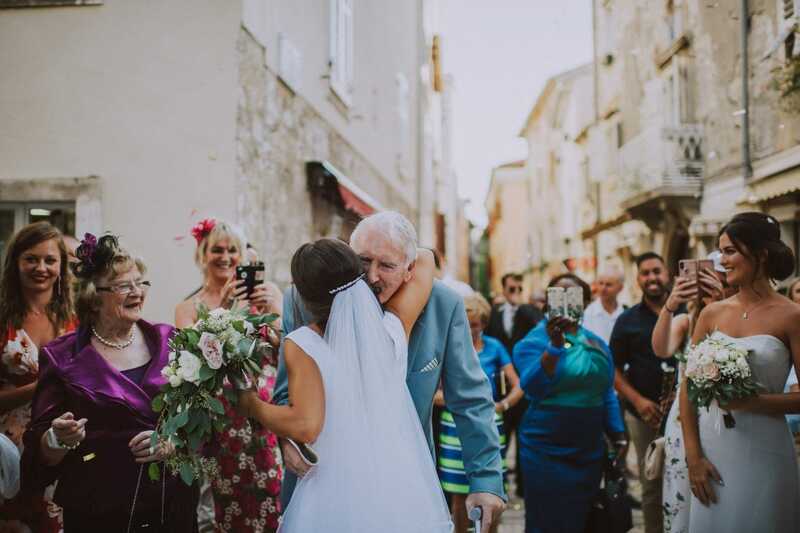 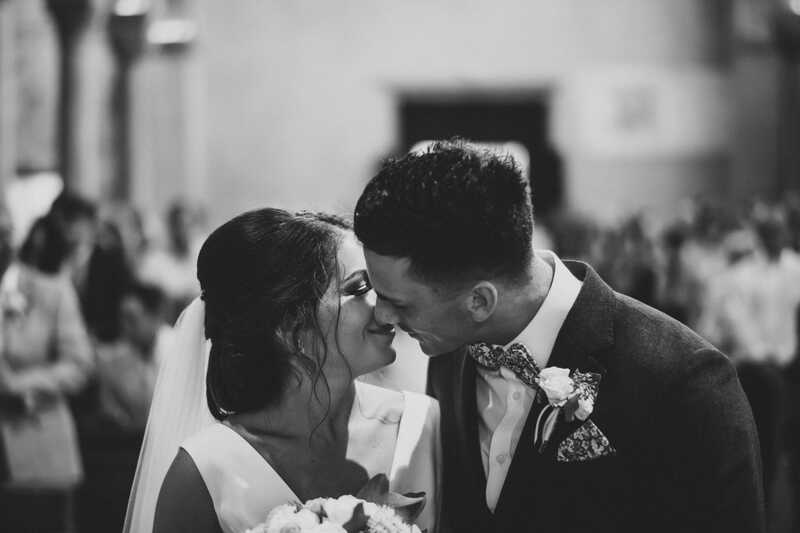 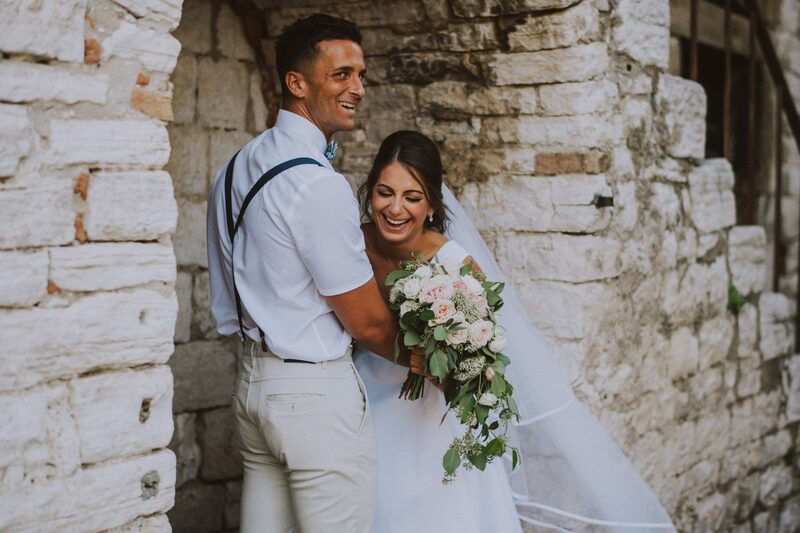 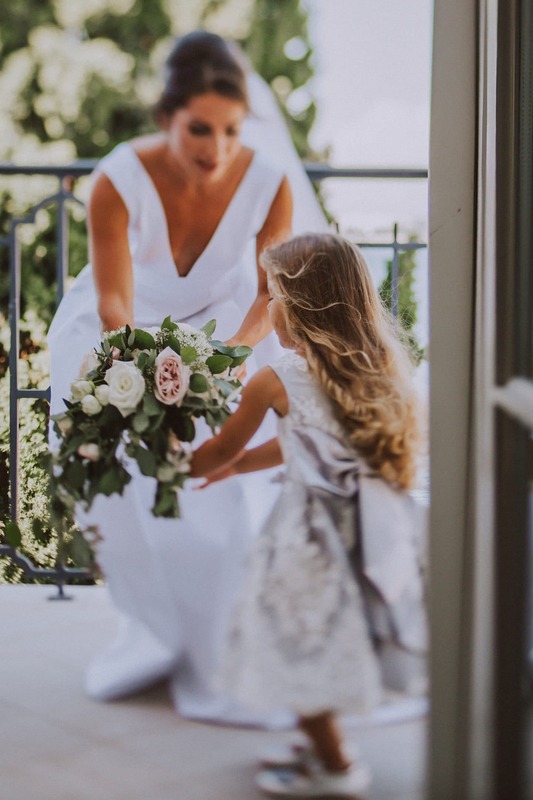 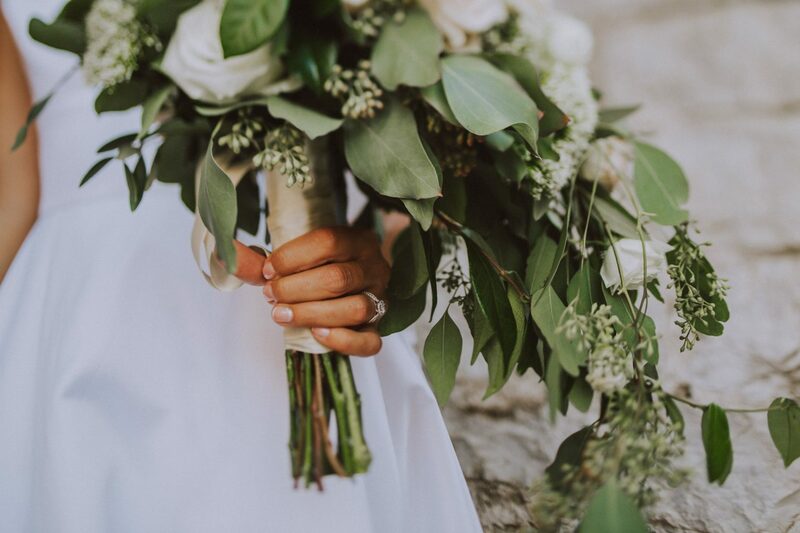 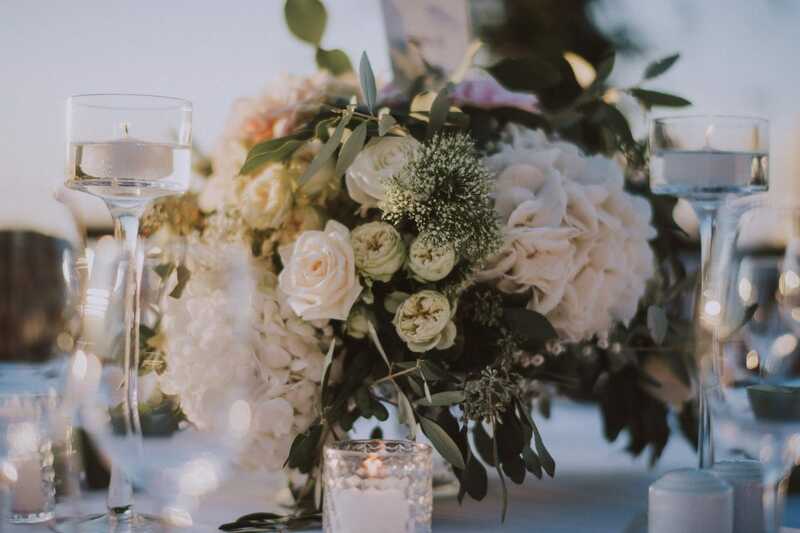 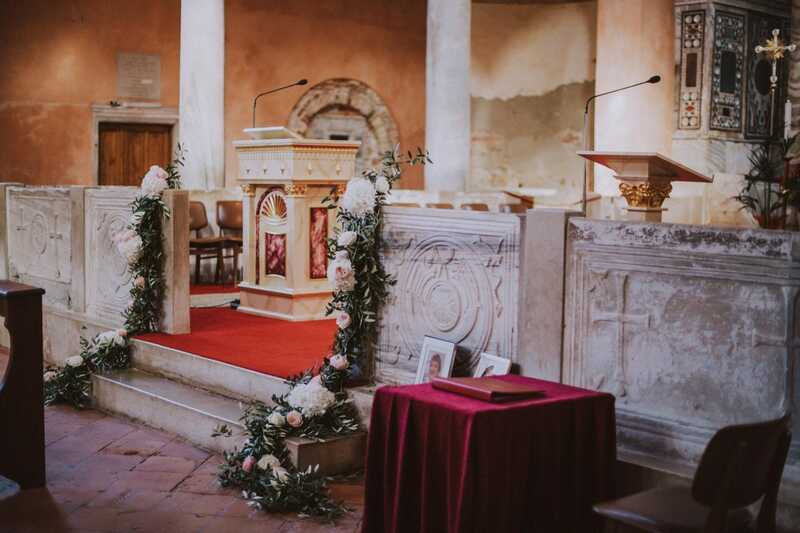 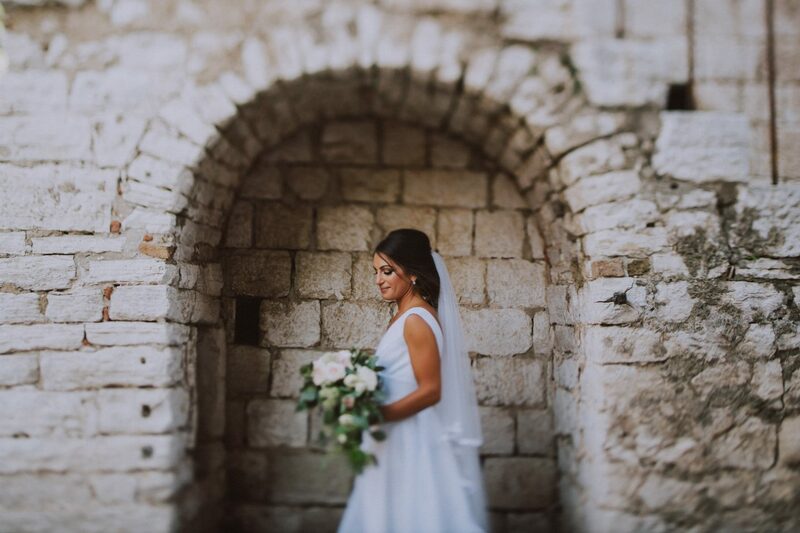 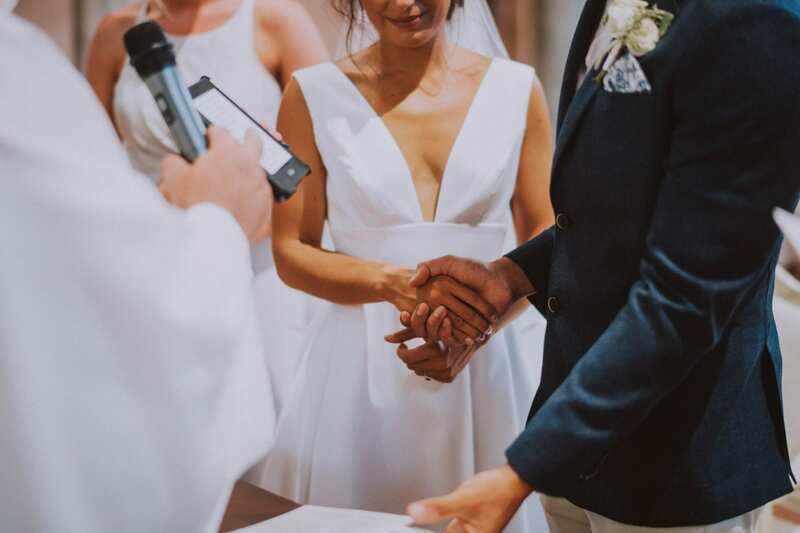 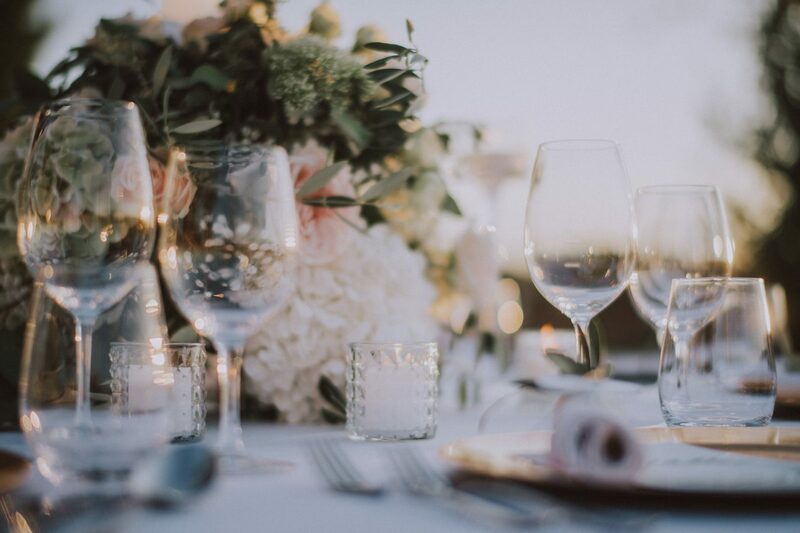 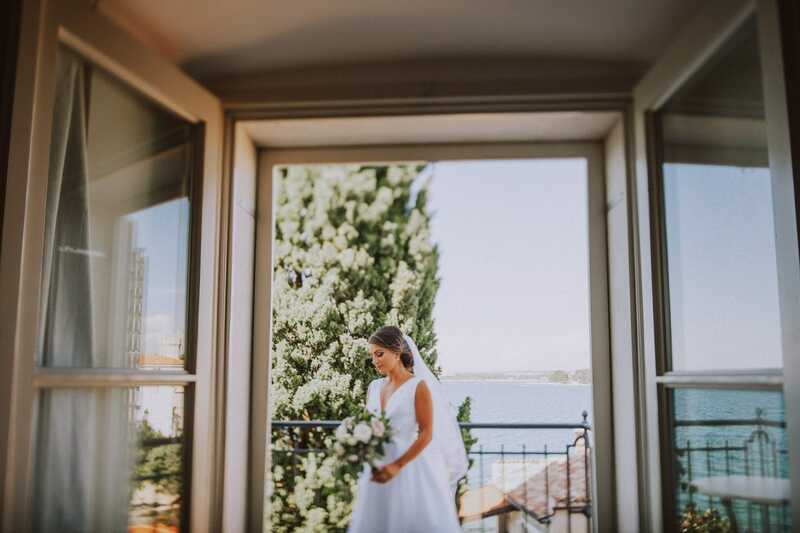 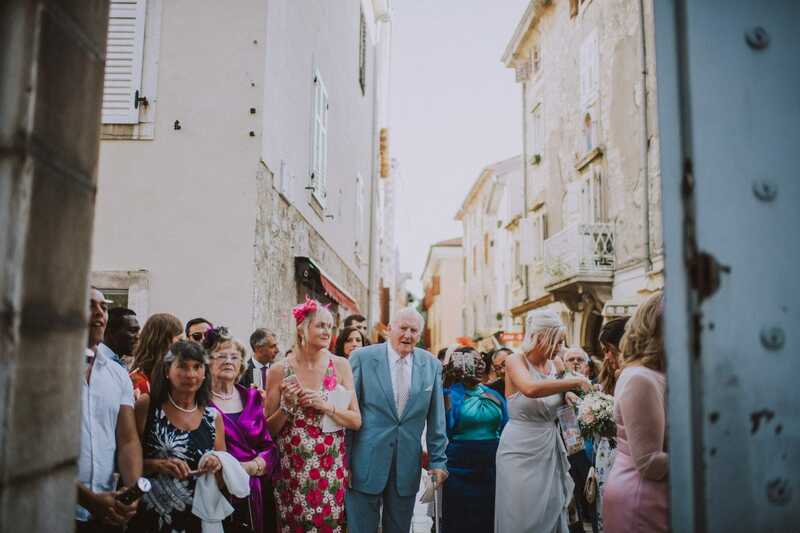 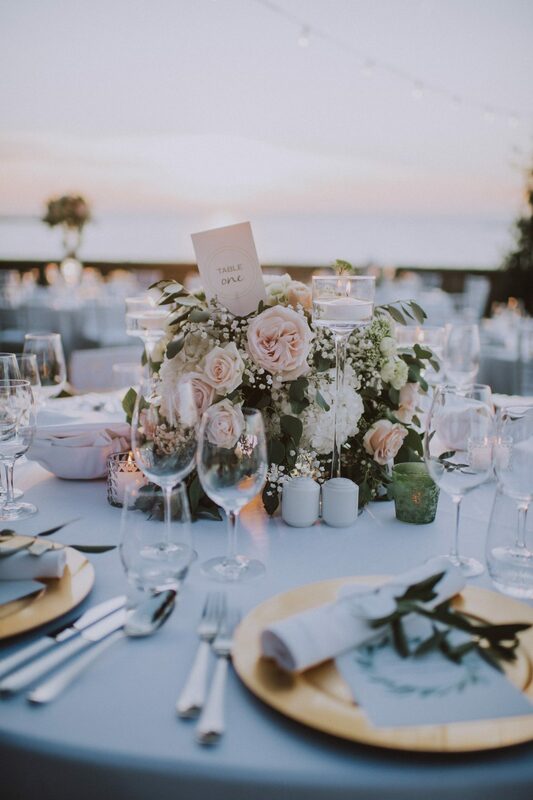 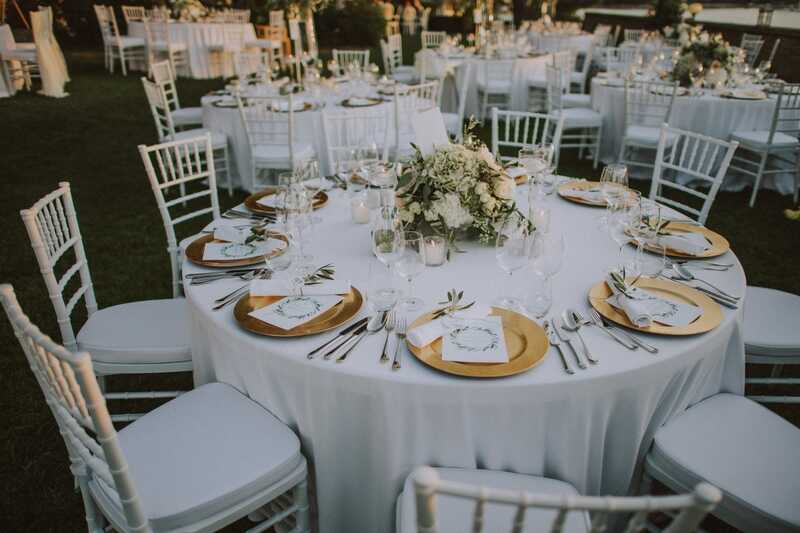 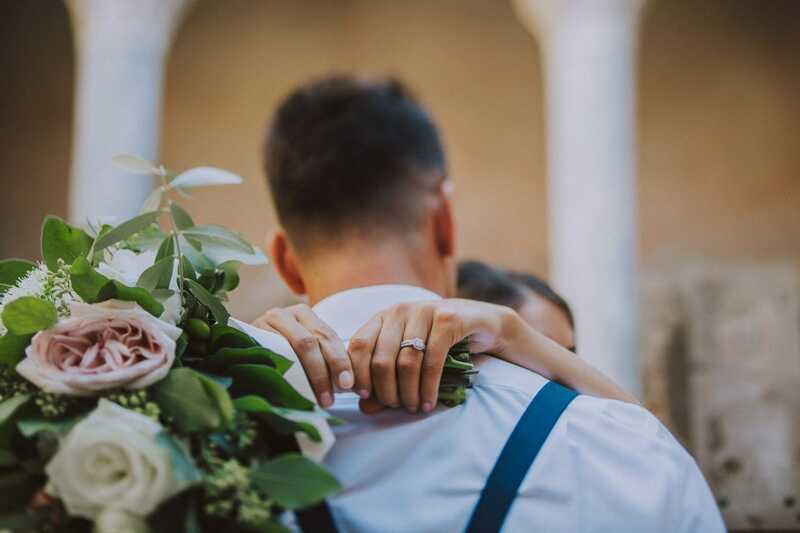 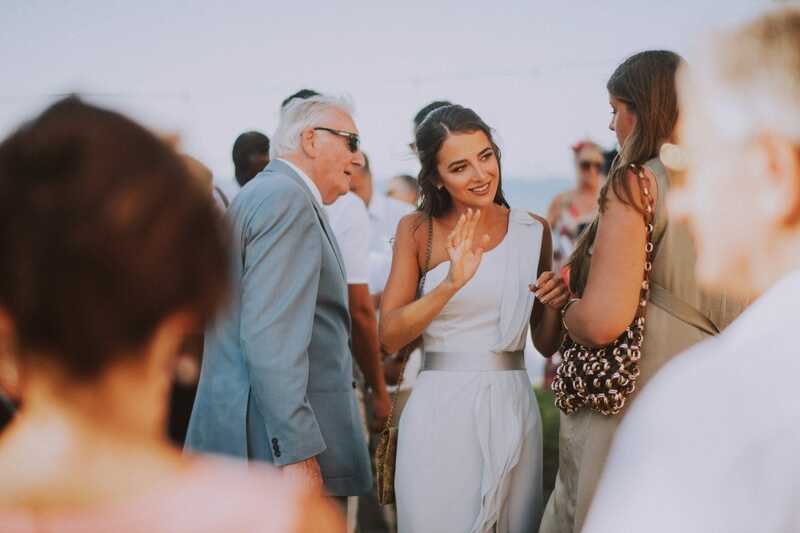 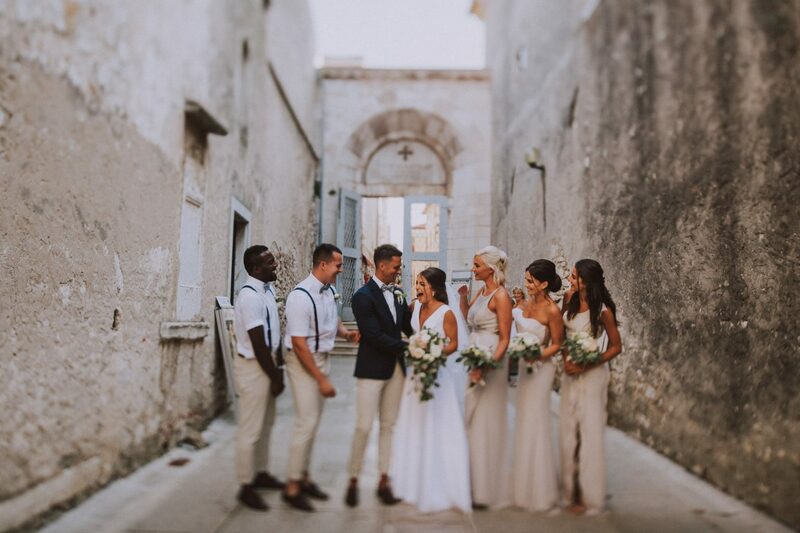 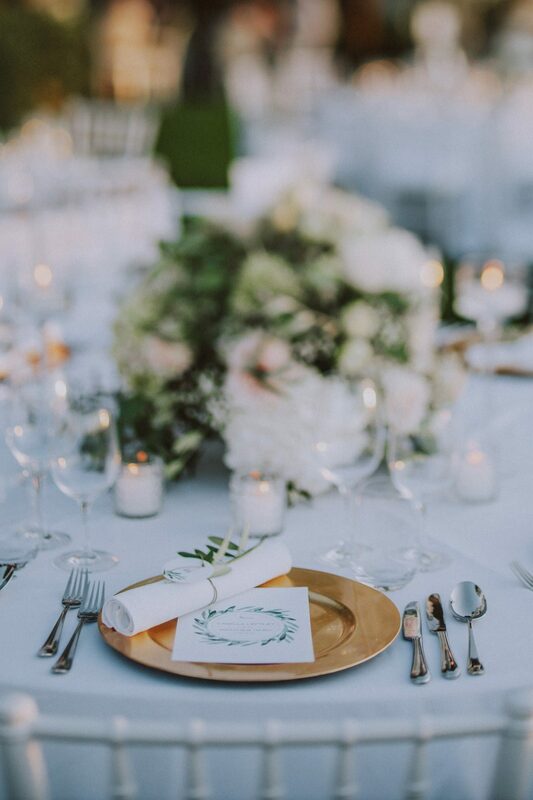 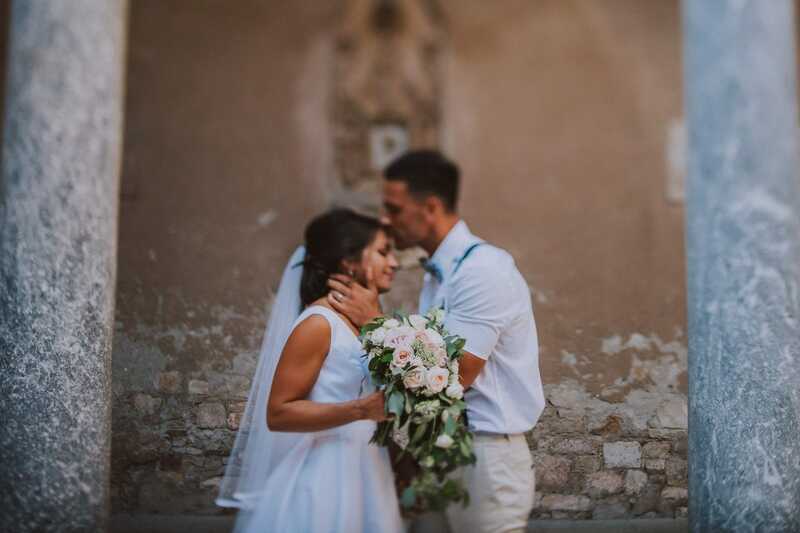 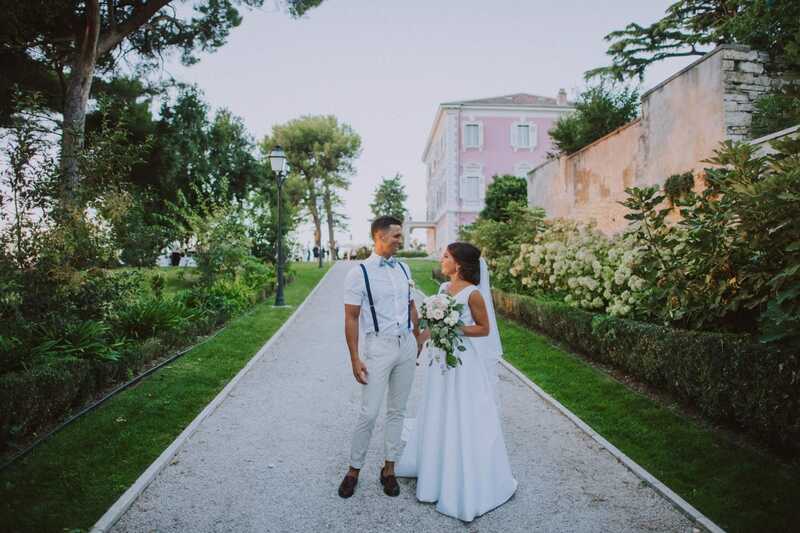 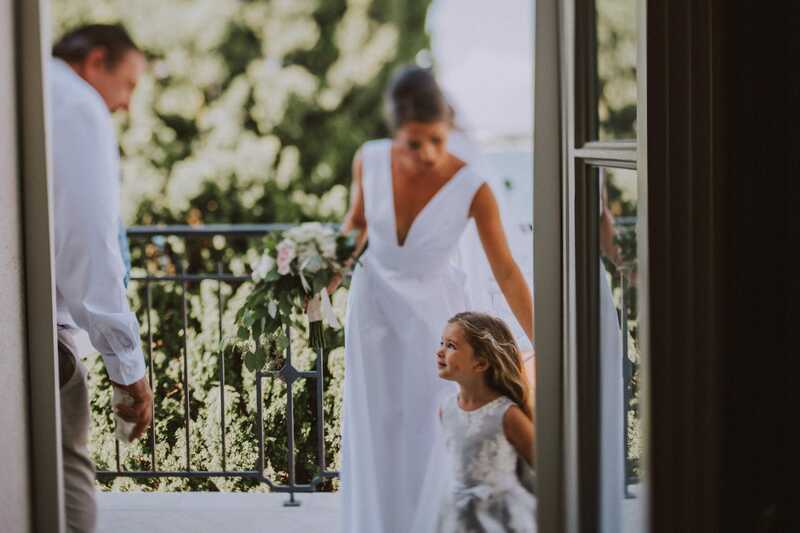 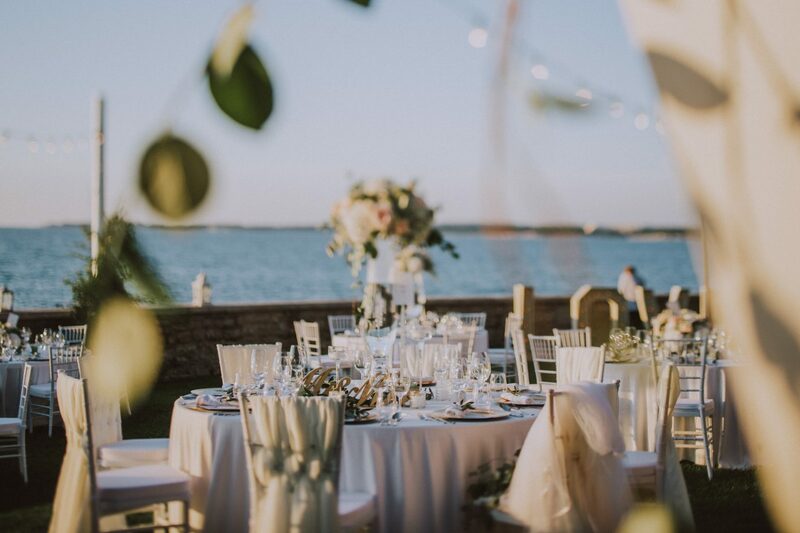 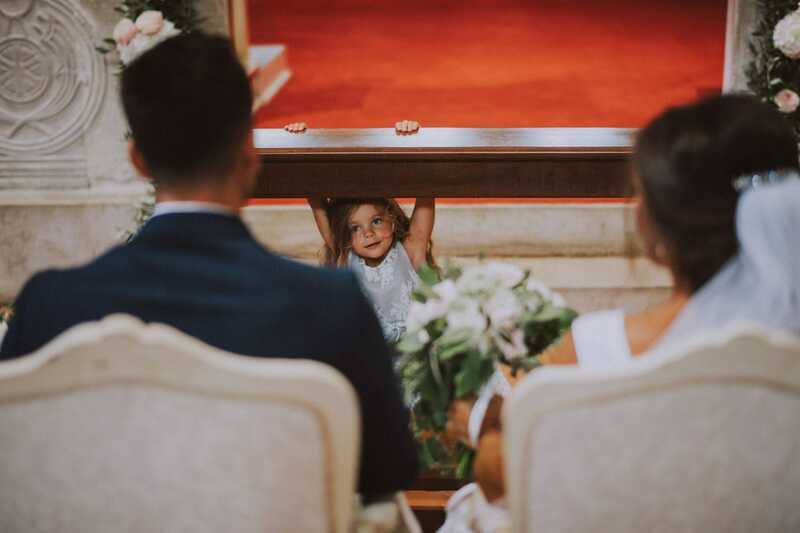 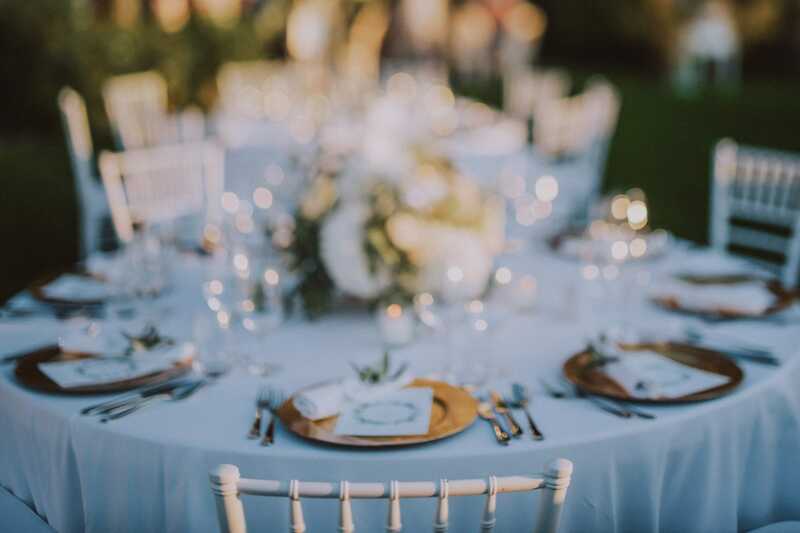 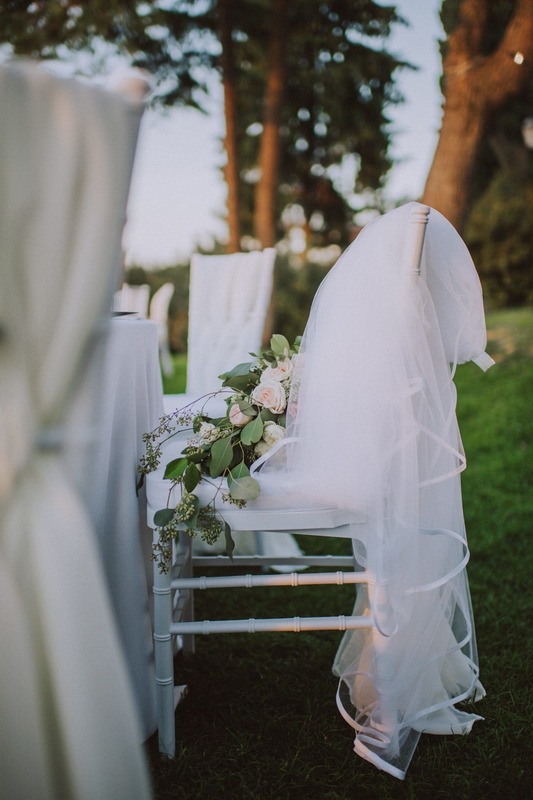 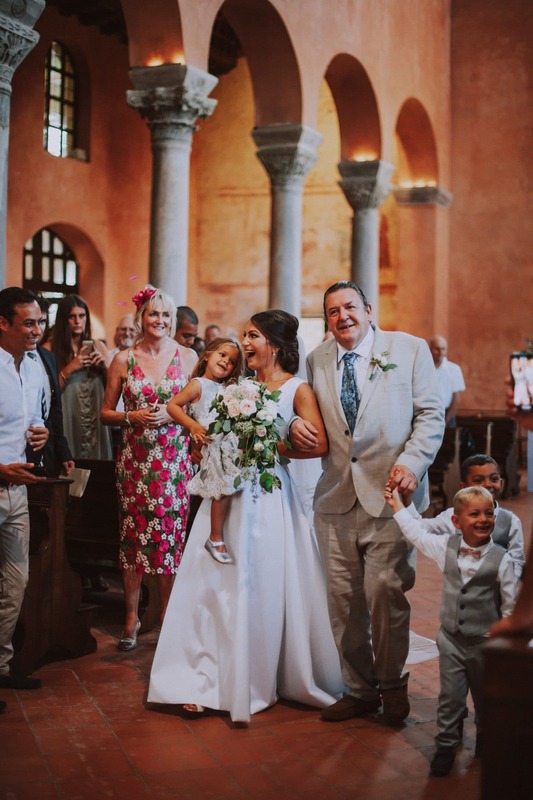 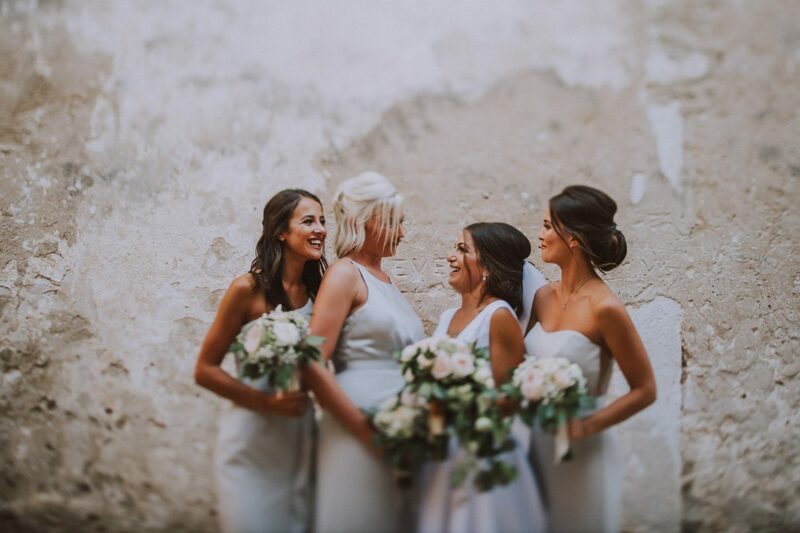 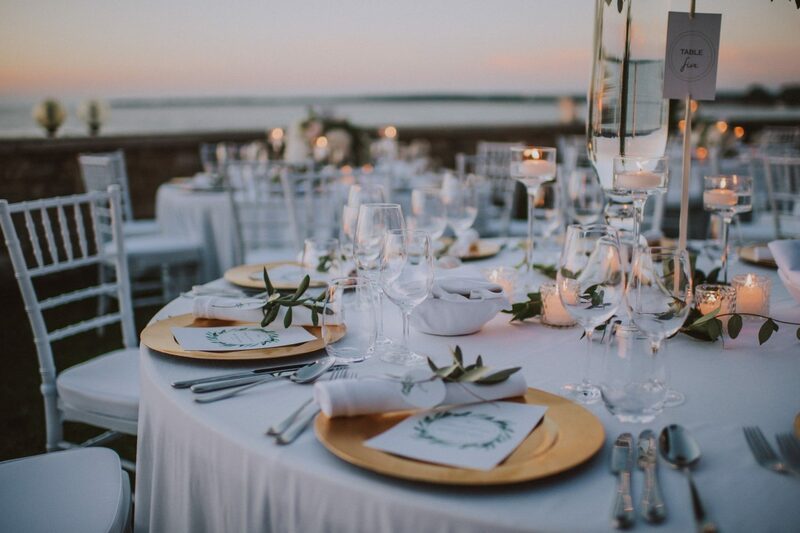 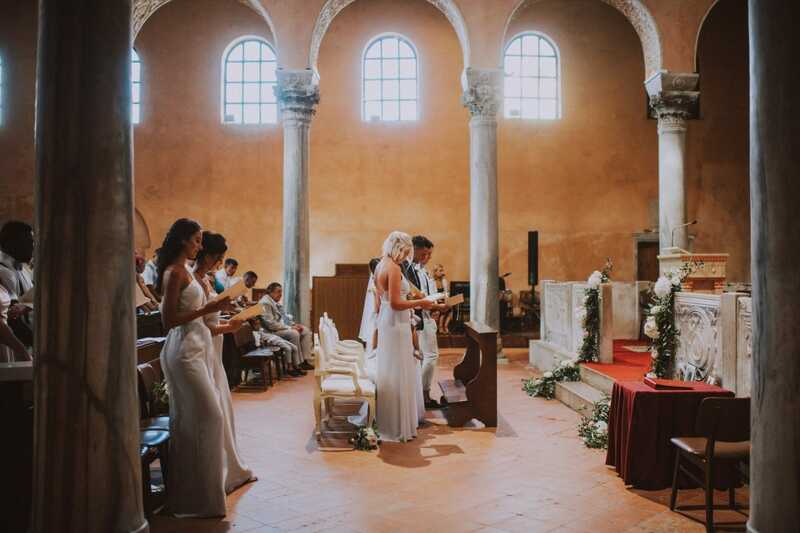 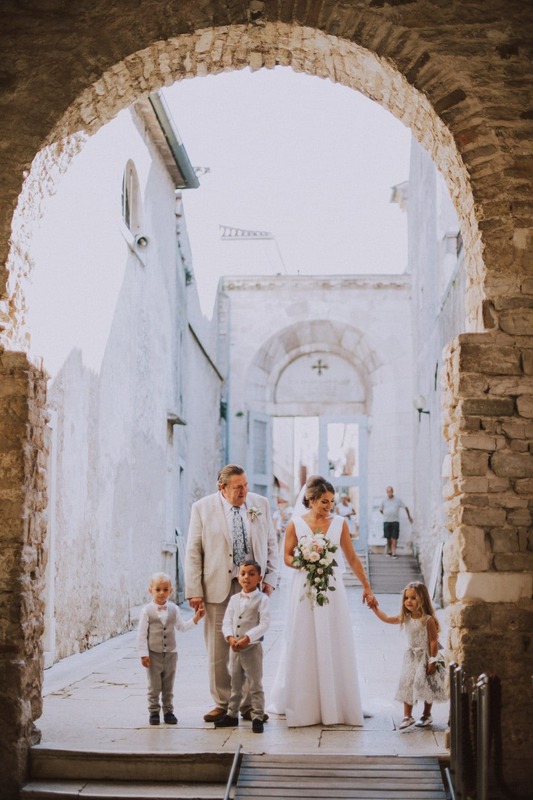 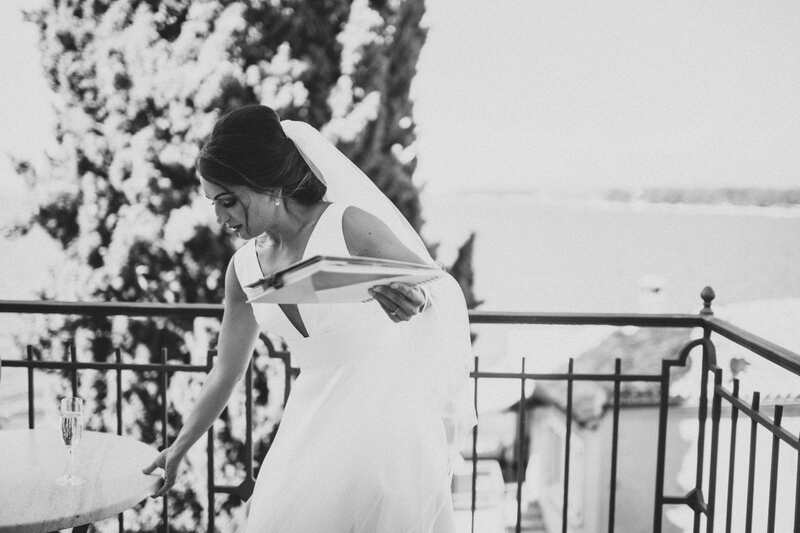 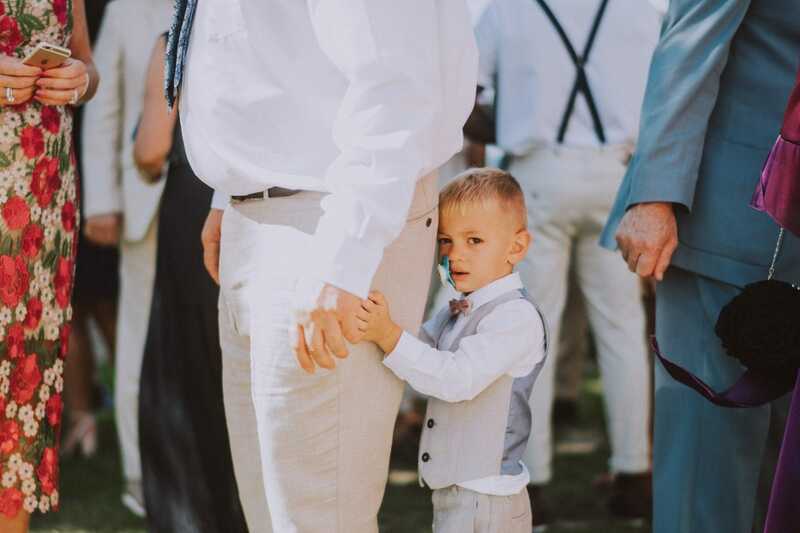 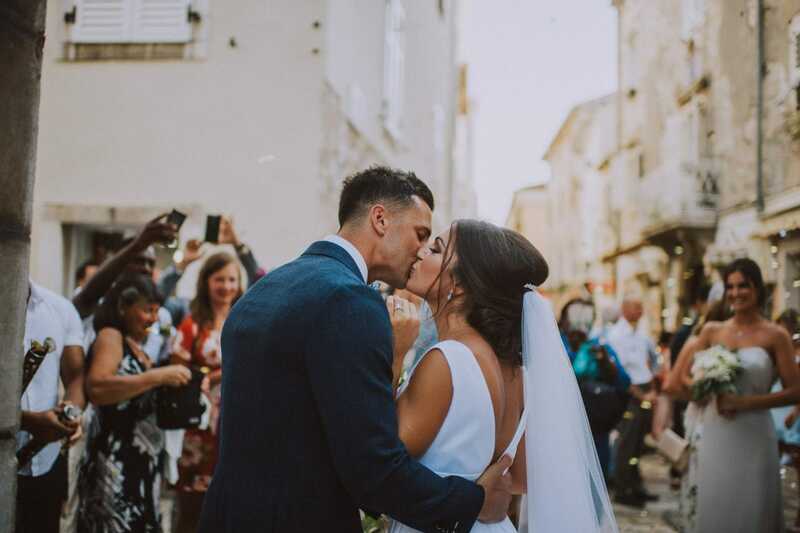 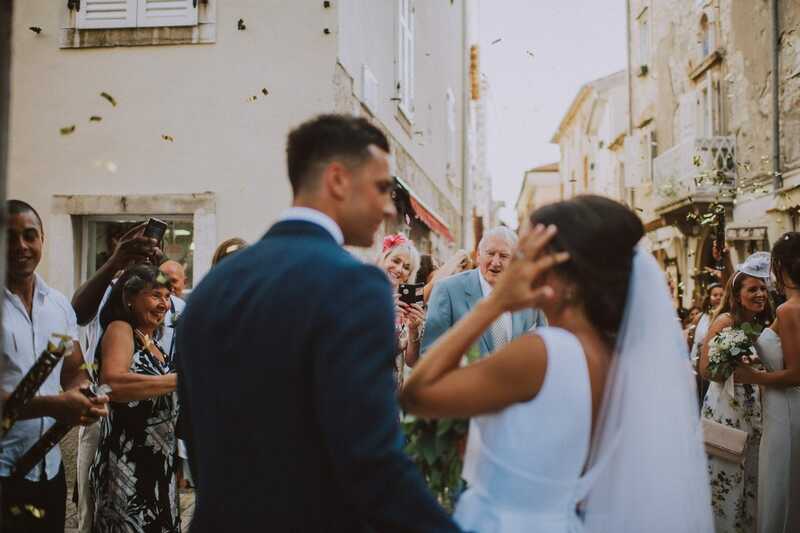 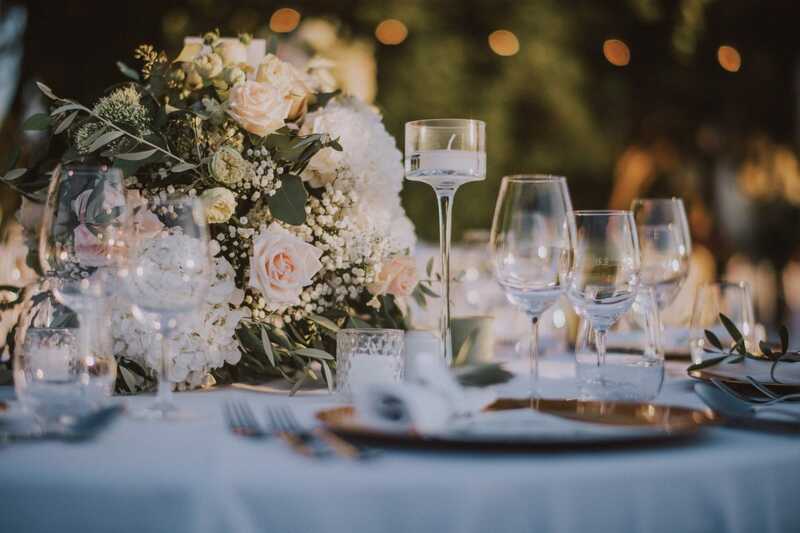 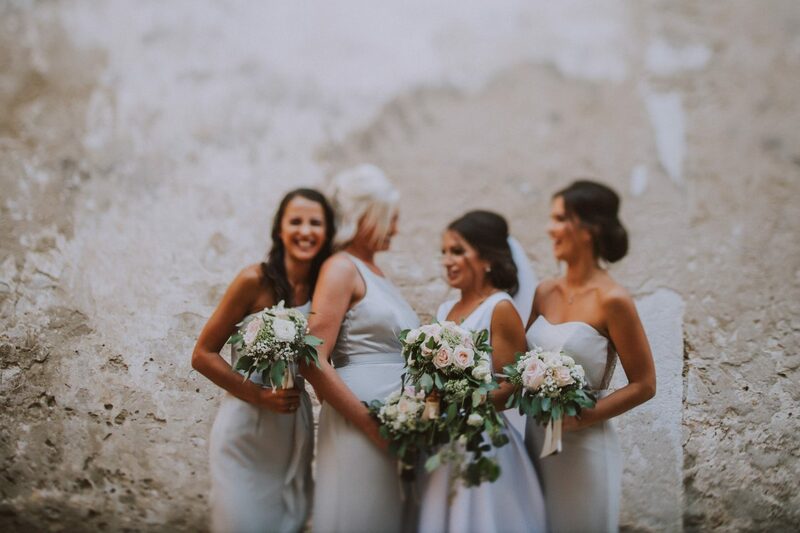 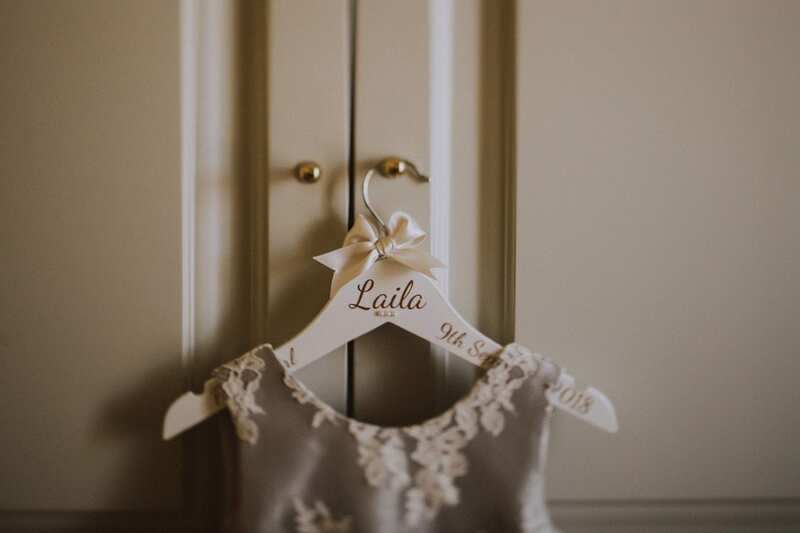 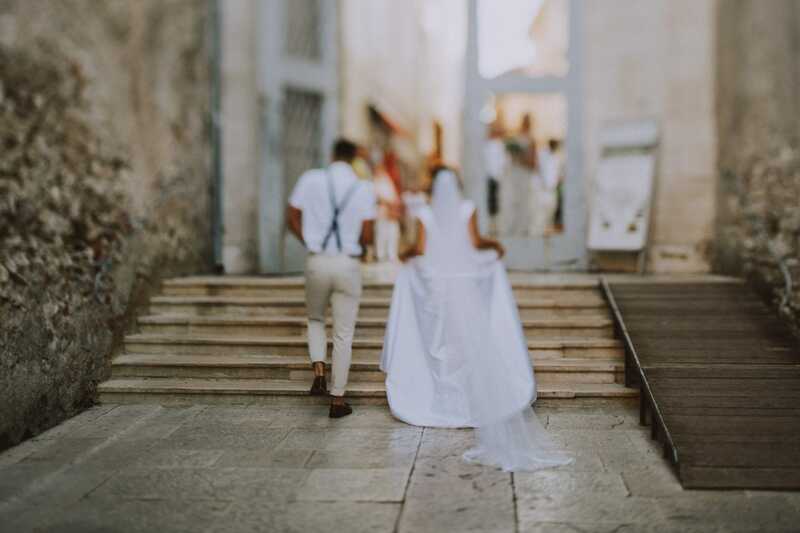 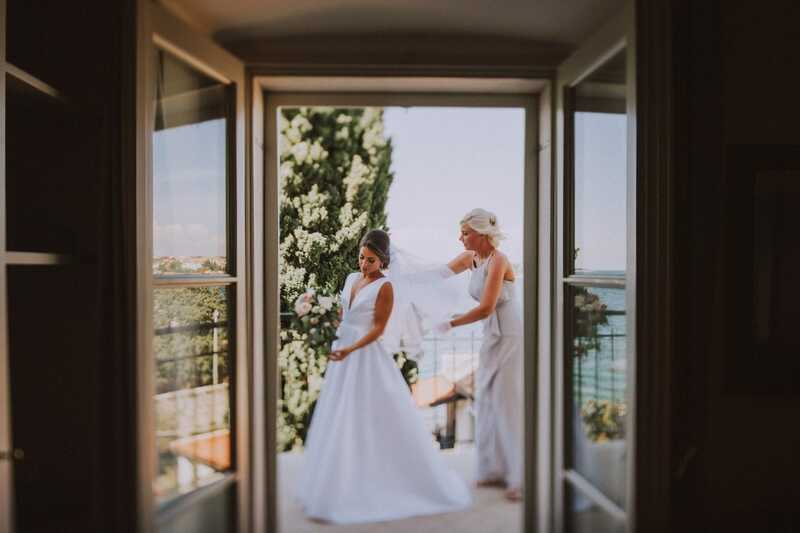 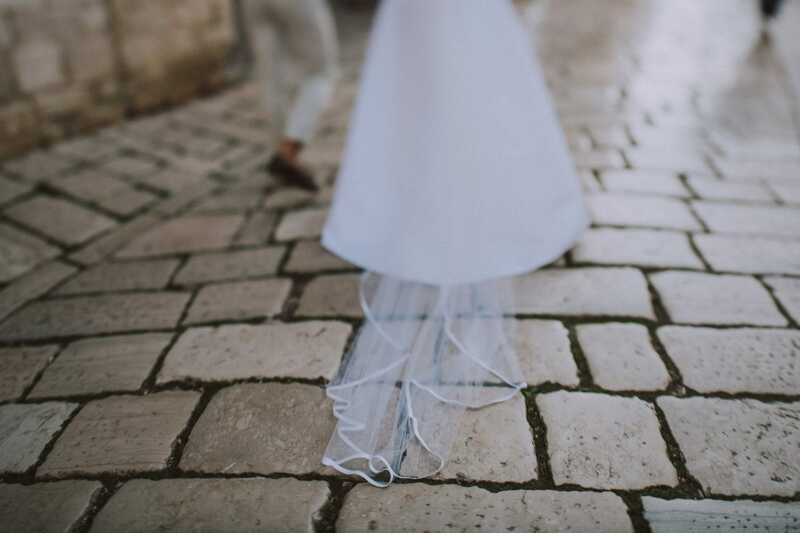 When it comes to weddings, the region of Istria is one of the most popular destinations not only in Croatia but also in Europe. 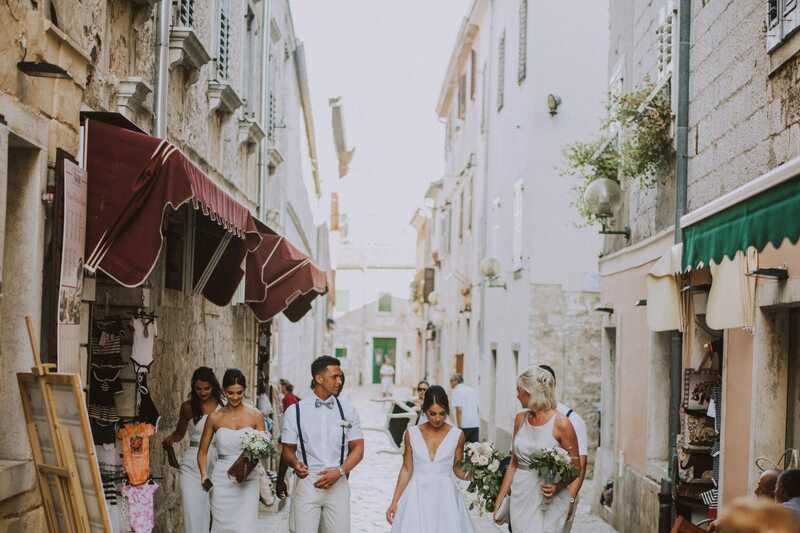 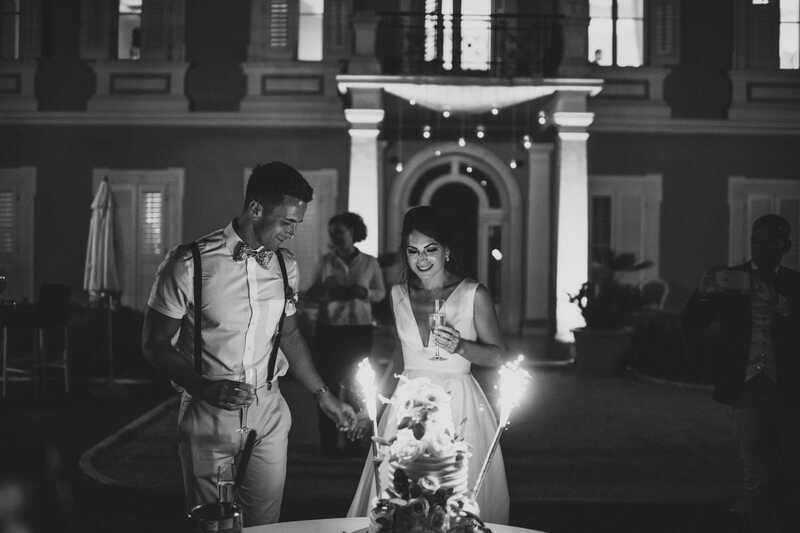 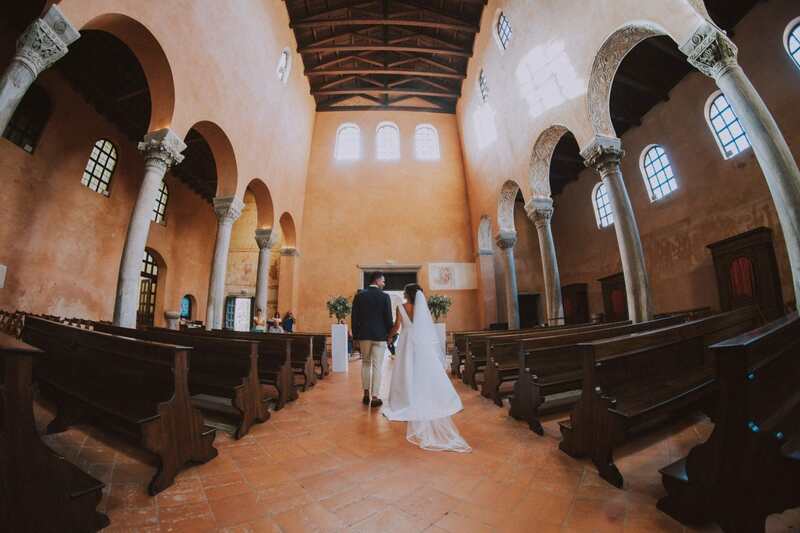 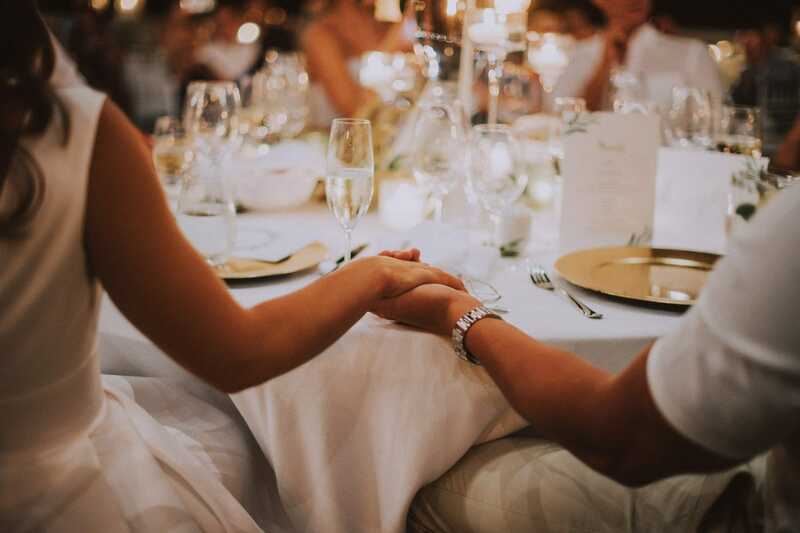 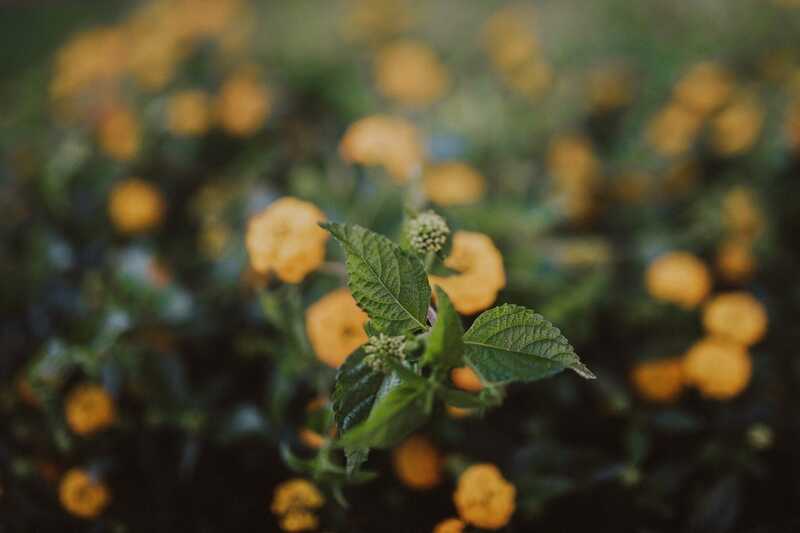 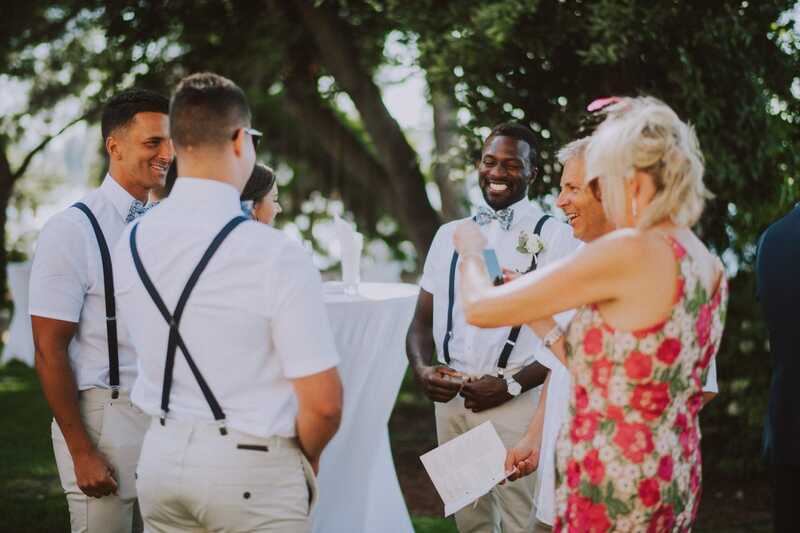 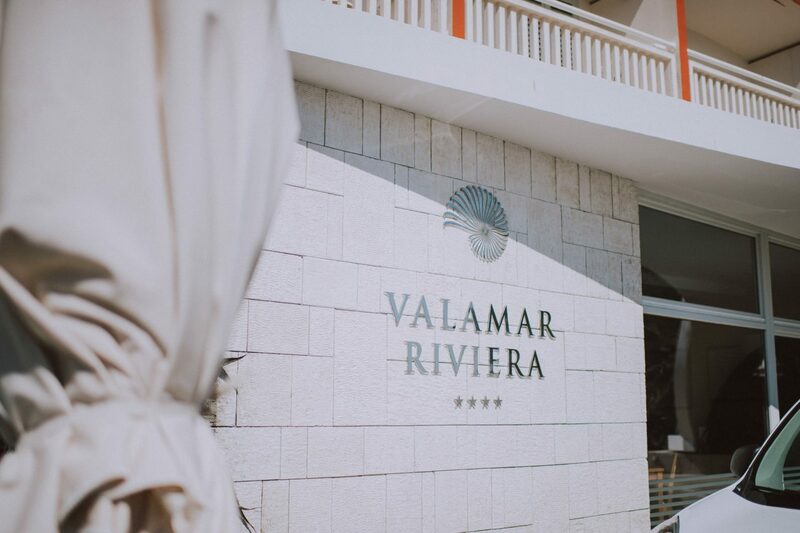 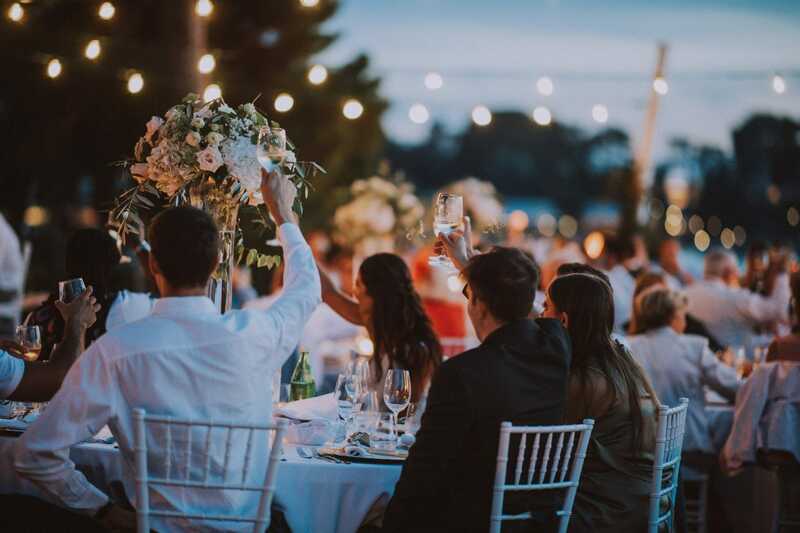 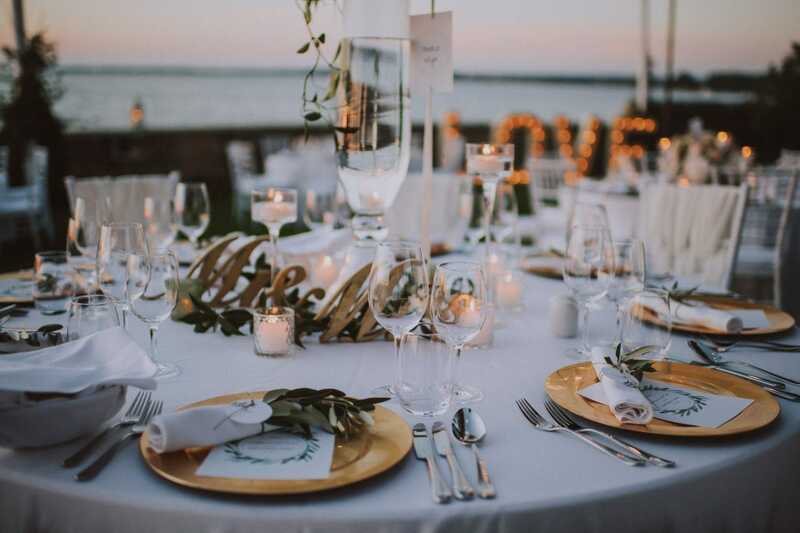 As a result, its beauty and its gastronomy make it one of the favorite destinations for lovers from all over the world to celebrate their marriage. 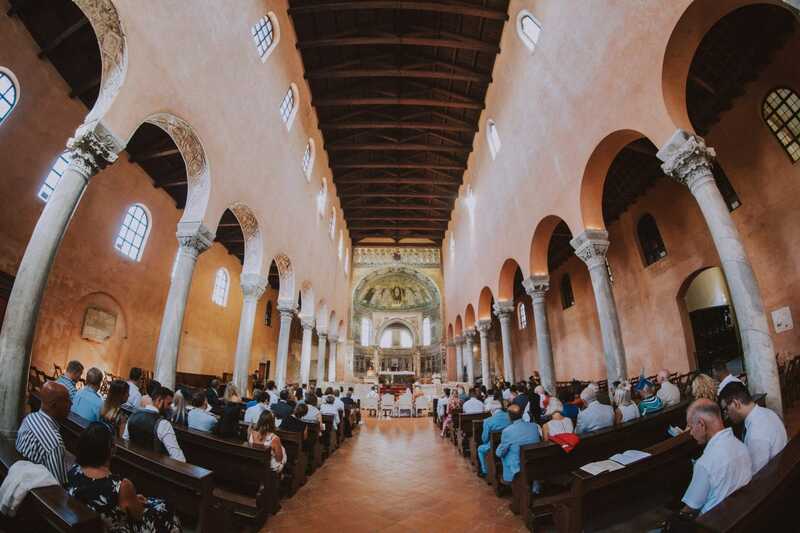 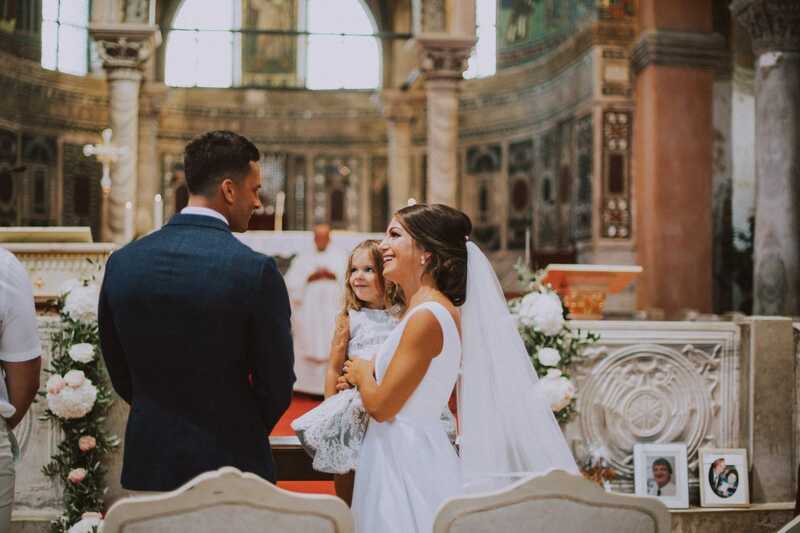 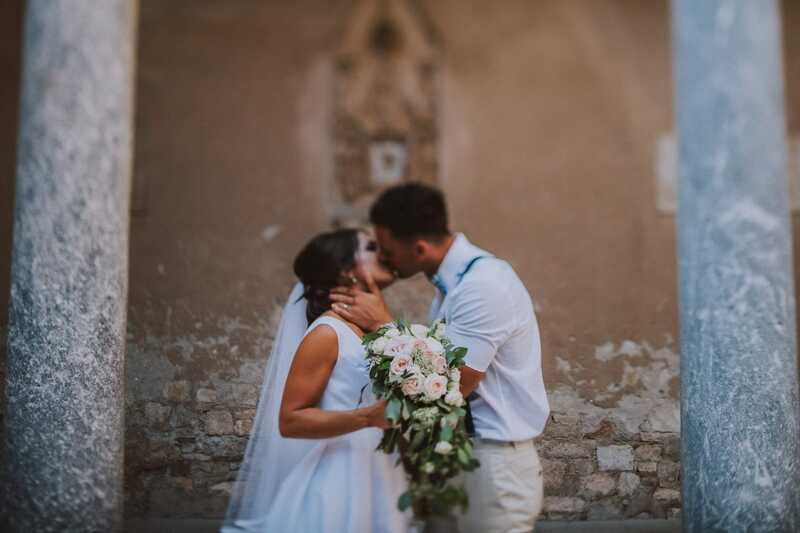 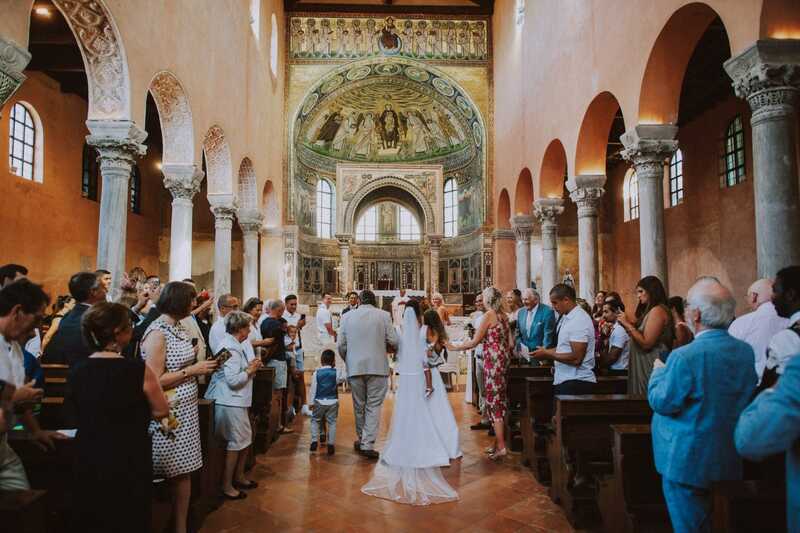 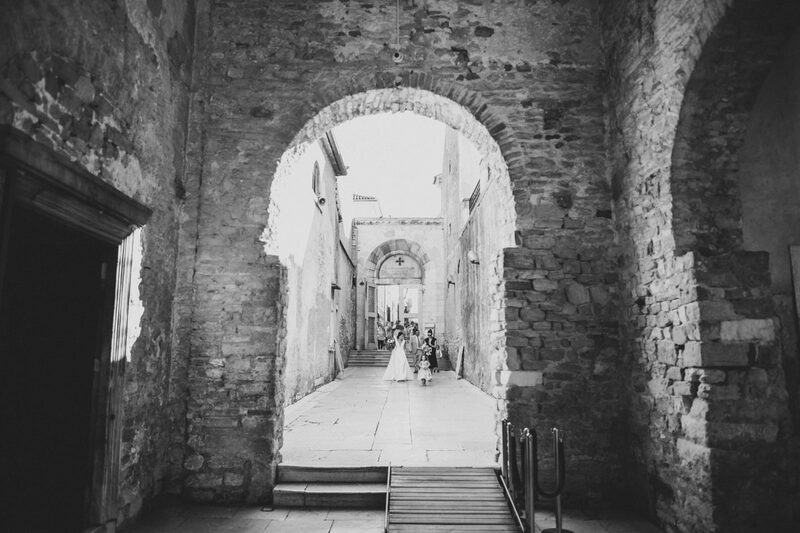 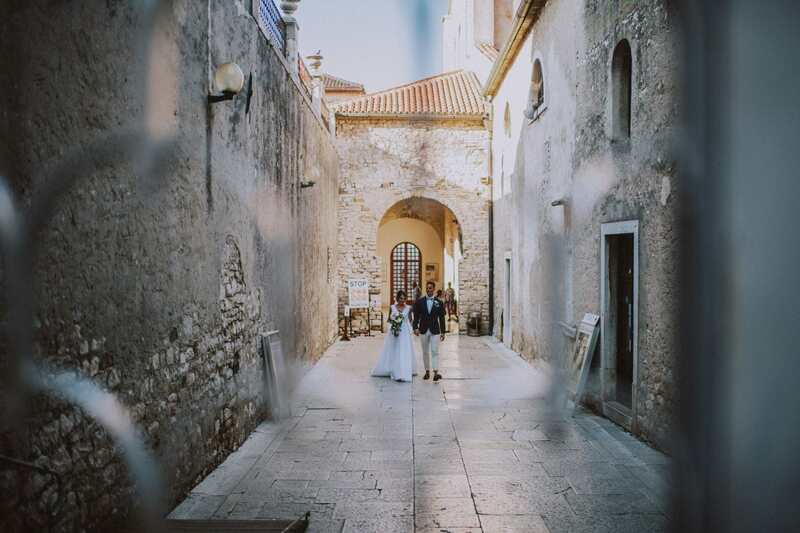 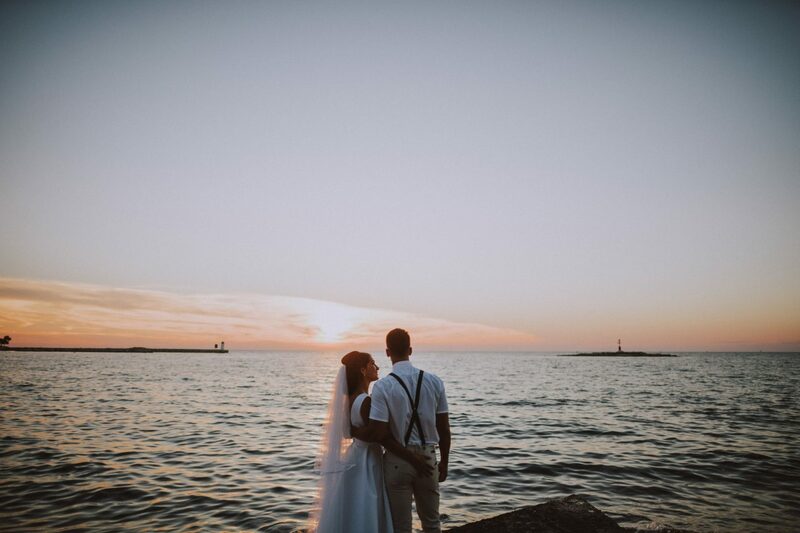 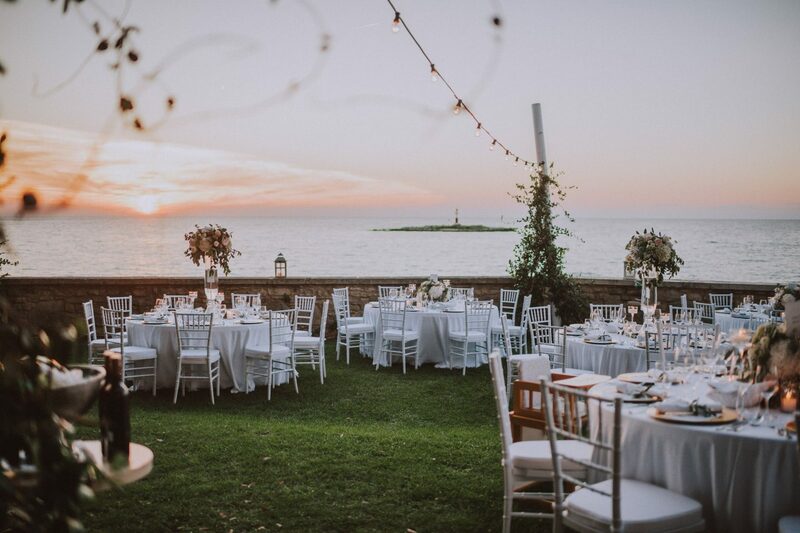 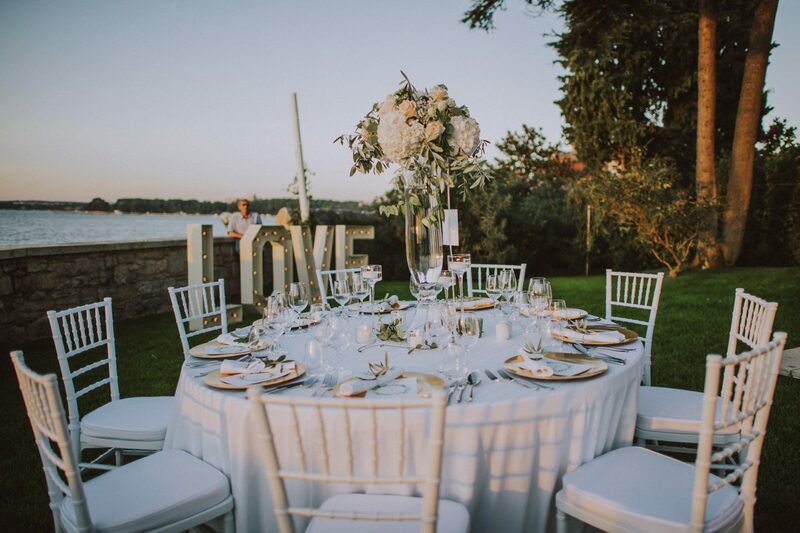 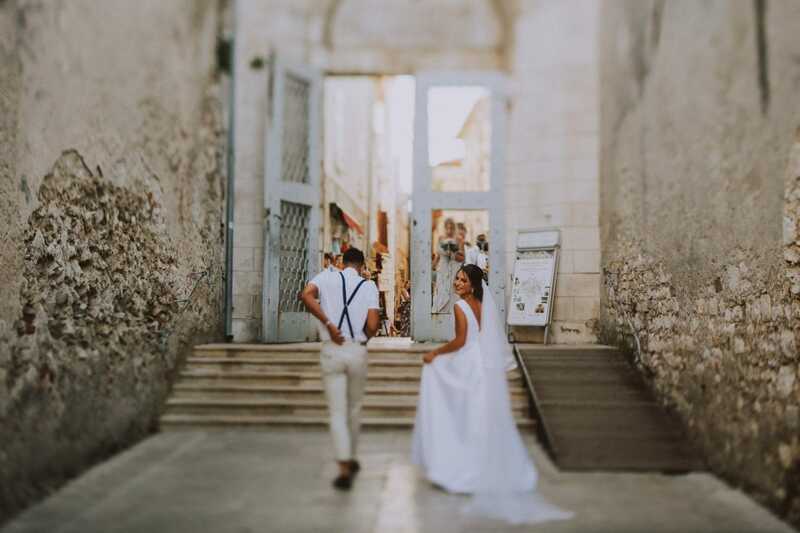 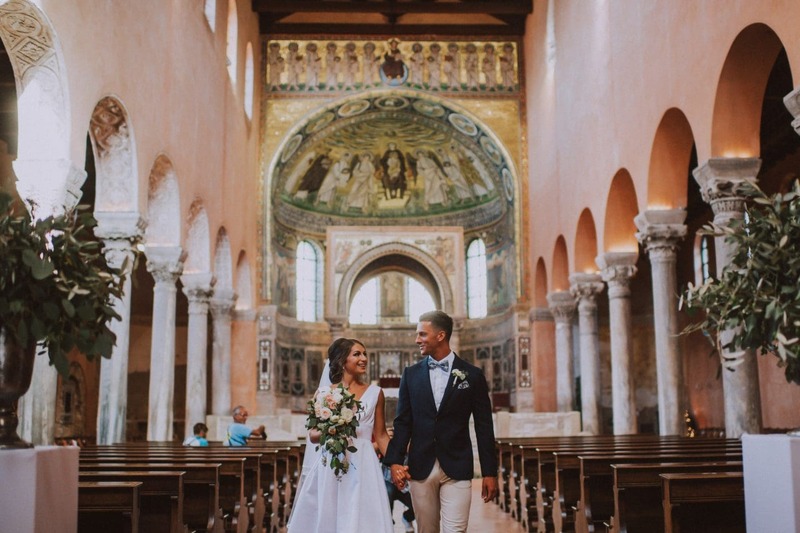 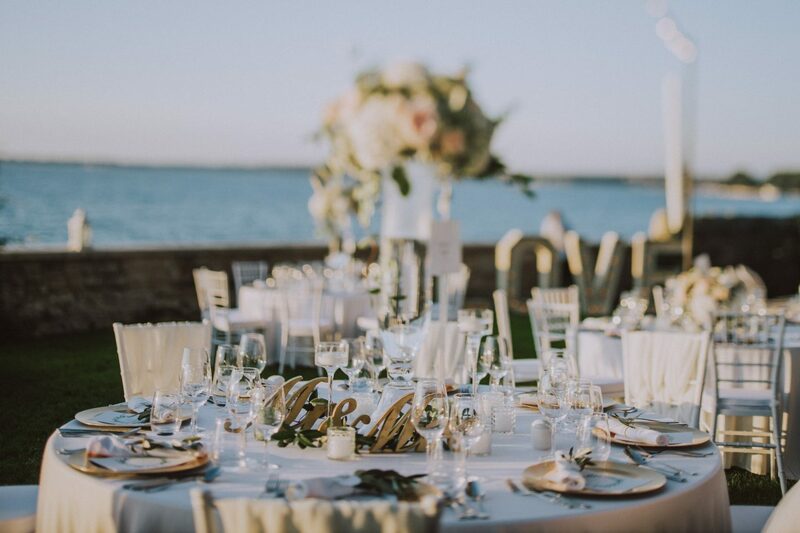 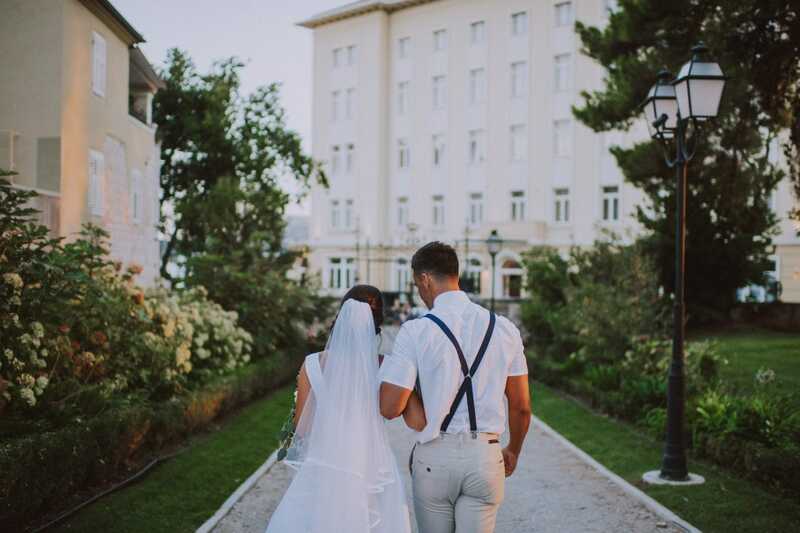 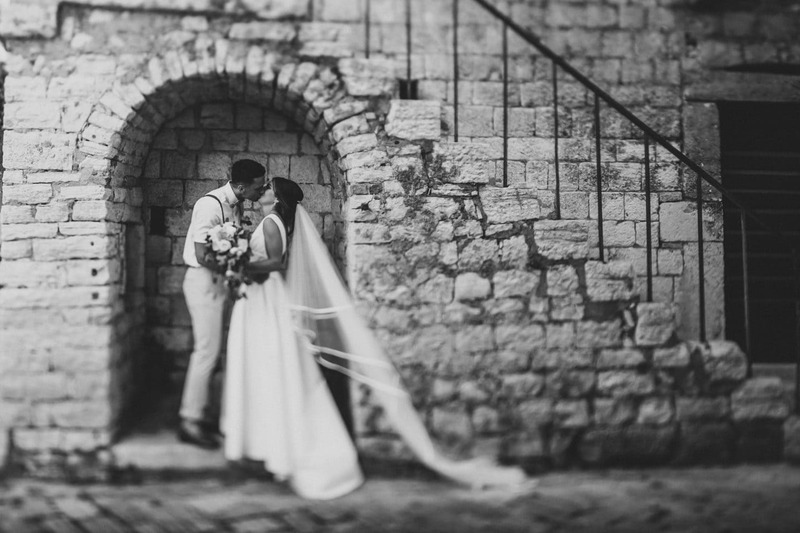 For these reasons, when it comes to weddings Porec is one of the many beautiful and favorites cities in Istria. 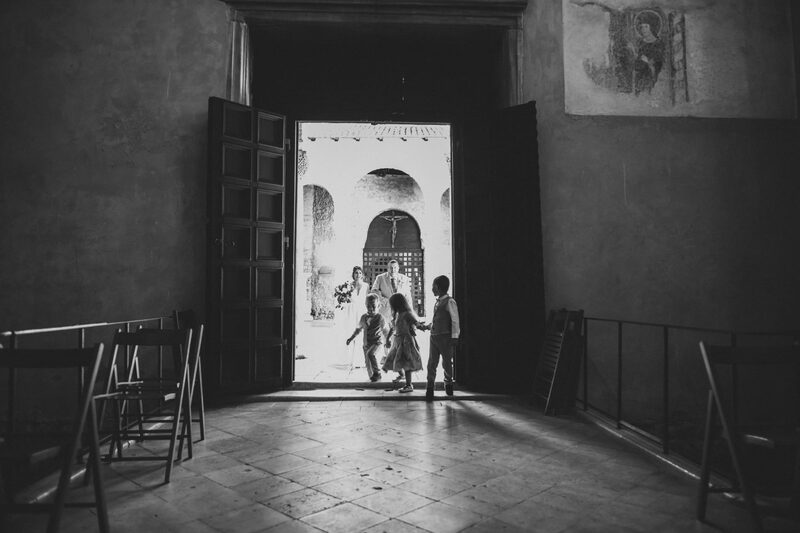 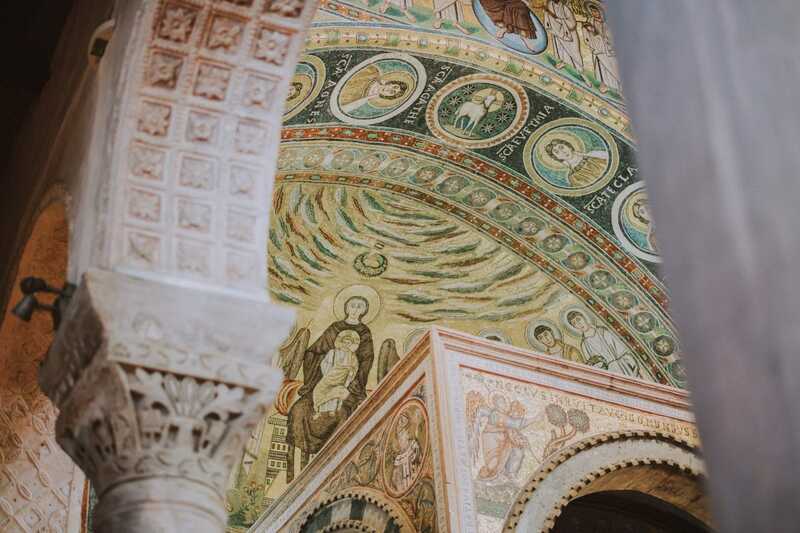 Among its streets, it’s easy to be captivated by artistic beauties and hidden spots that have seen centuries of history pass. 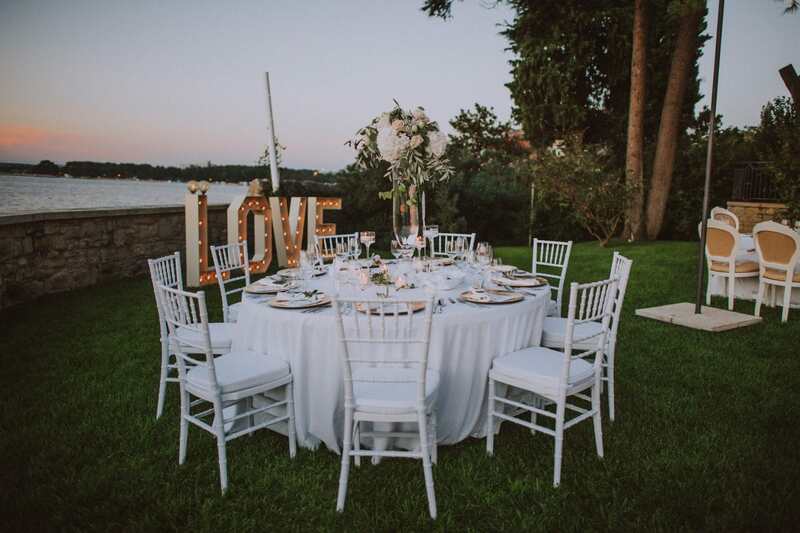 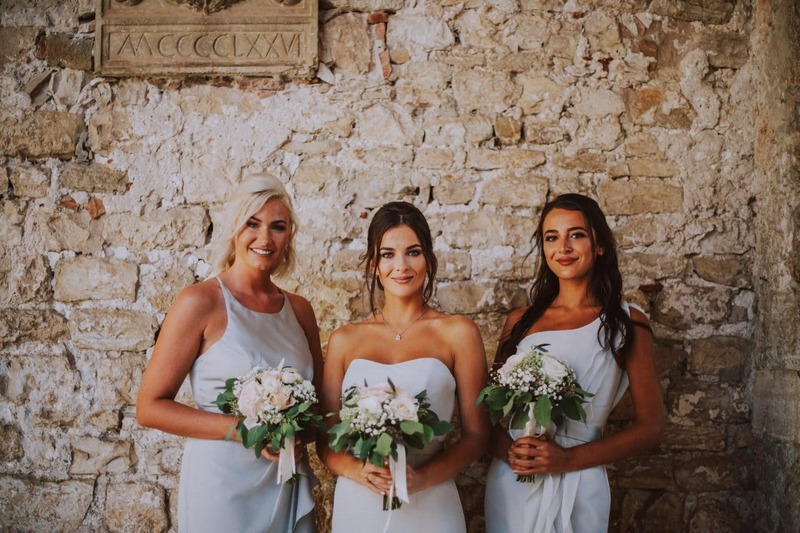 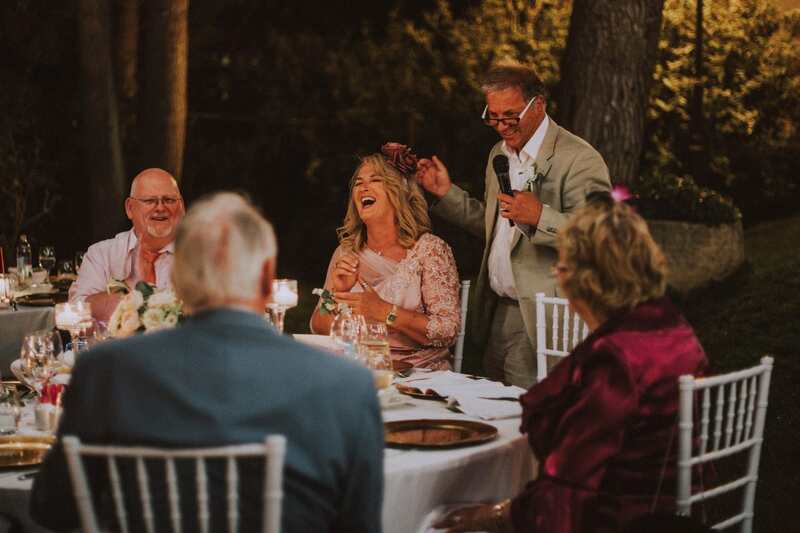 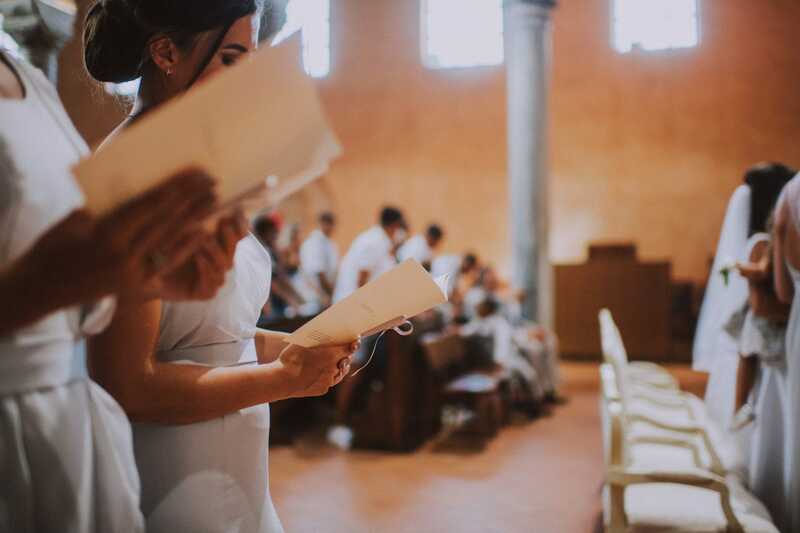 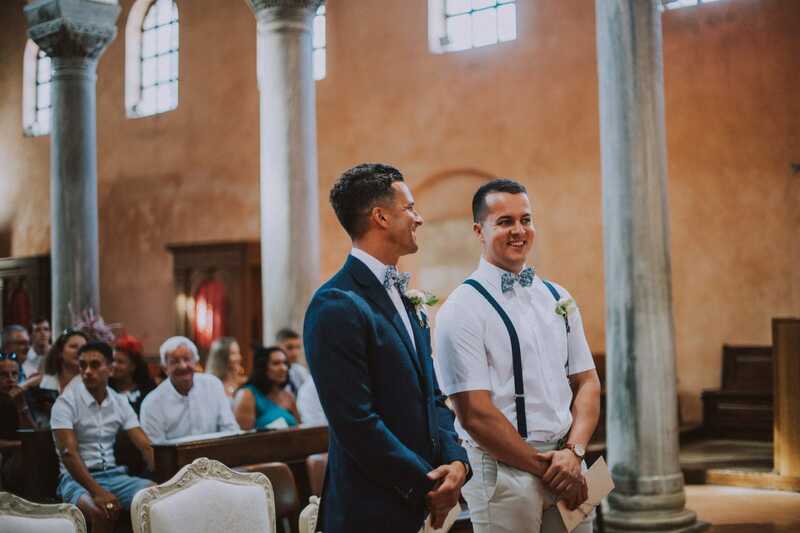 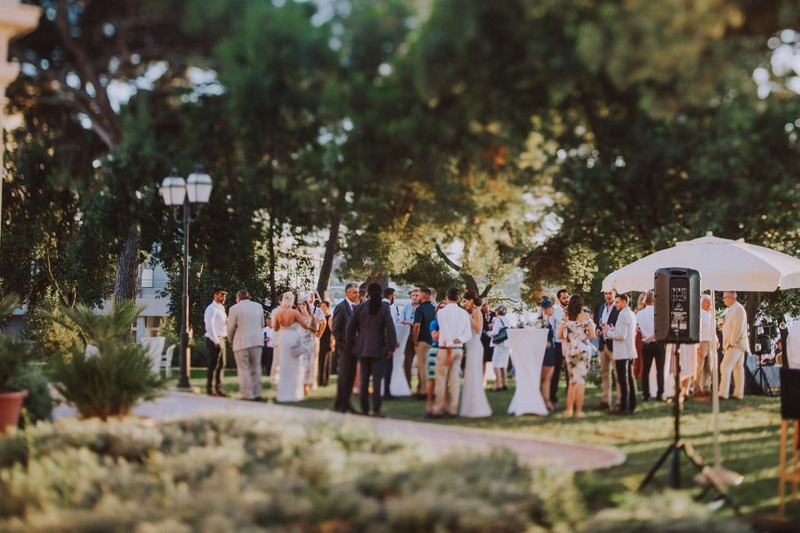 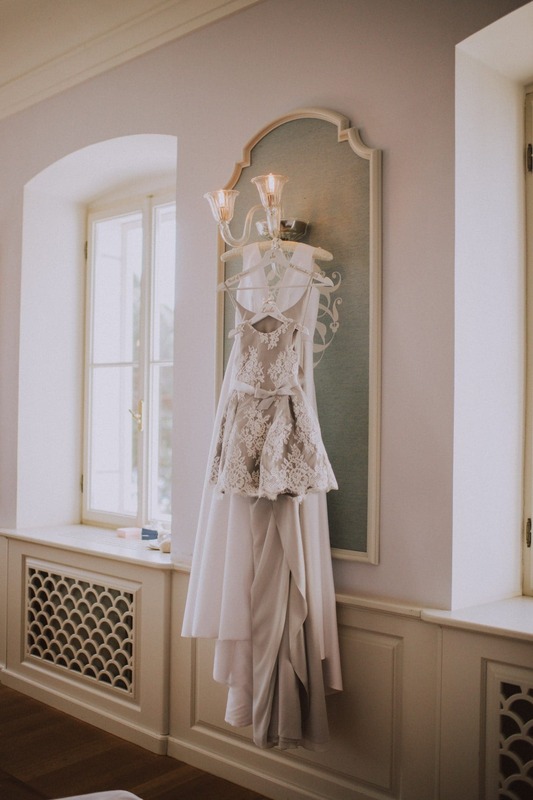 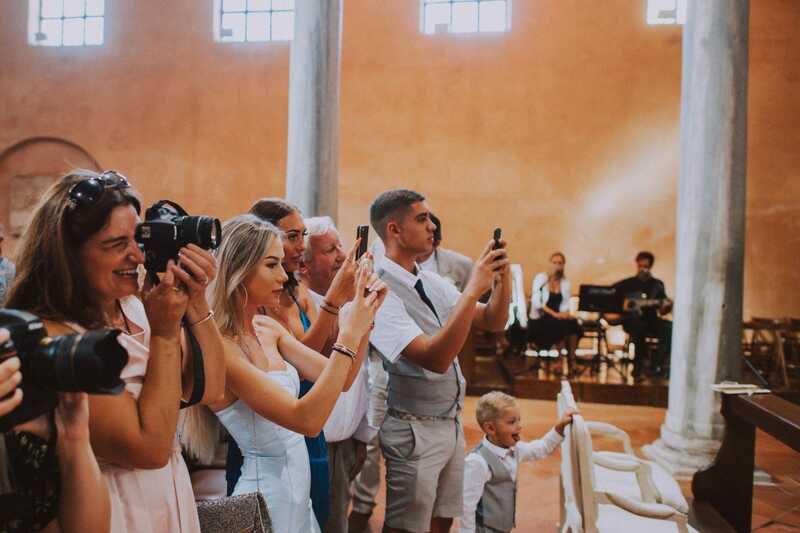 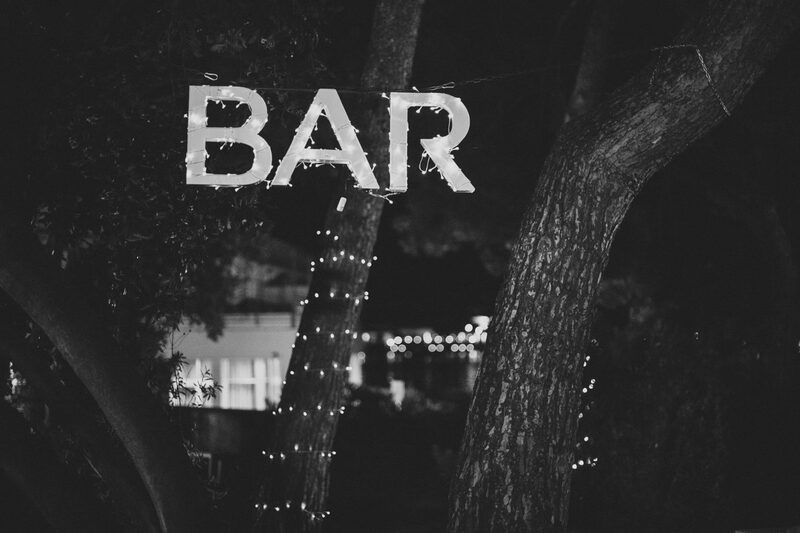 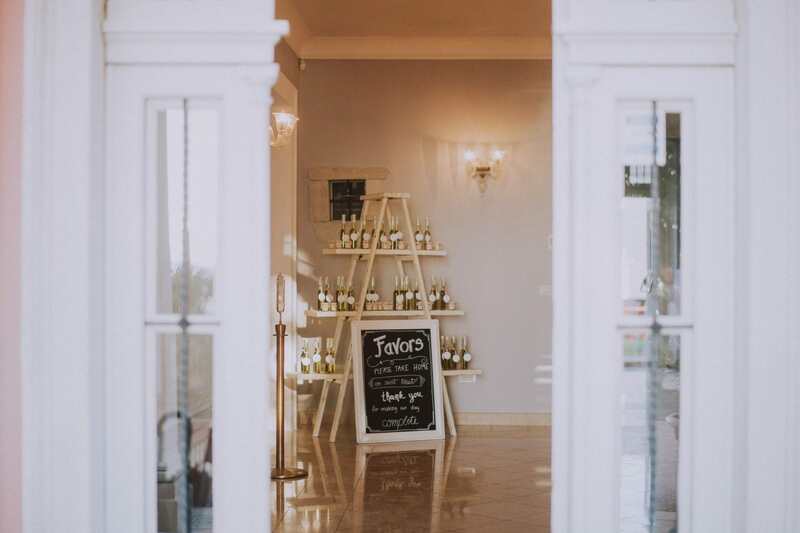 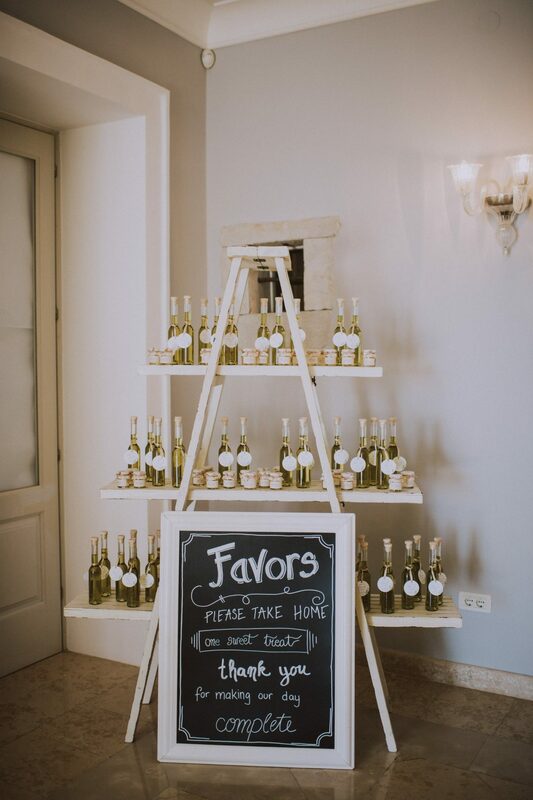 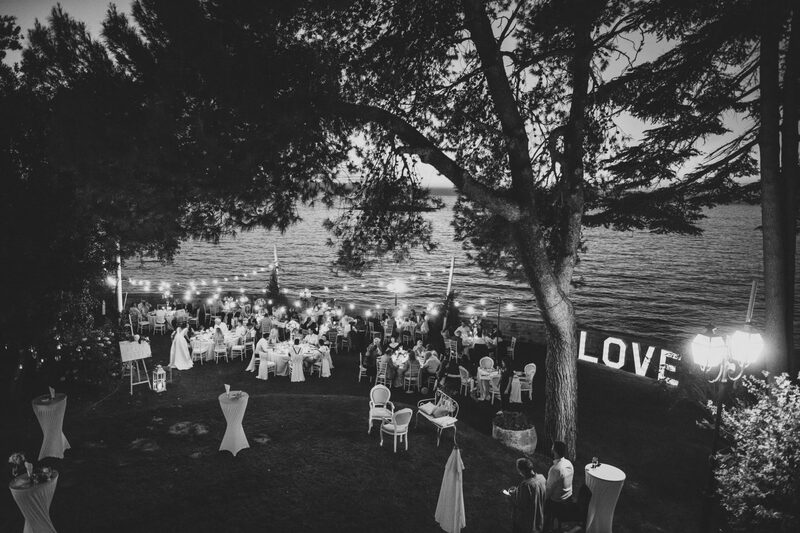 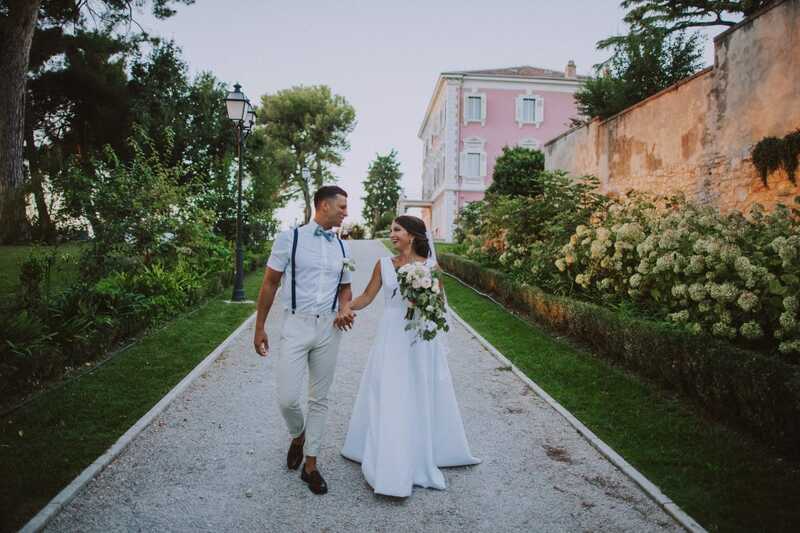 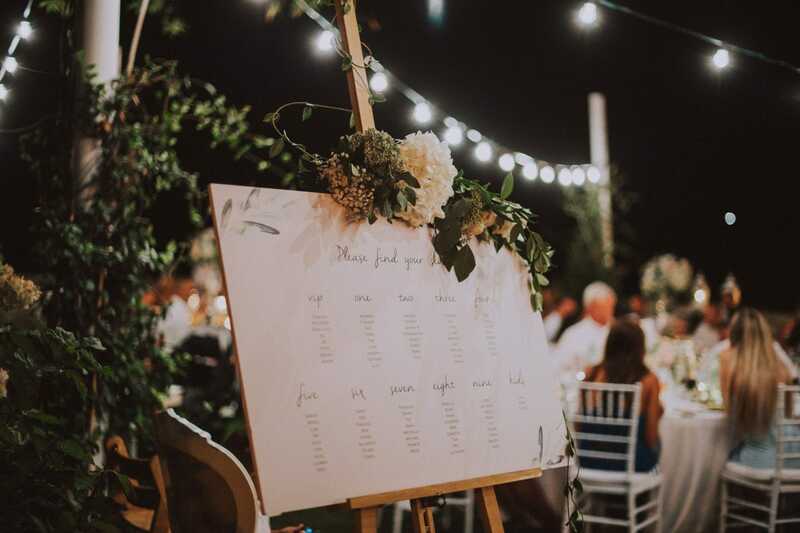 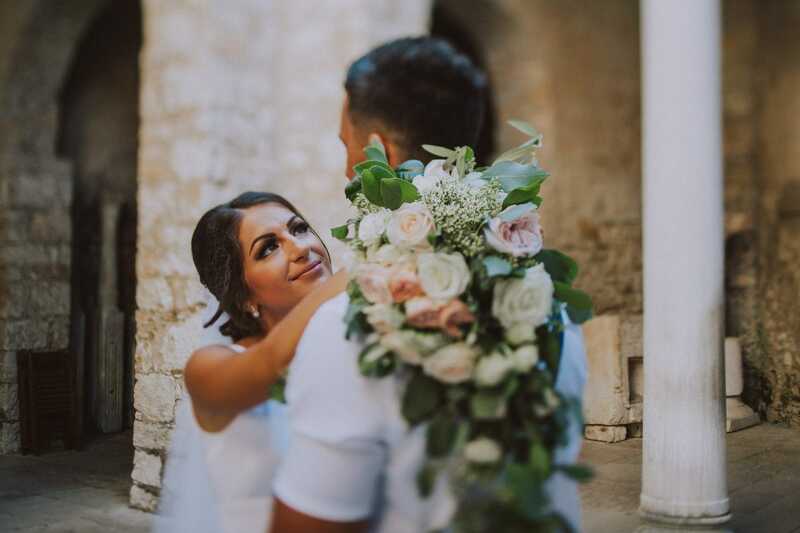 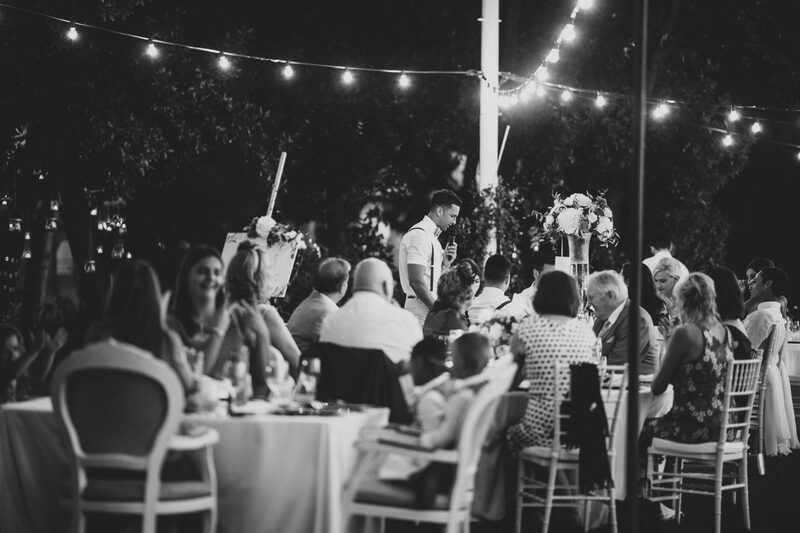 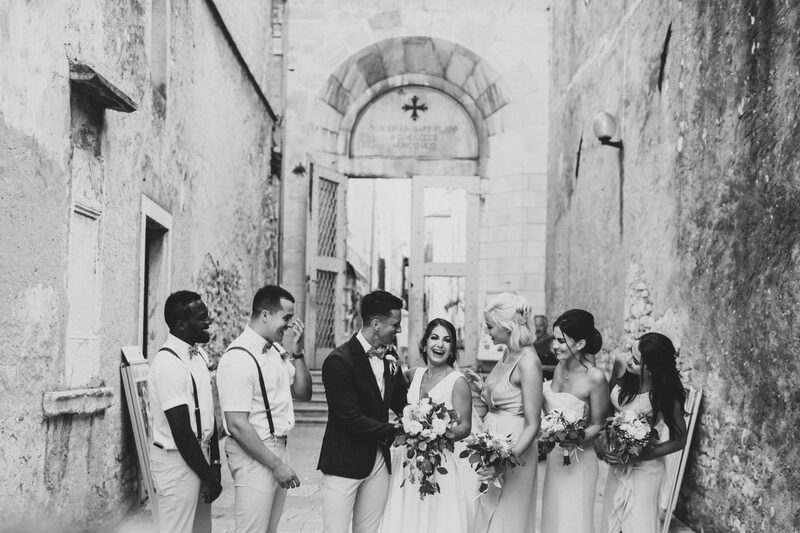 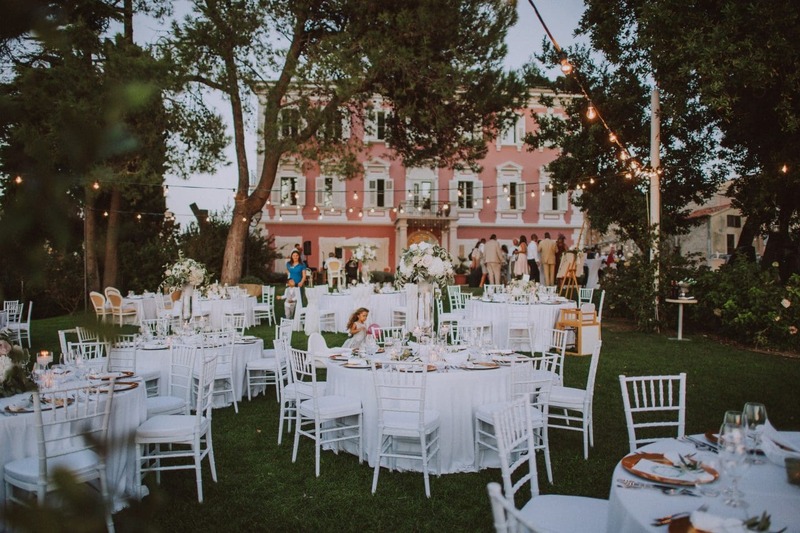 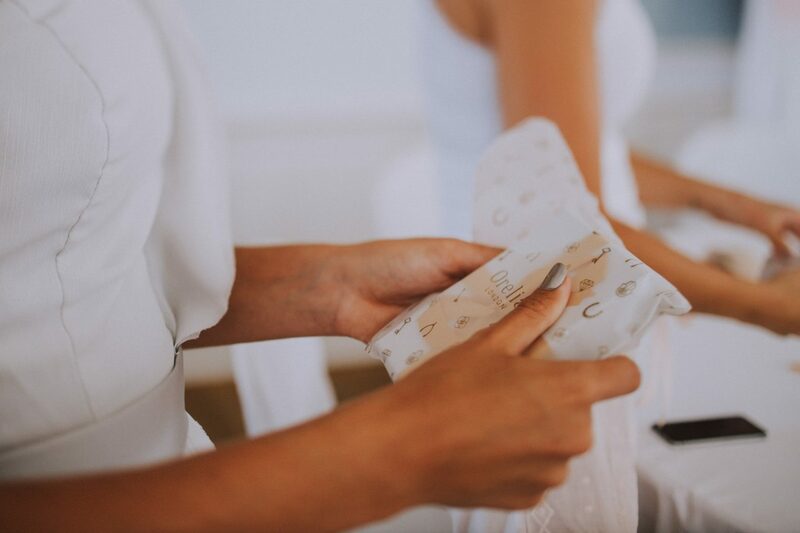 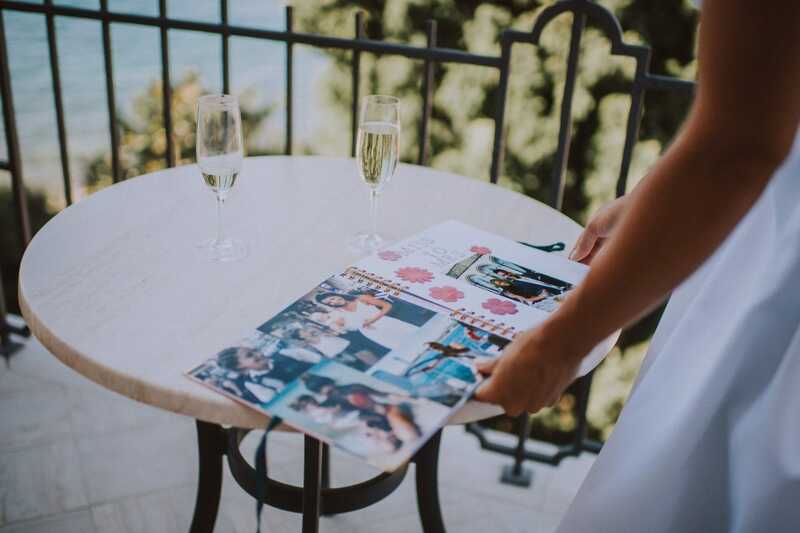 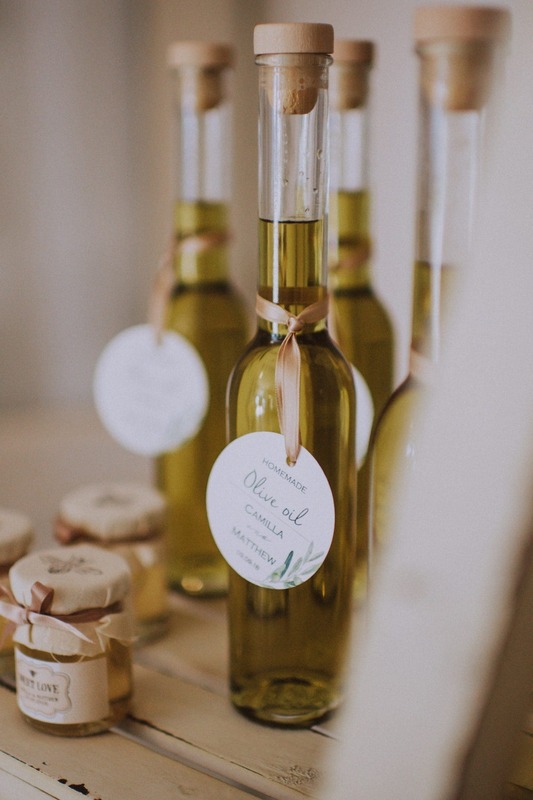 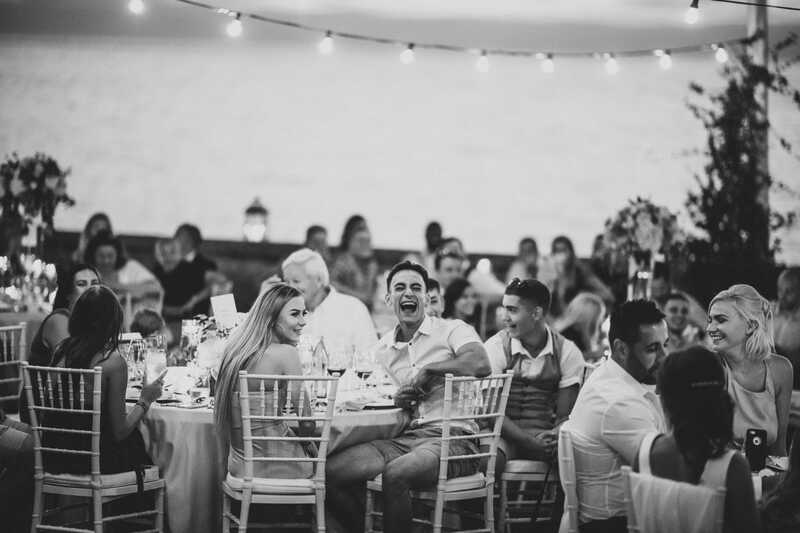 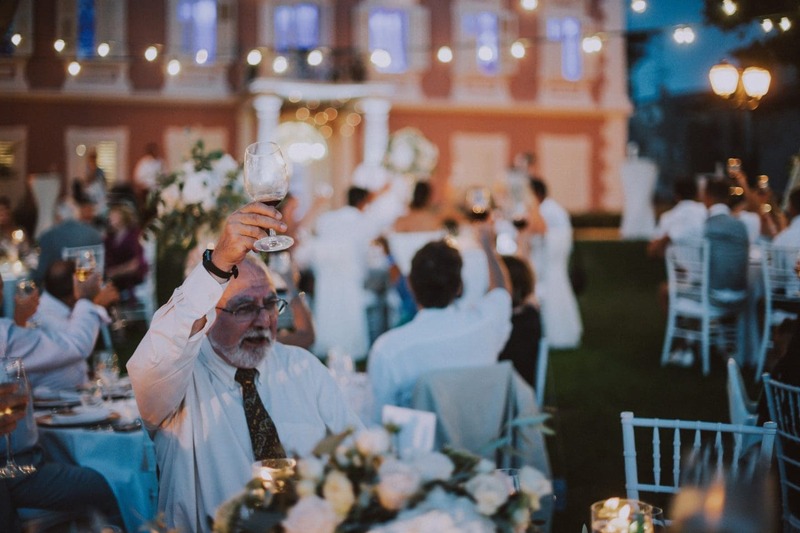 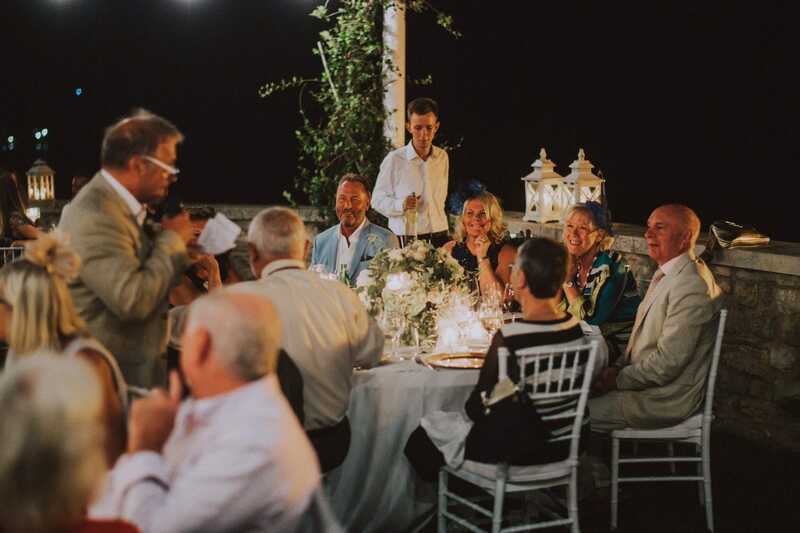 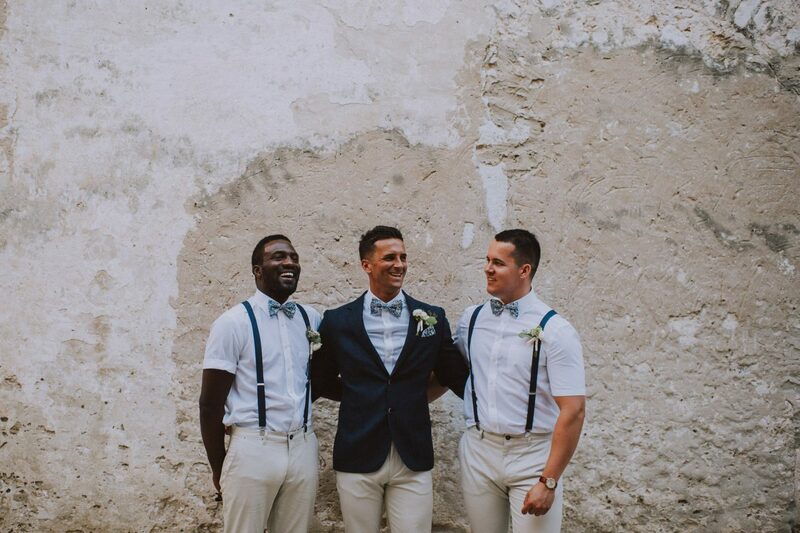 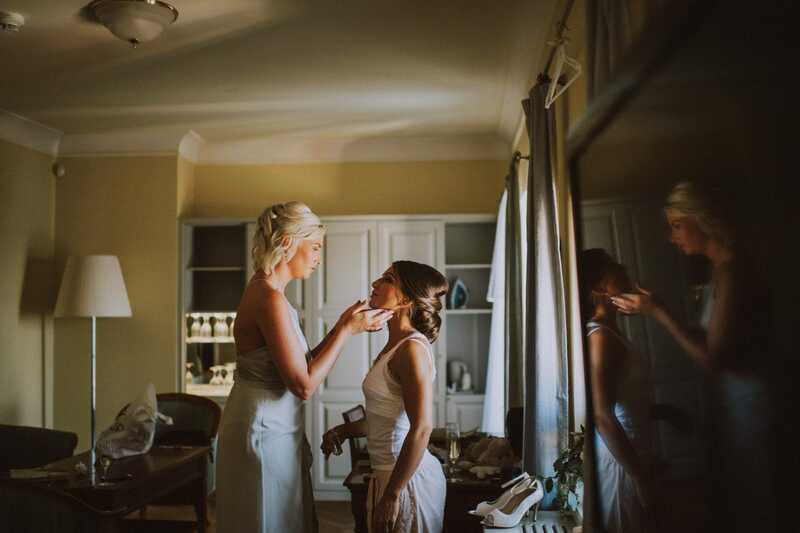 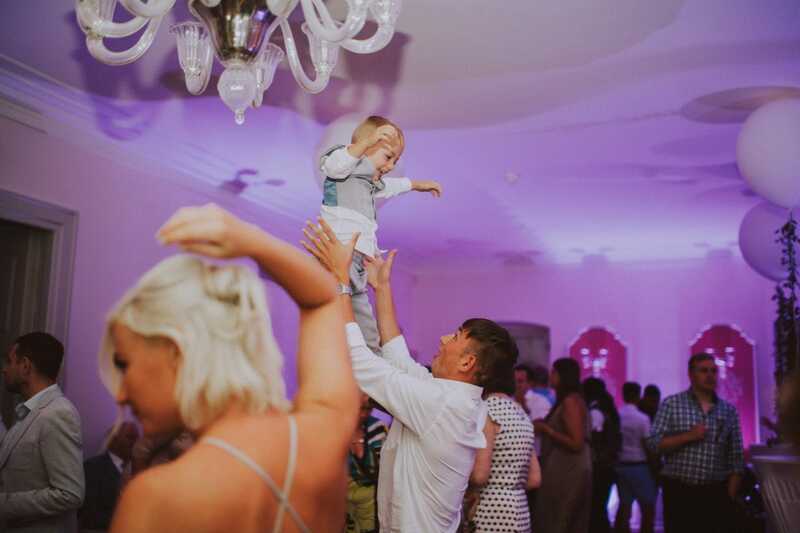 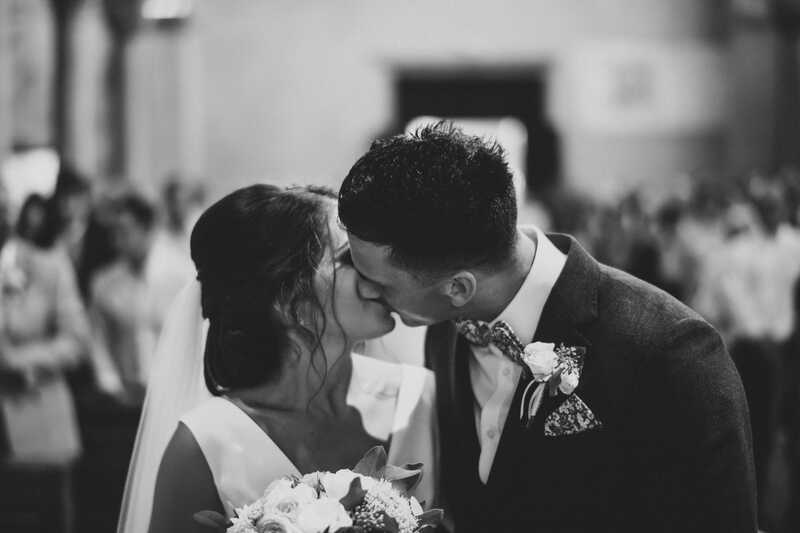 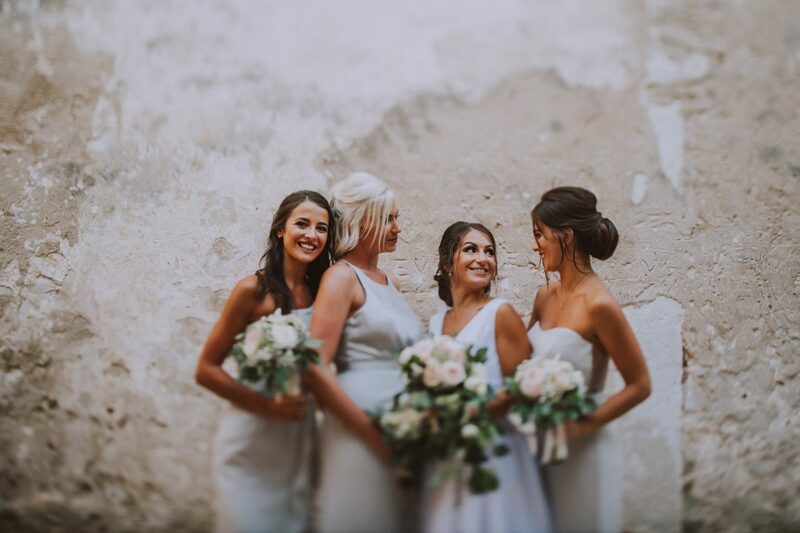 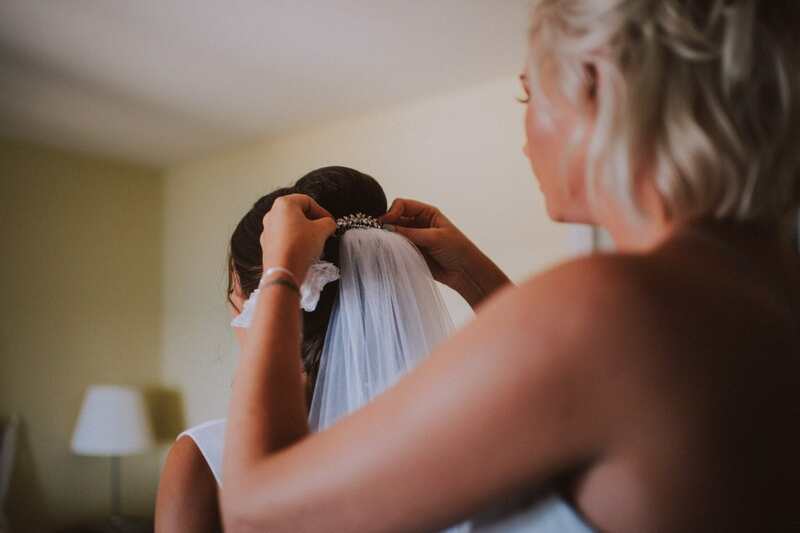 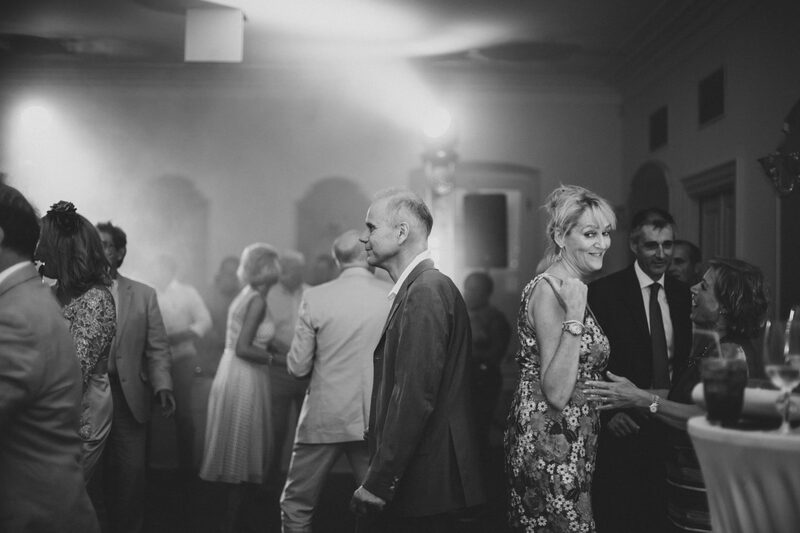 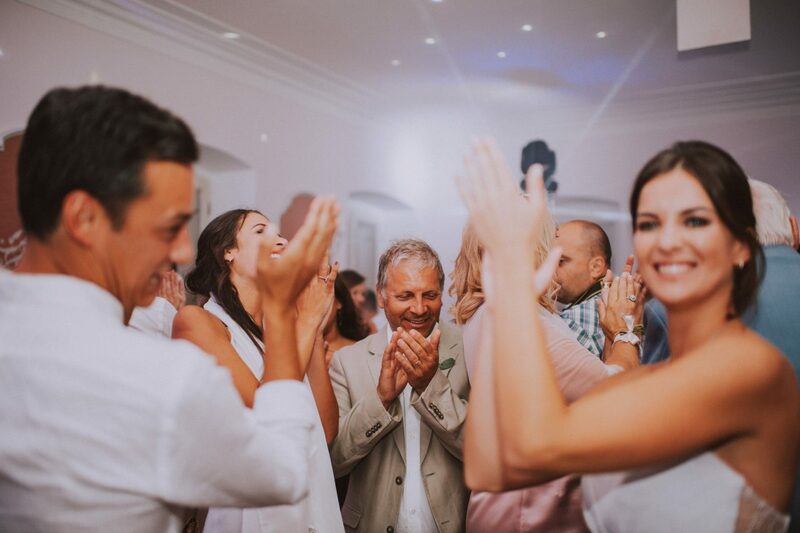 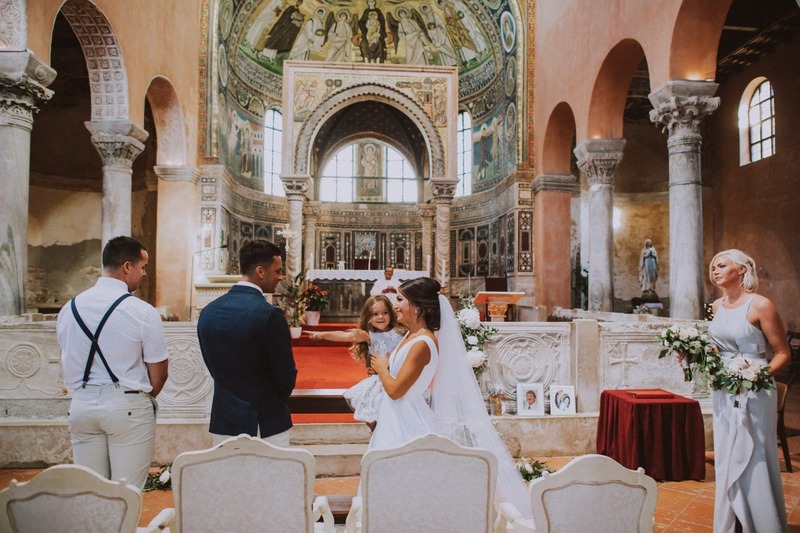 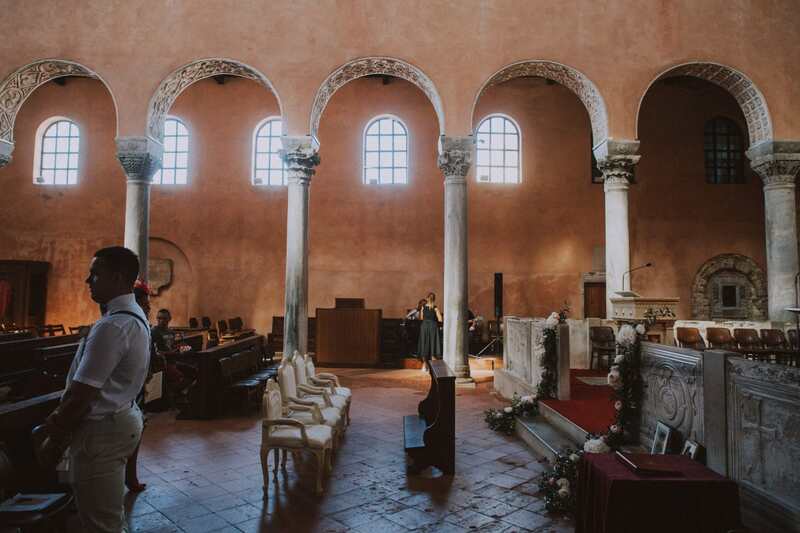 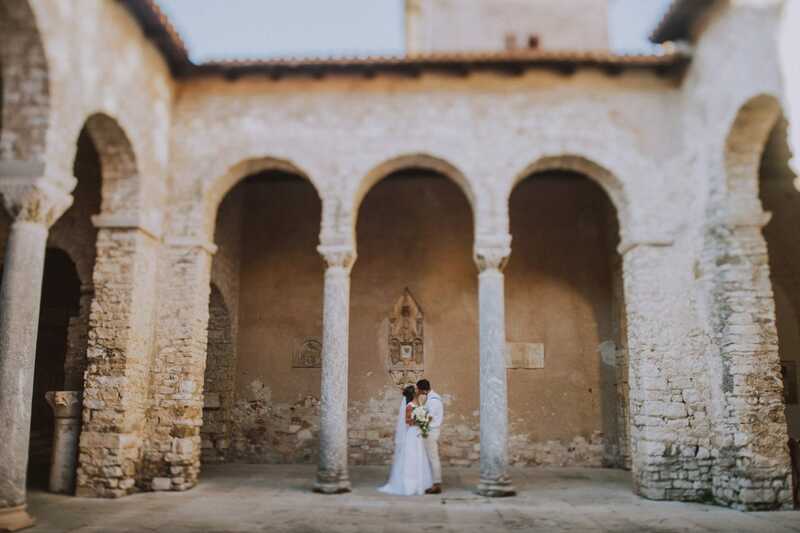 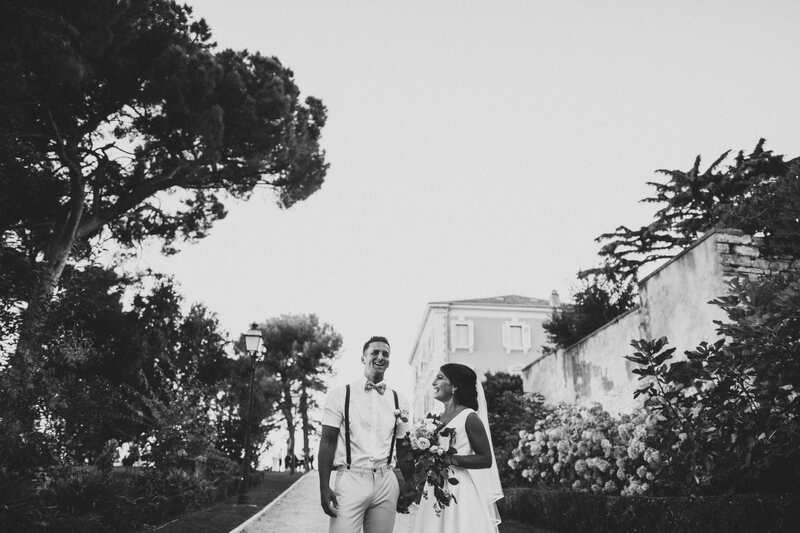 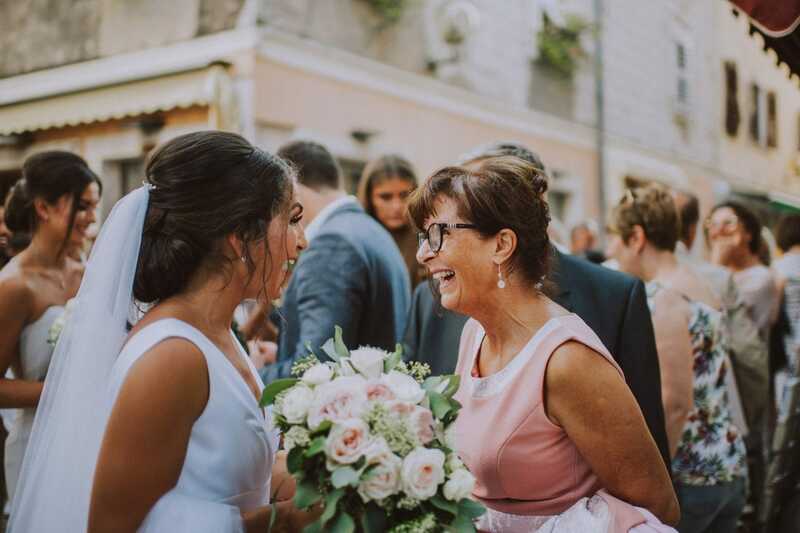 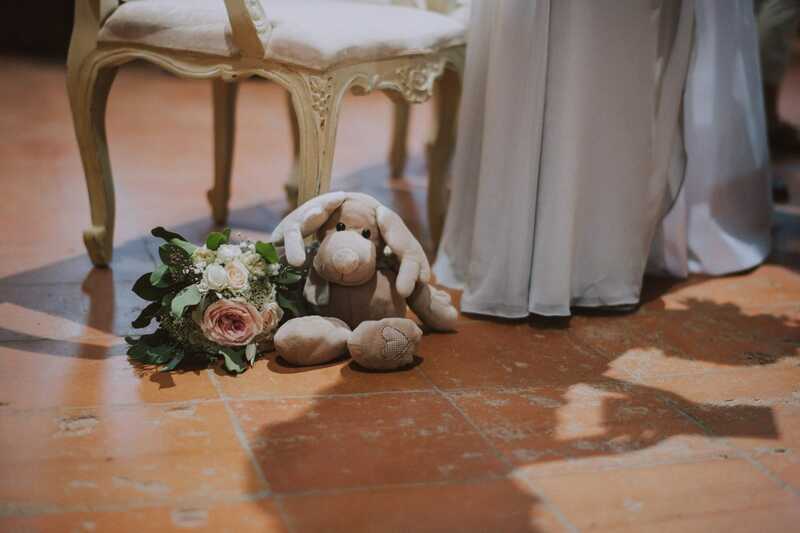 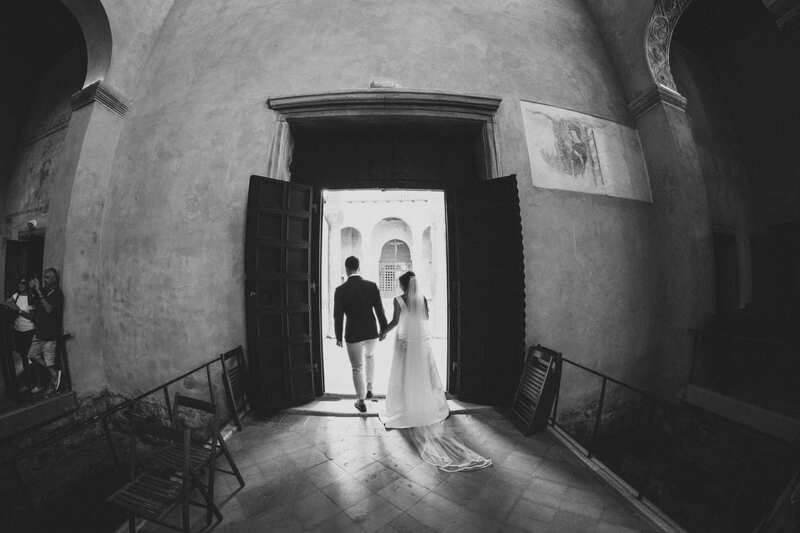 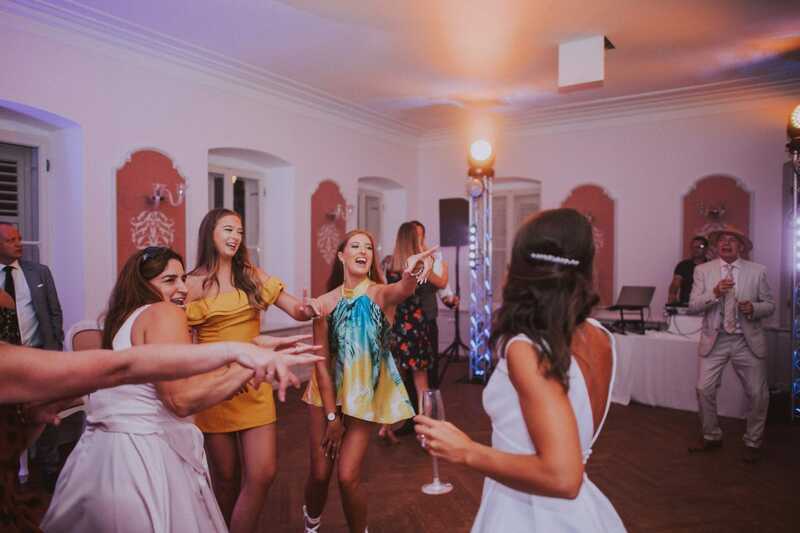 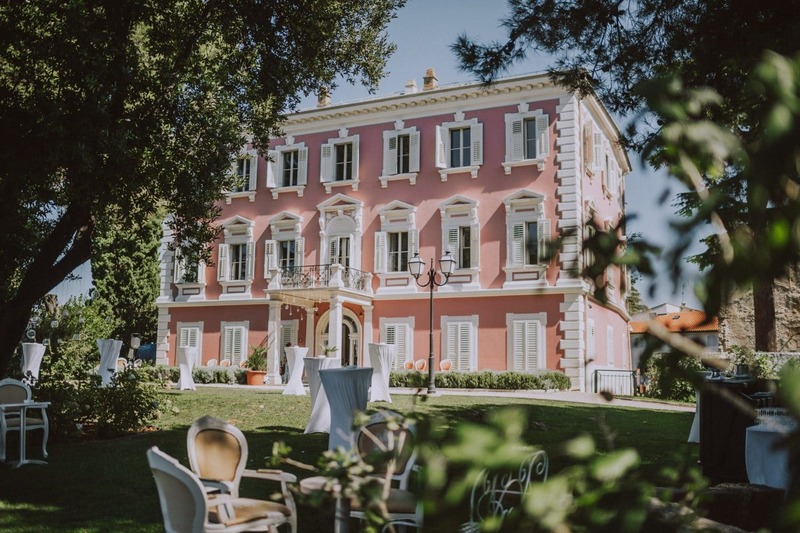 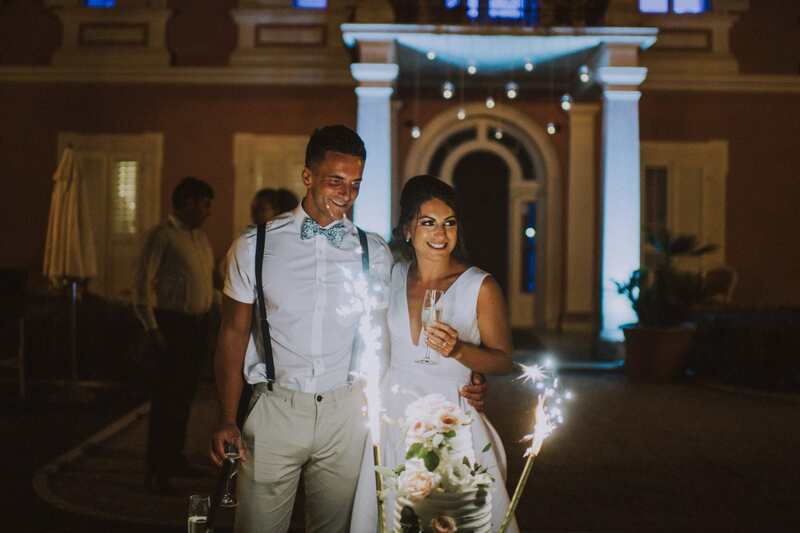 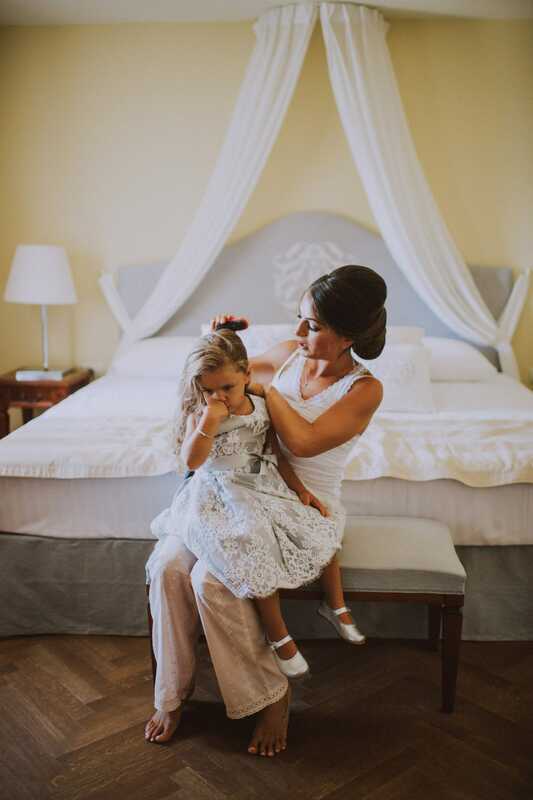 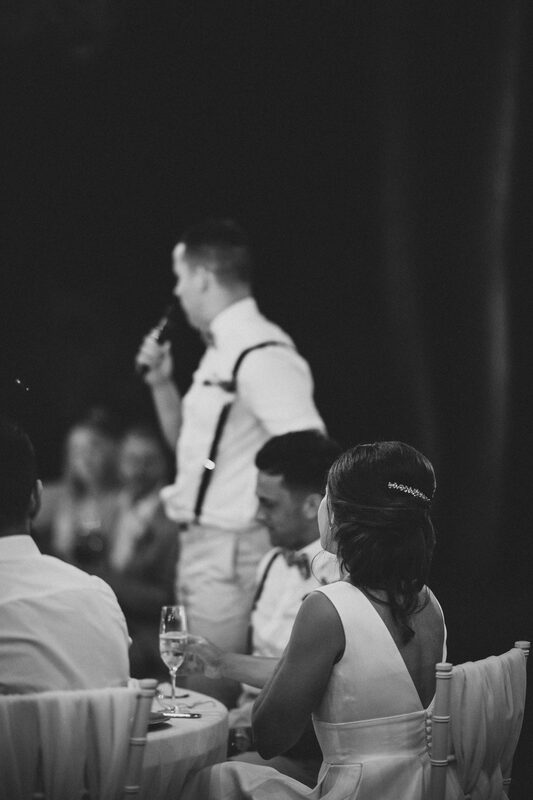 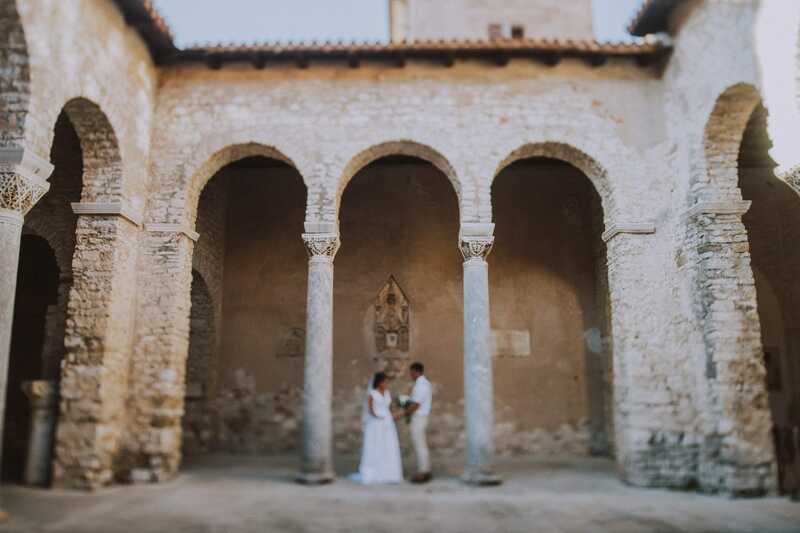 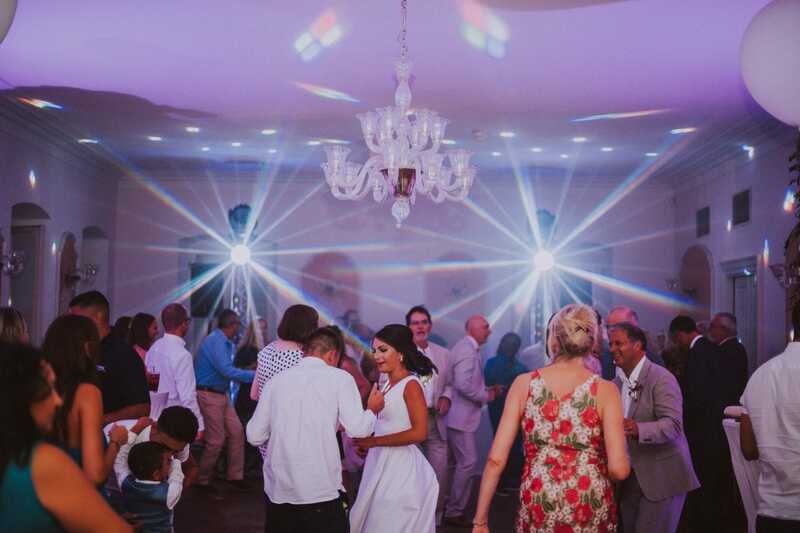 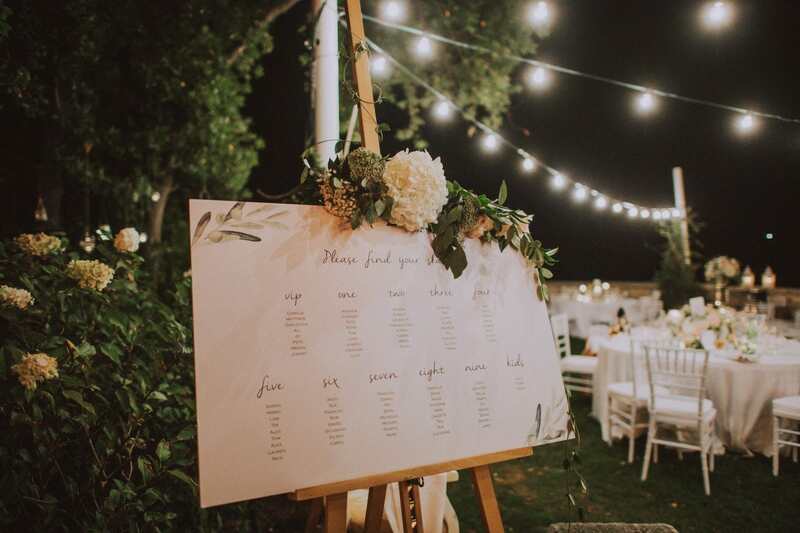 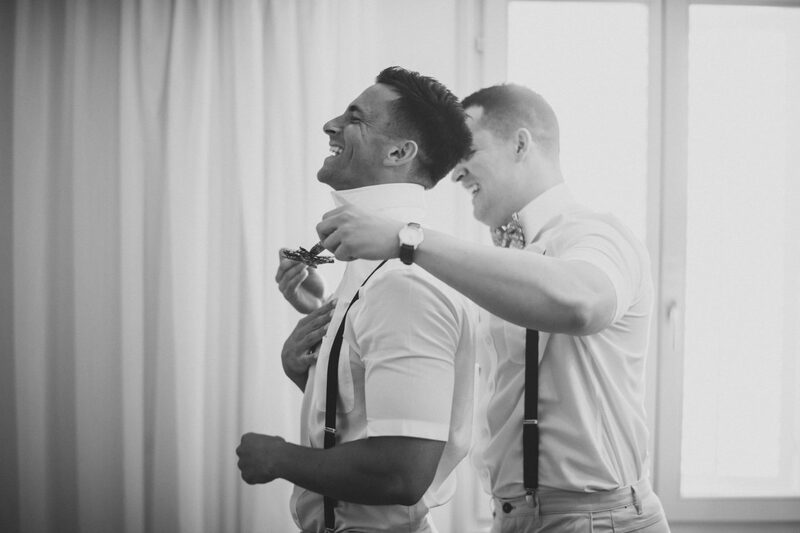 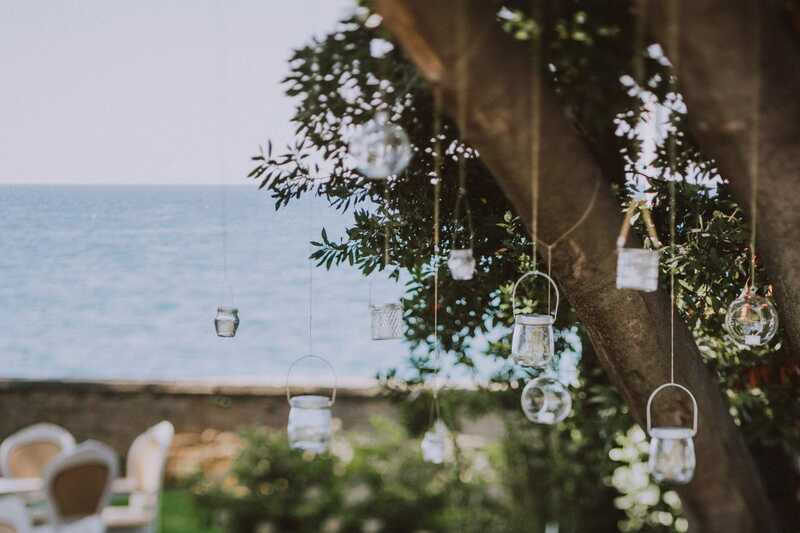 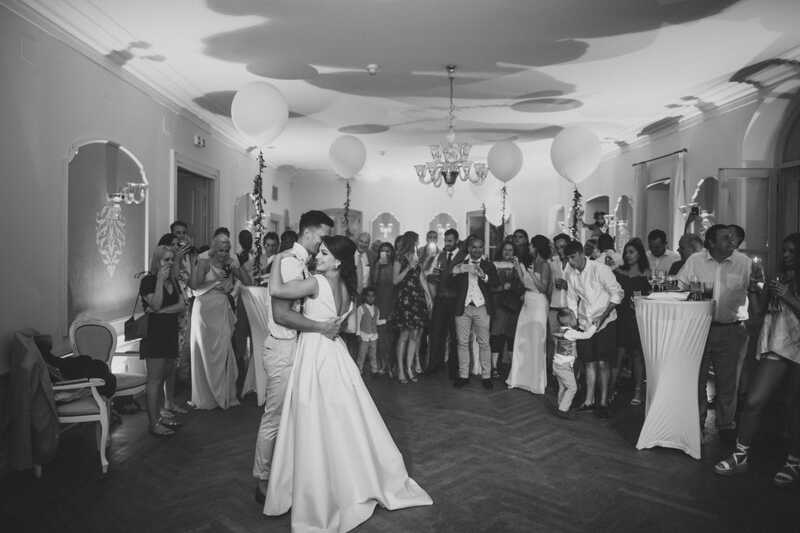 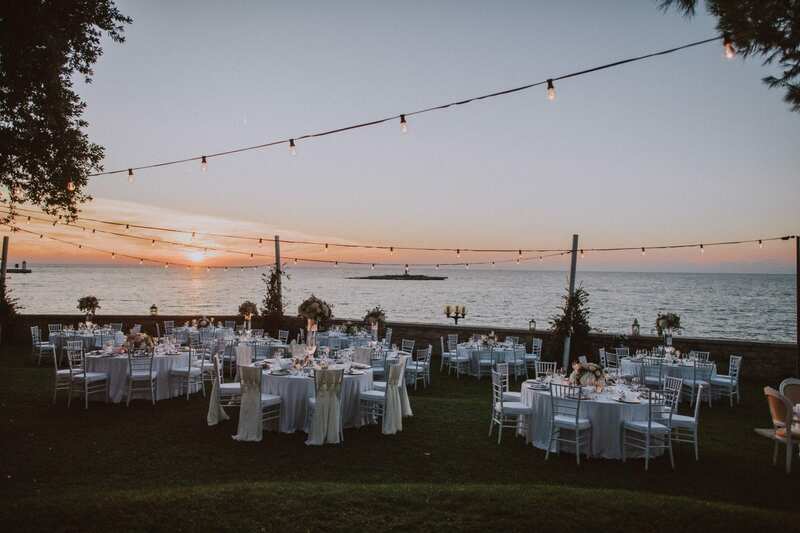 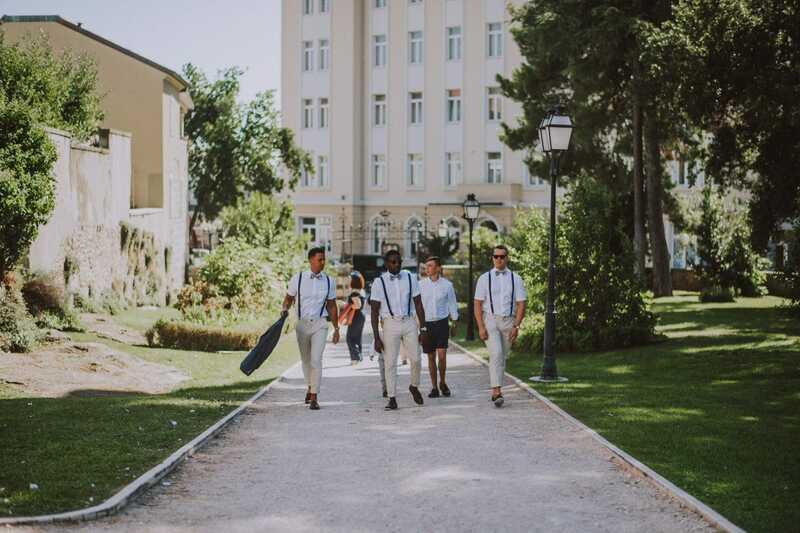 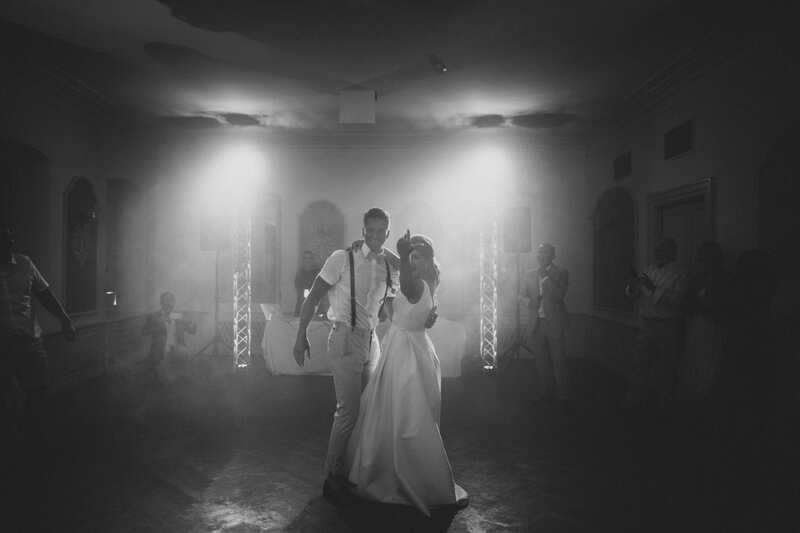 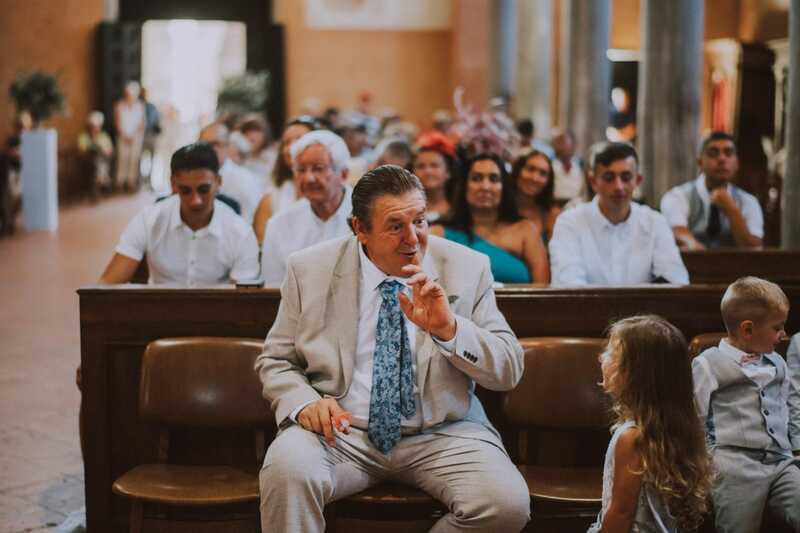 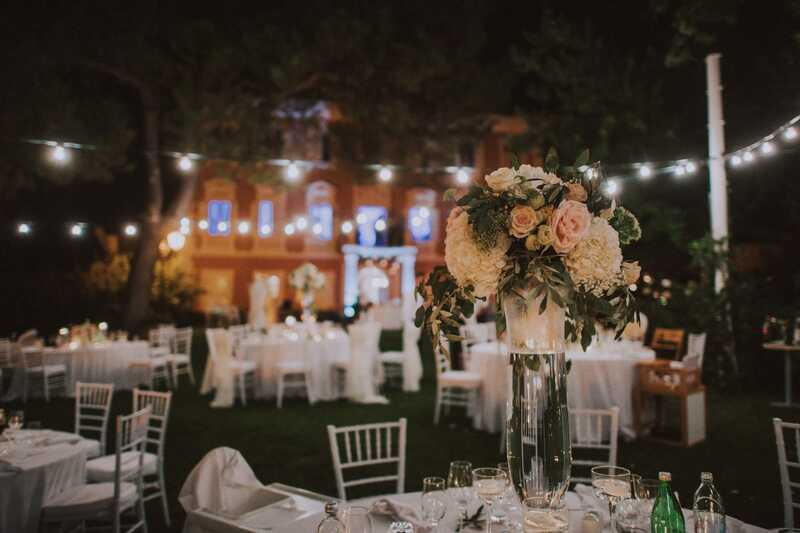 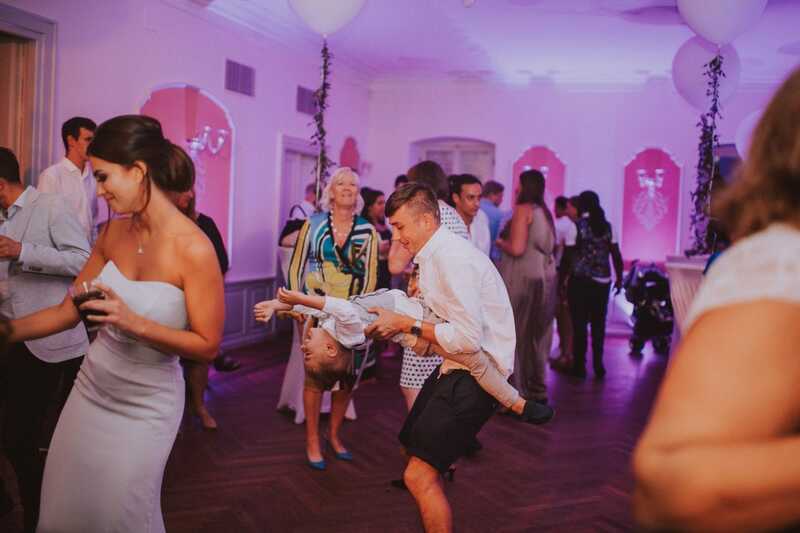 A stress-free wedding in Porec, possibly at Villa Polesini – what could be better? 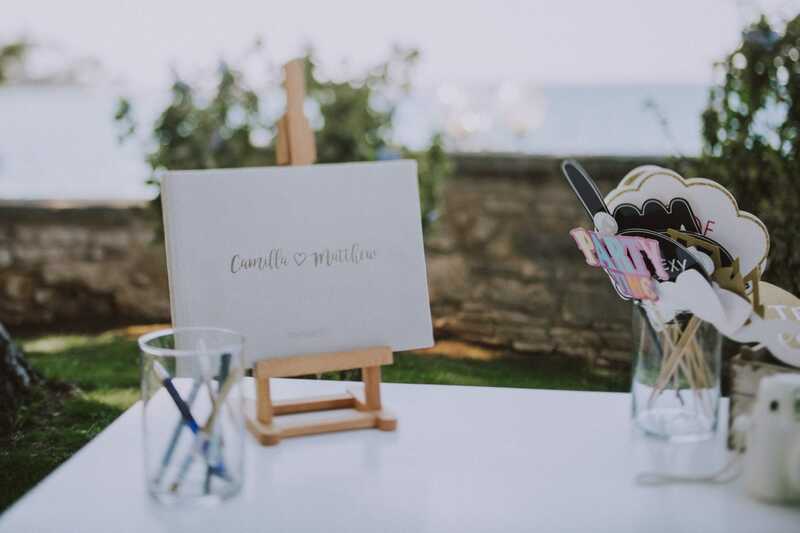 This is what Camilla and Matthew thought when they decided to celebrate their destination wedding abroad. 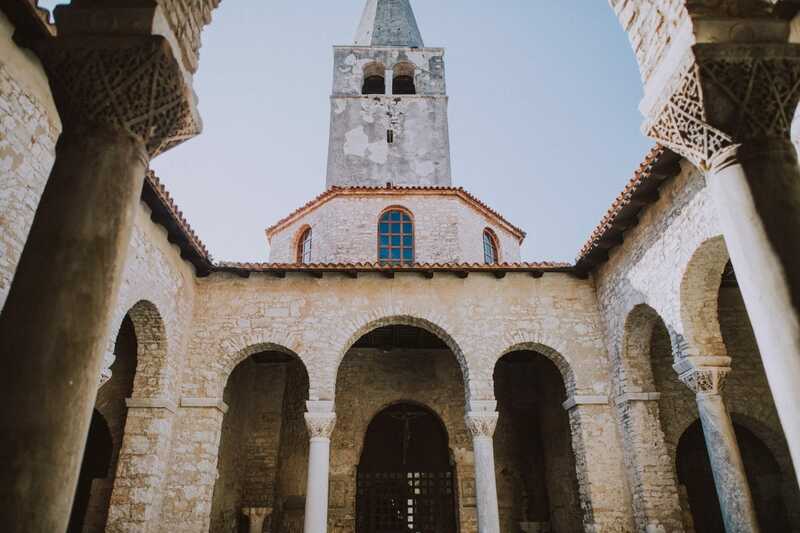 Where else than on this sunshine part of the Istrian peninsula? 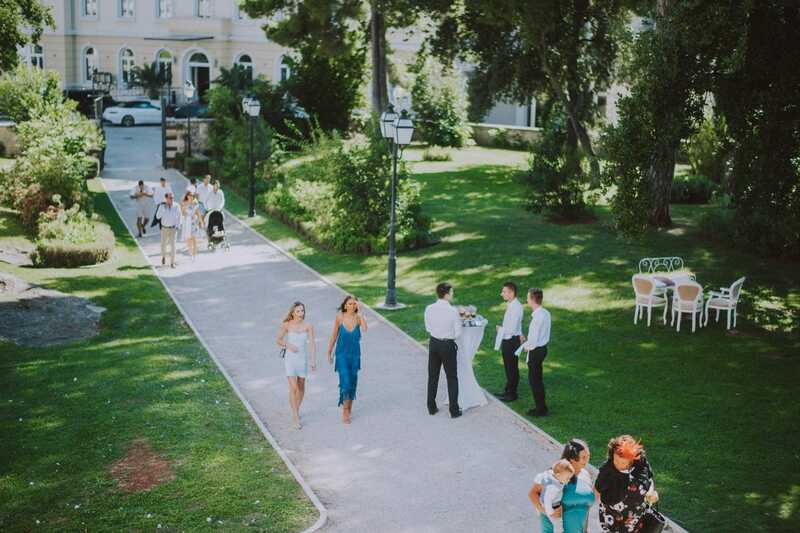 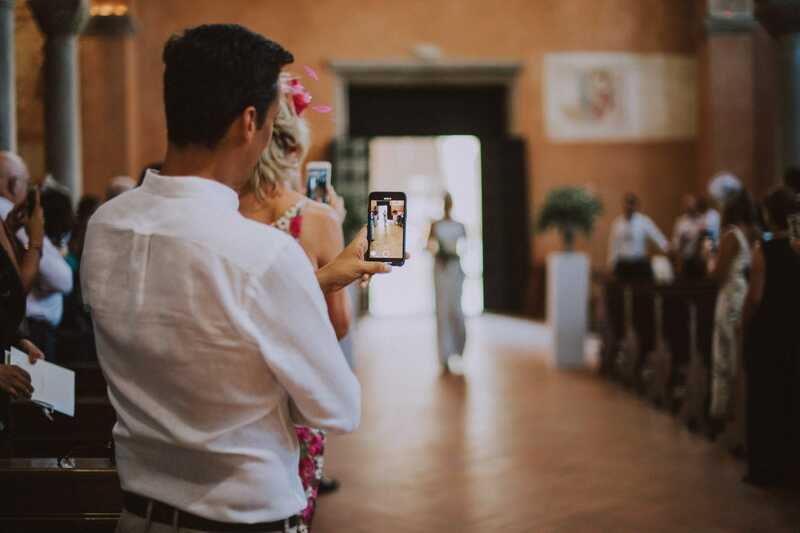 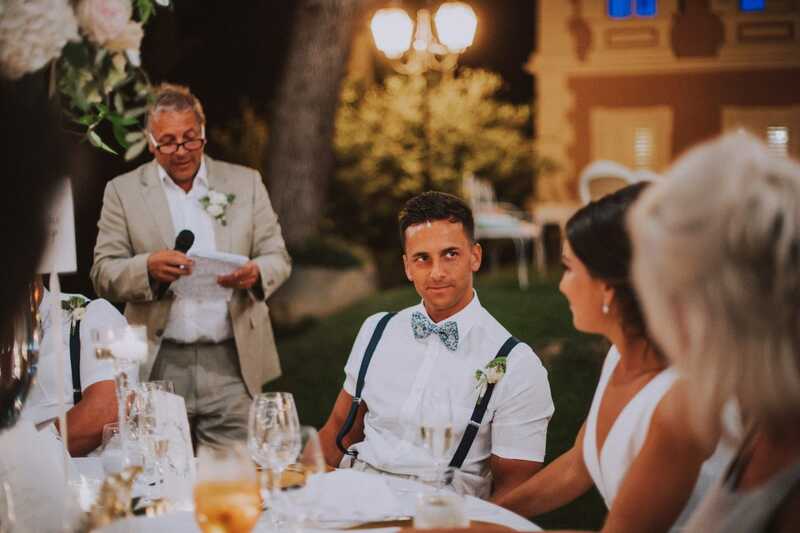 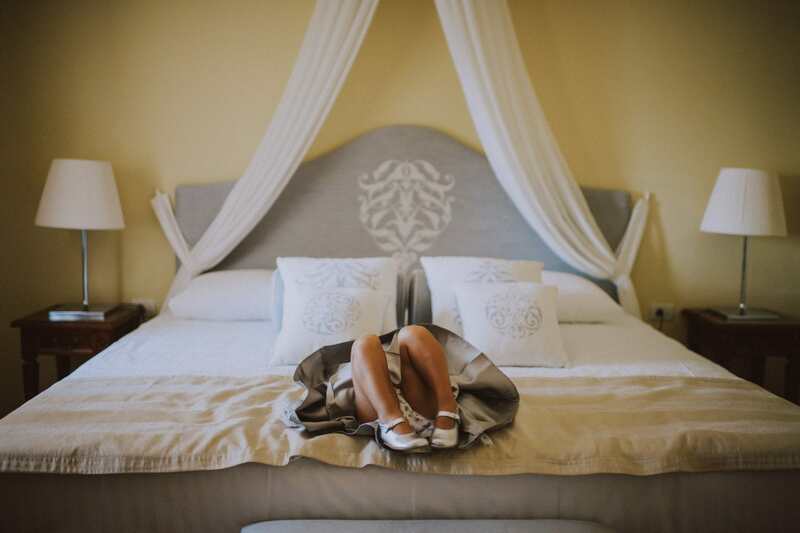 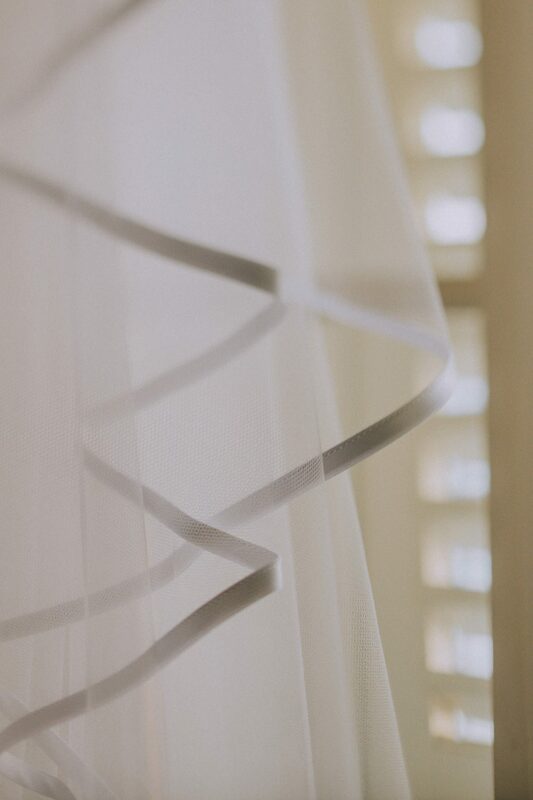 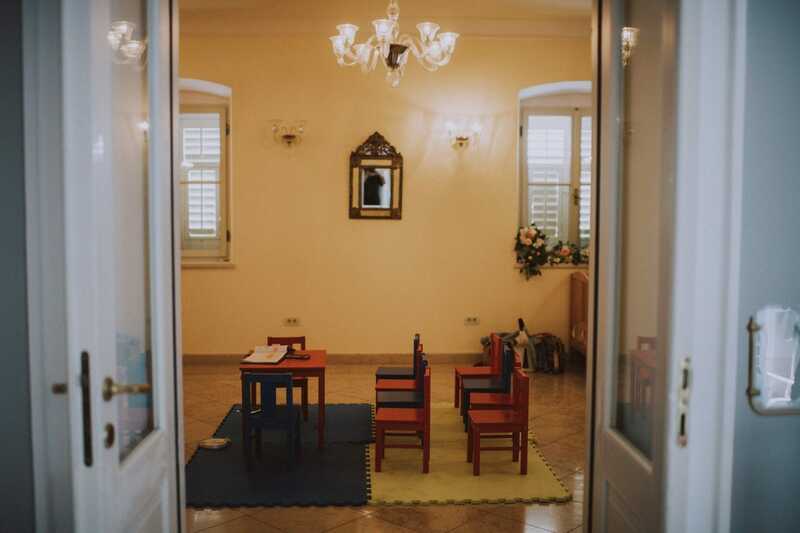 What makes a wedding at Villa Polesini so special, is that everything can take place in one place. 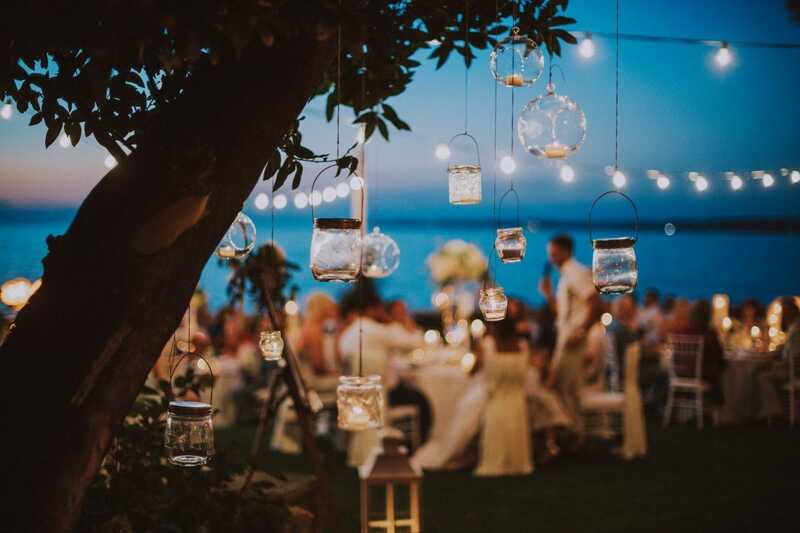 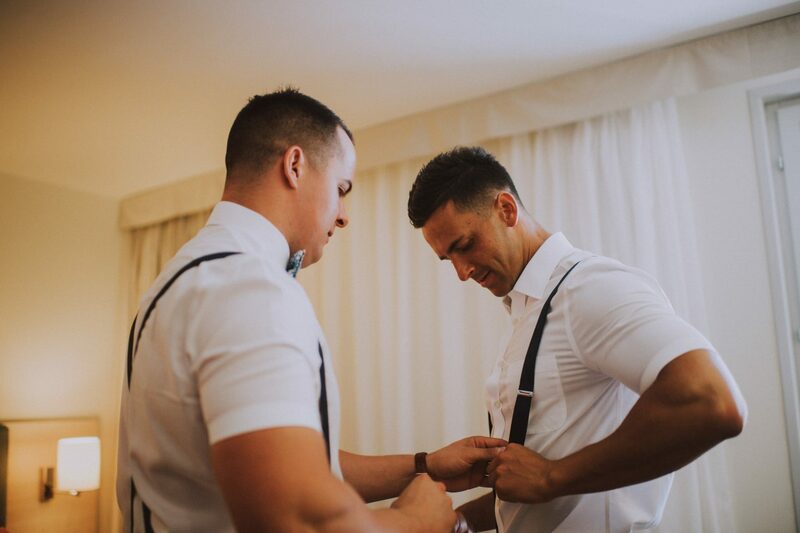 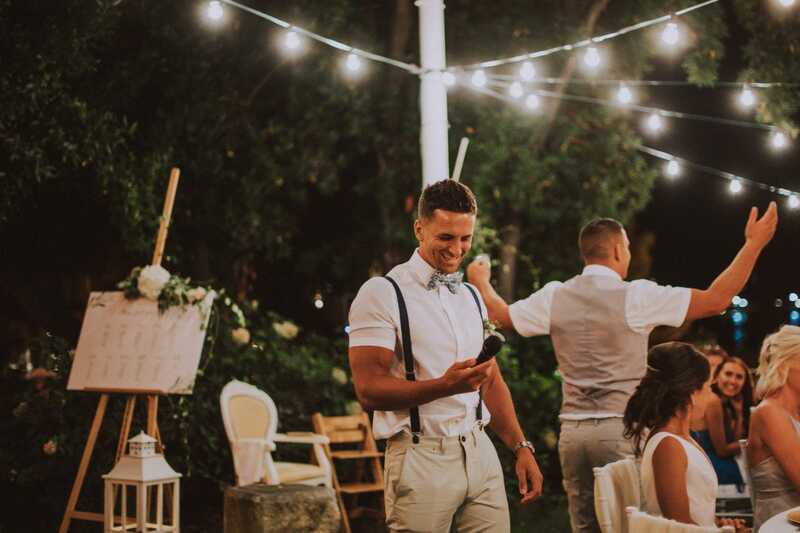 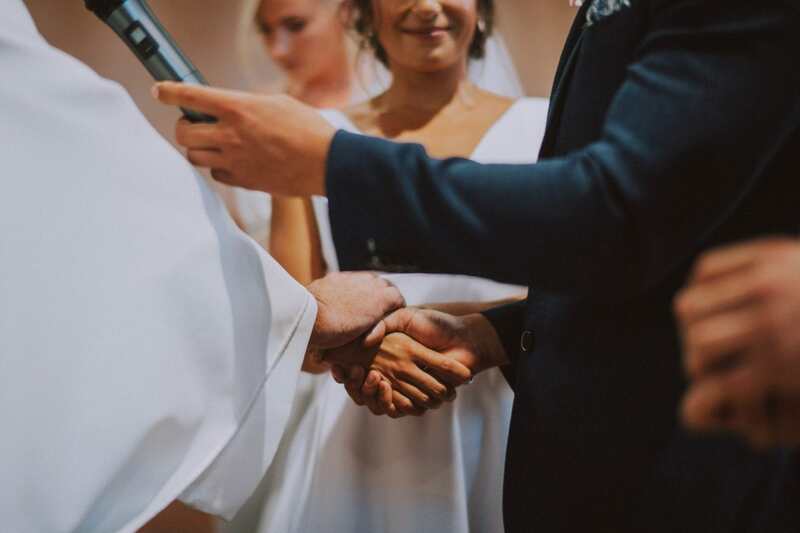 To plan a wedding from abroad might be really exciting but if you choose the support from Lepor weddings, nothing can go wrong. 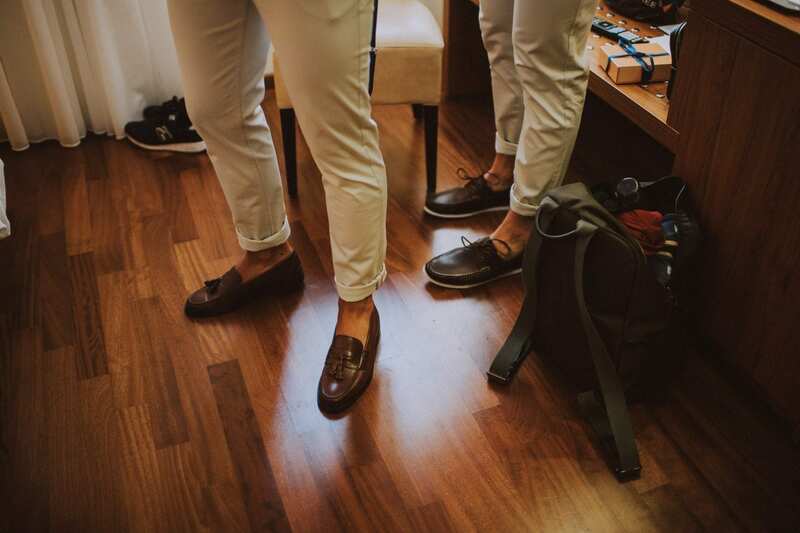 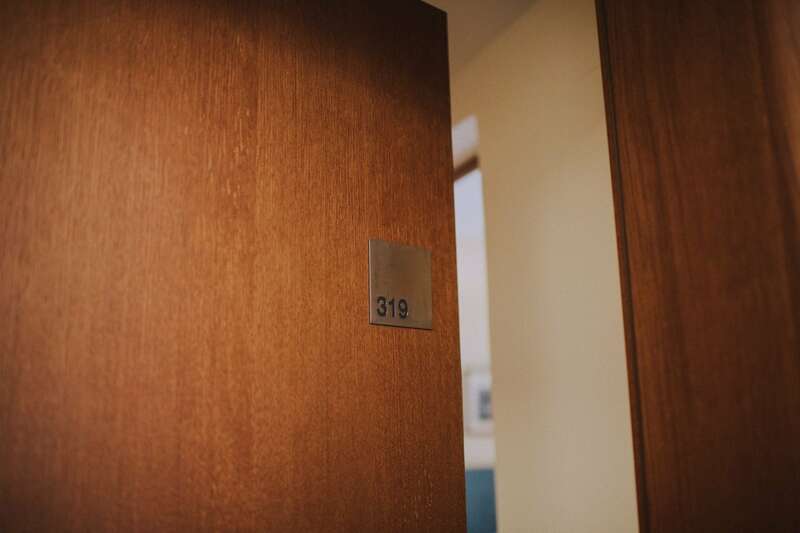 Matthew got ready at Hotel Riviera overlooking the seashore. 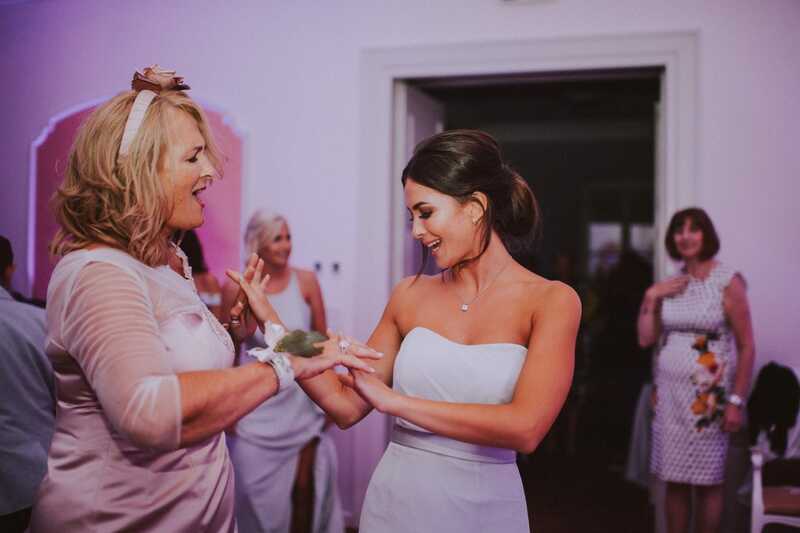 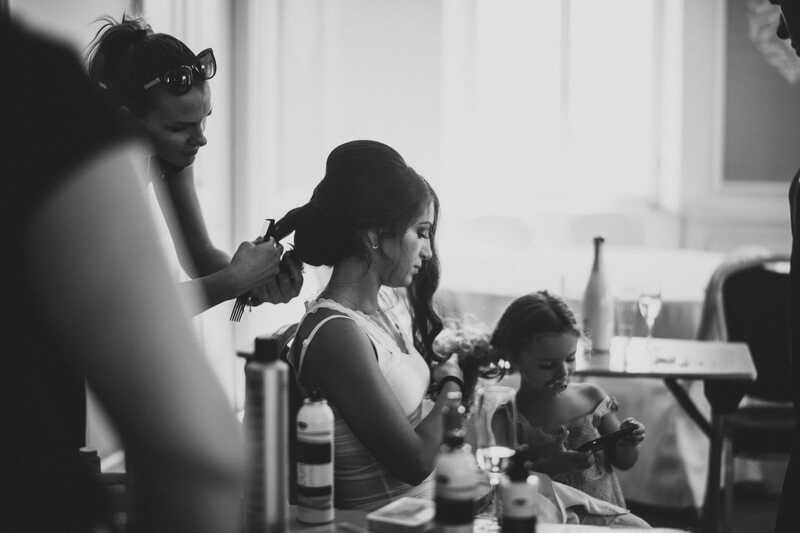 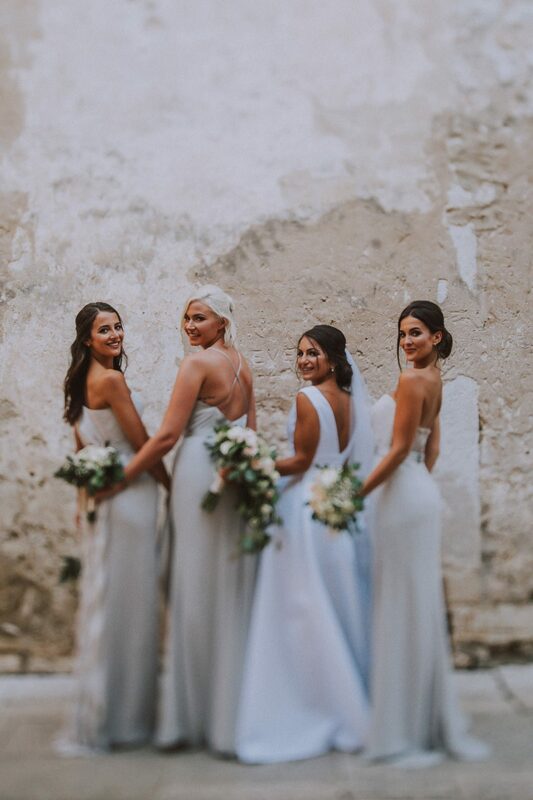 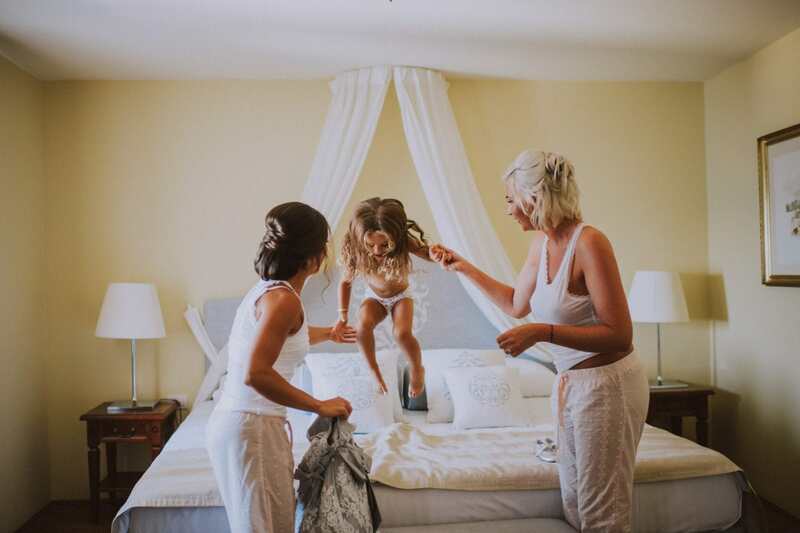 Similarly, Camilla got her makeup and hair done at the villa together with her bridesmaids and her daughter Laila. 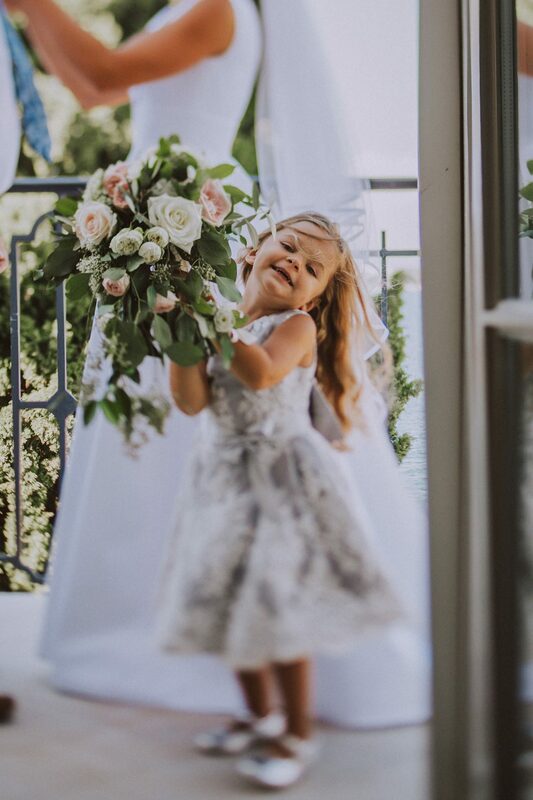 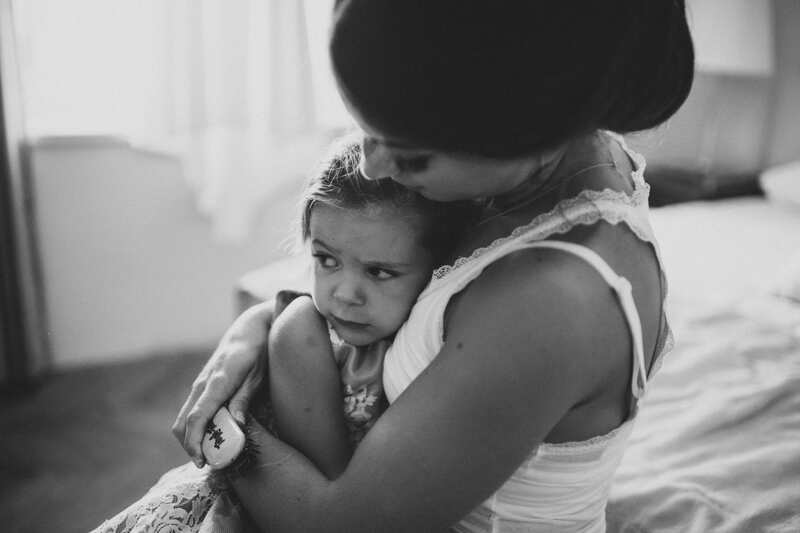 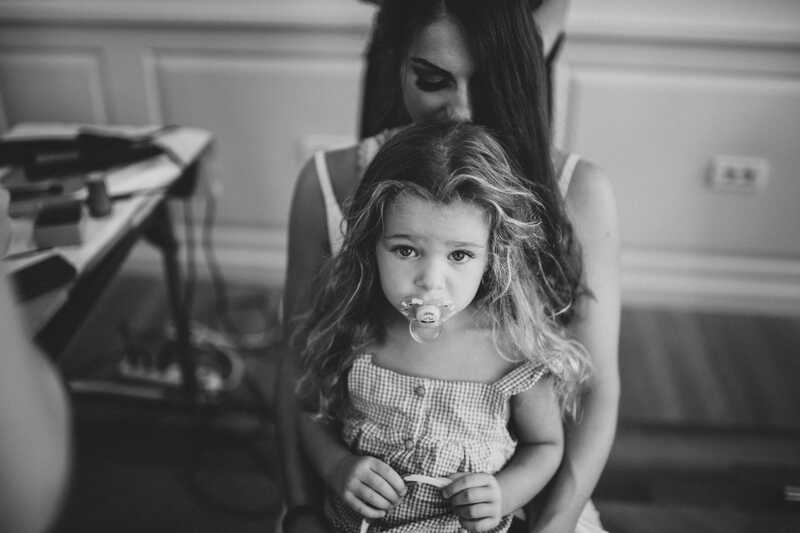 A super cute little girl with whom Camilla shared the most glorious moments. 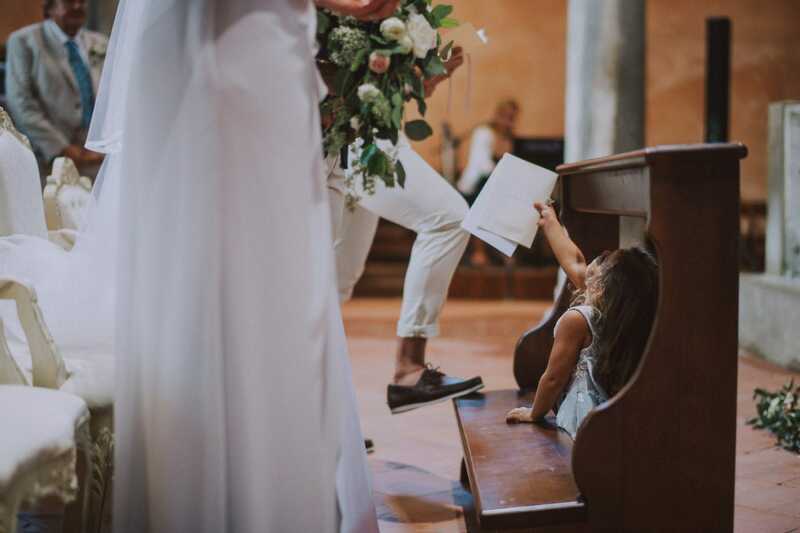 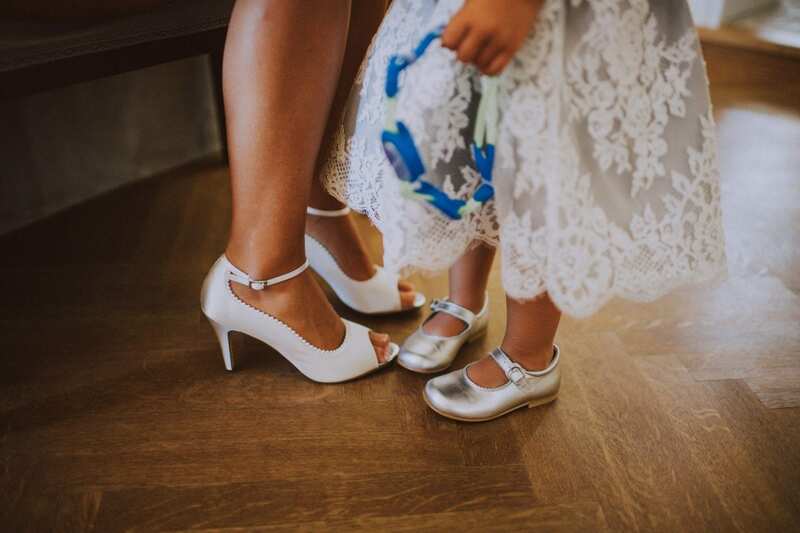 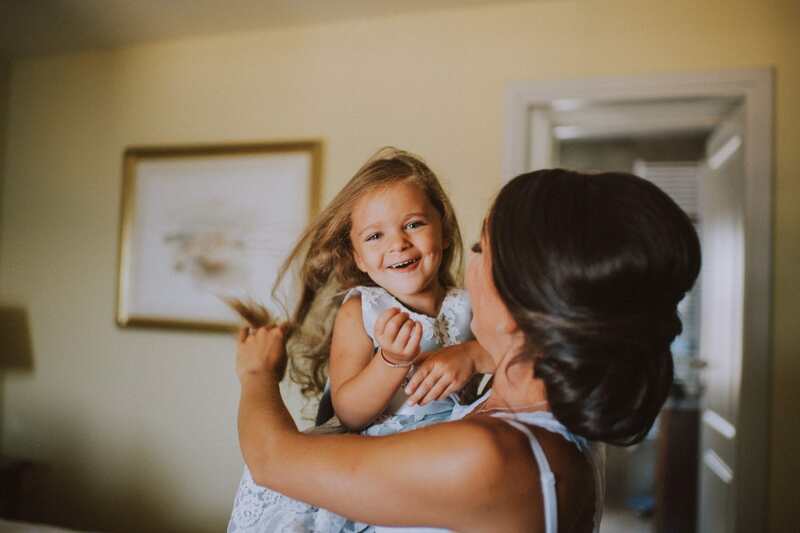 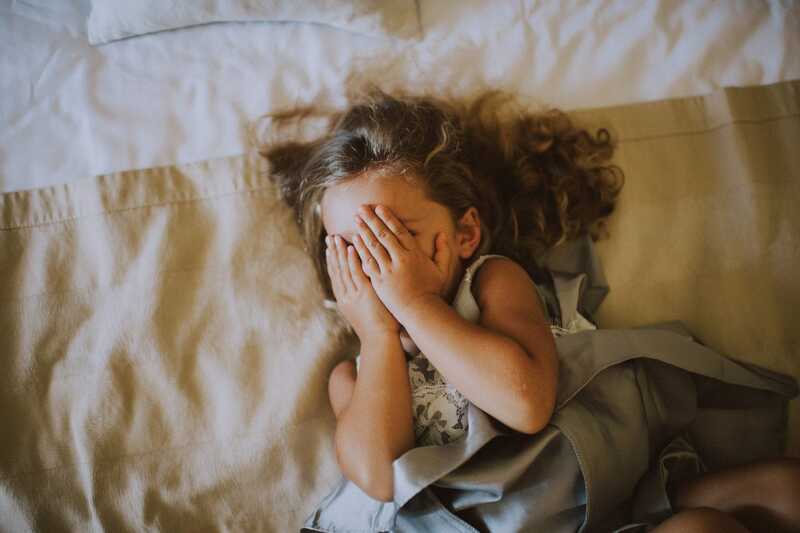 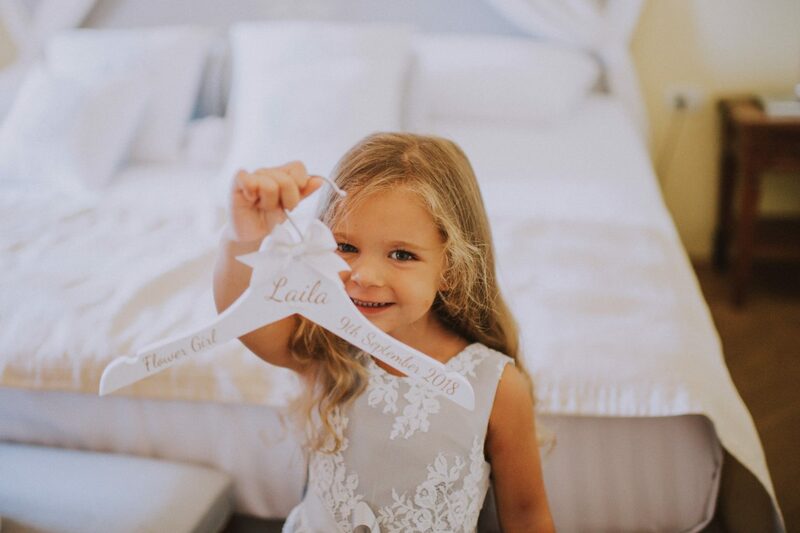 A lot of fun during the getting ready part before reaching the well known church together with her father. 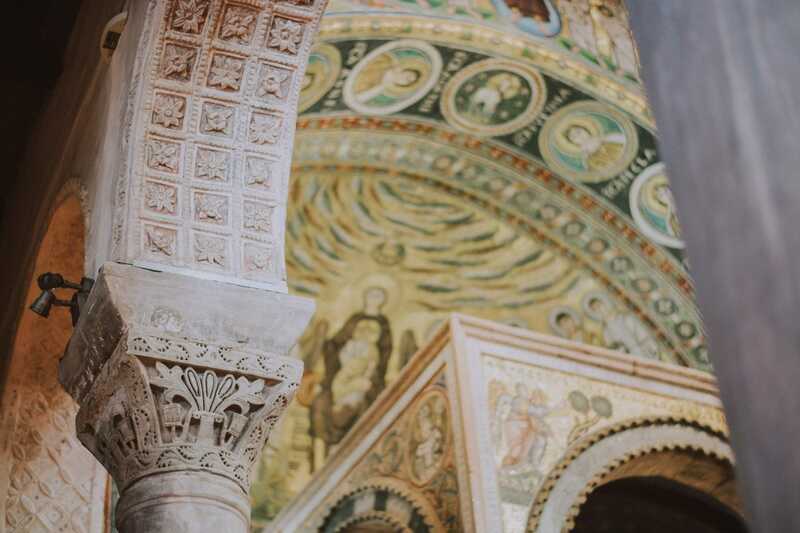 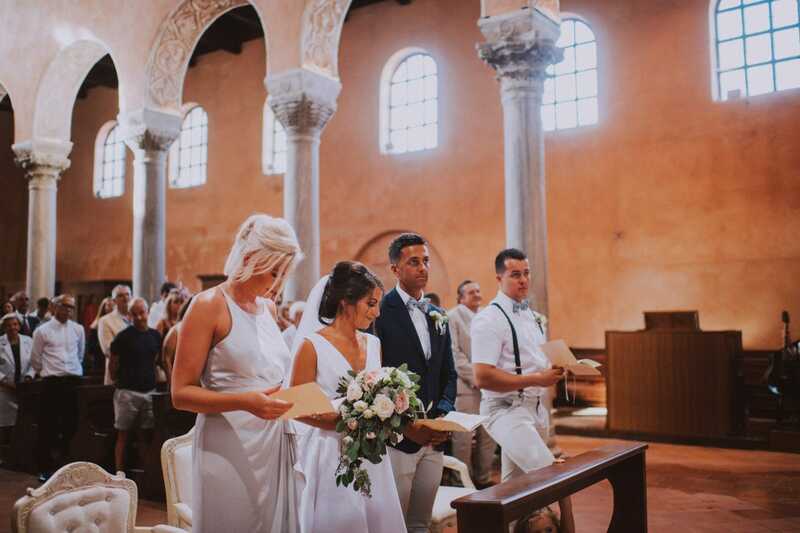 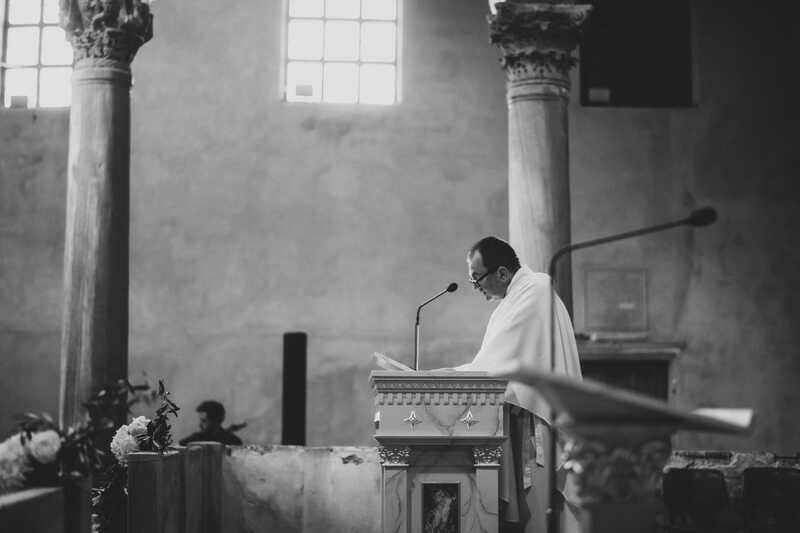 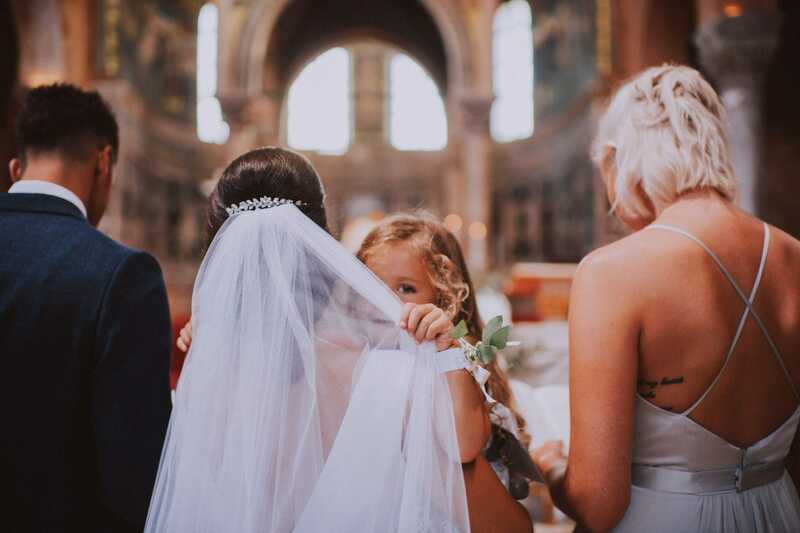 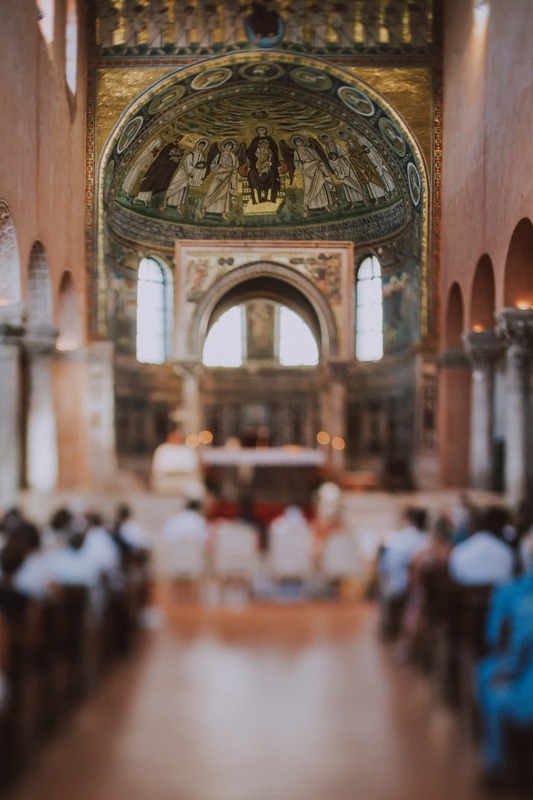 As can be seen, the ceremony occurred at Euphrasian Basilica in front of many moved guests. 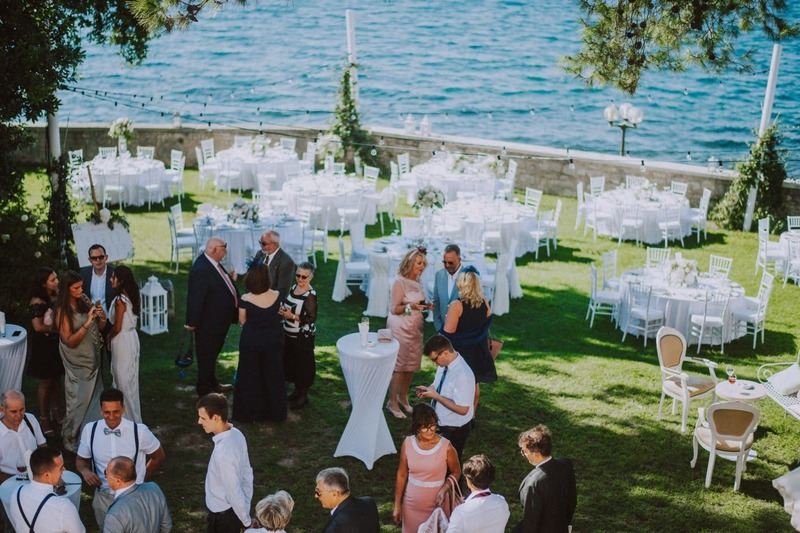 The cocktail hour took place in the garden of the villa with a beautiful view on the sea. 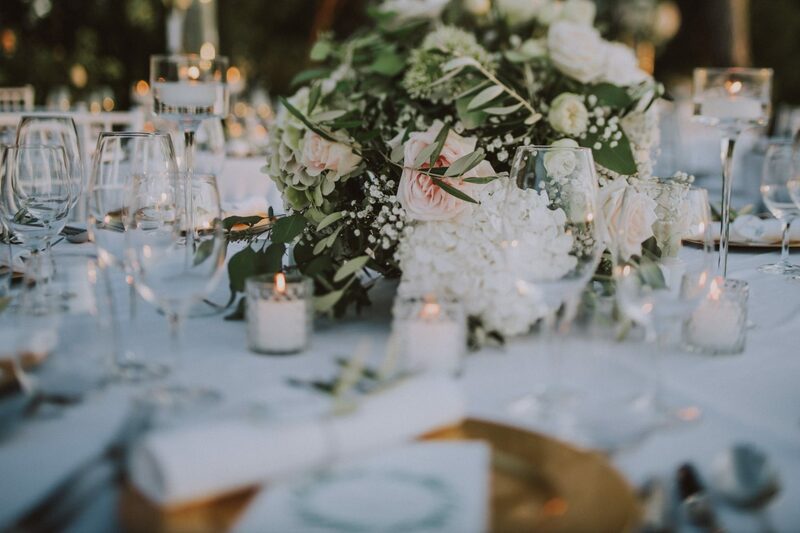 Here Samanta and Ivana had set up elegant tables full of flowers and candles, a truly fantastic atmosphere as result. 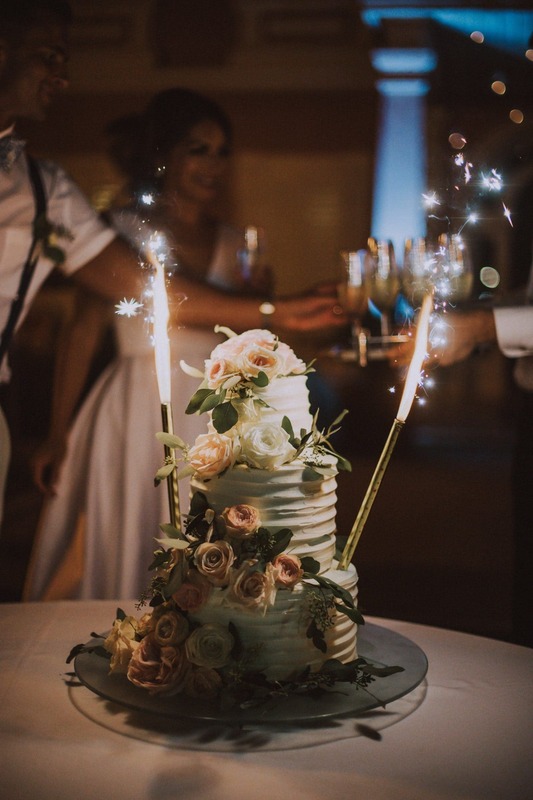 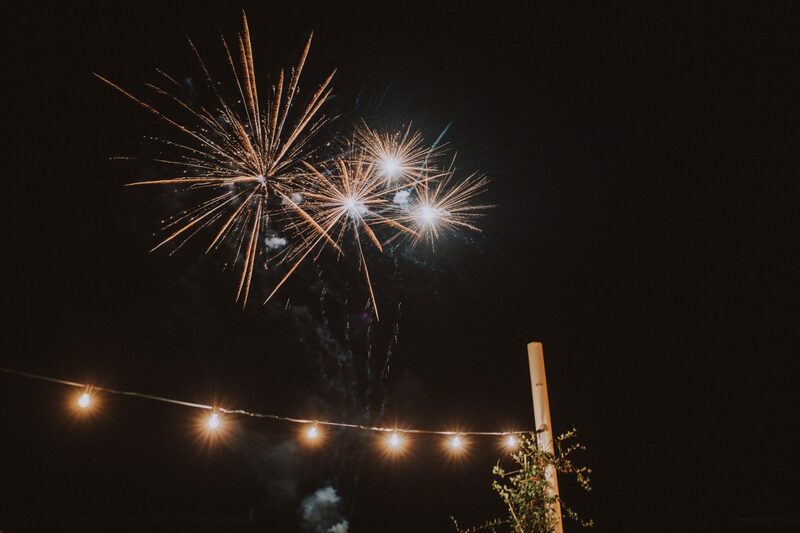 After the traditional speeches, our lovebirds cut the wedding cake enjoying the fireworks over the sea and danced for the first time as husband and wife. 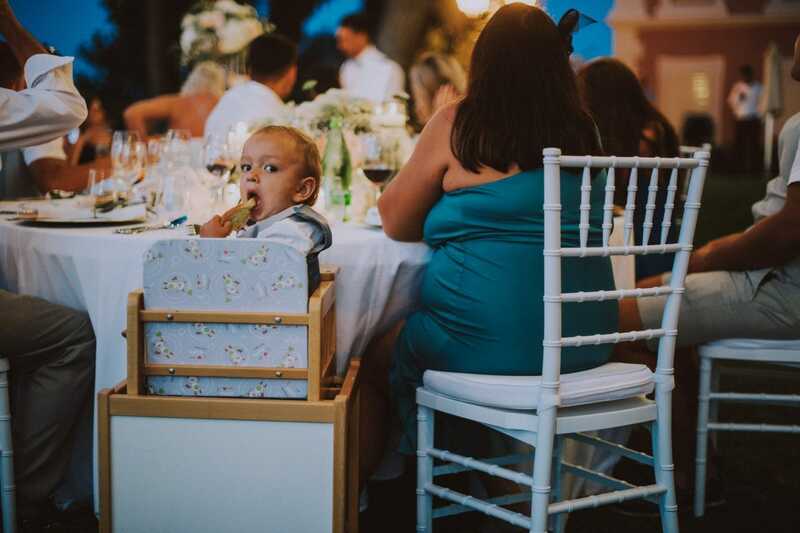 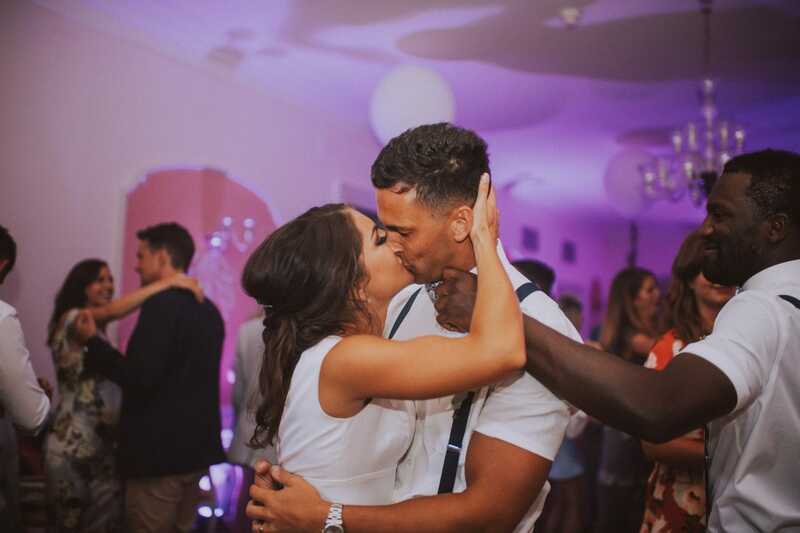 Obviously, their guests couldn’t wait to celebrate with them! 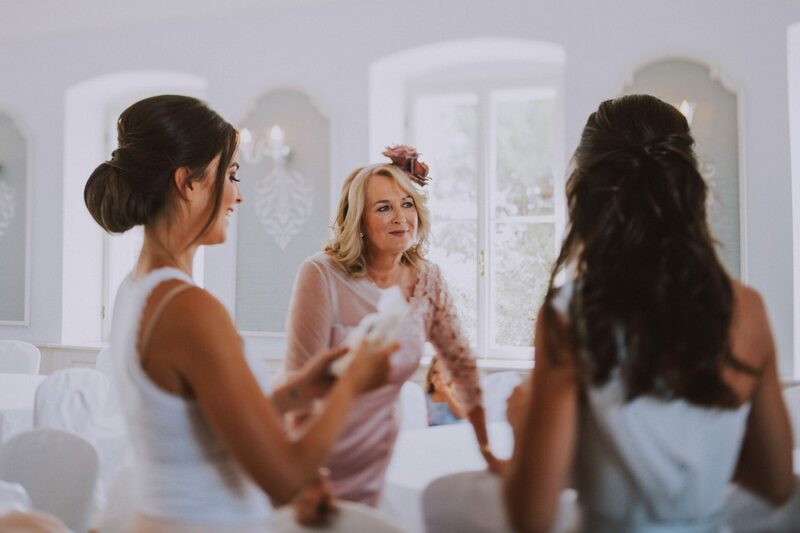 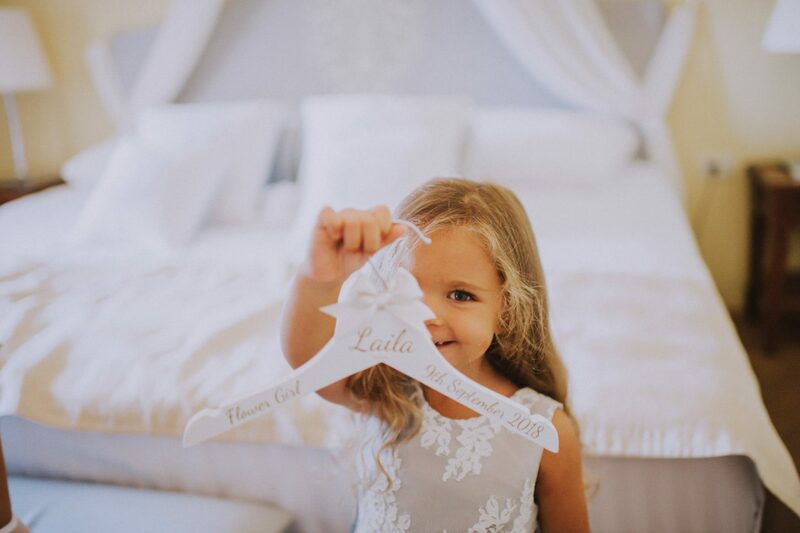 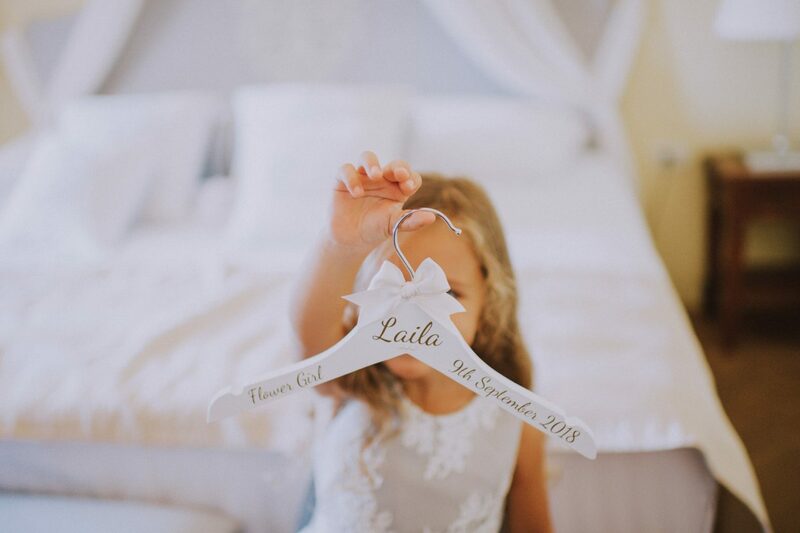 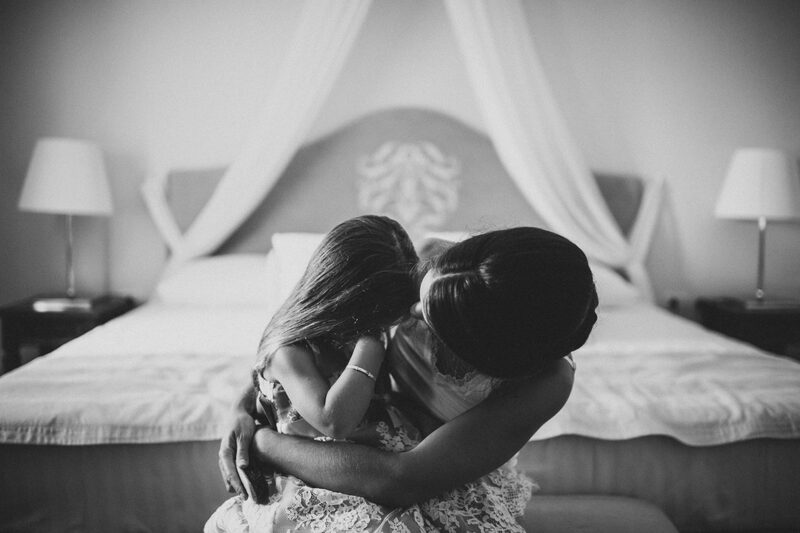 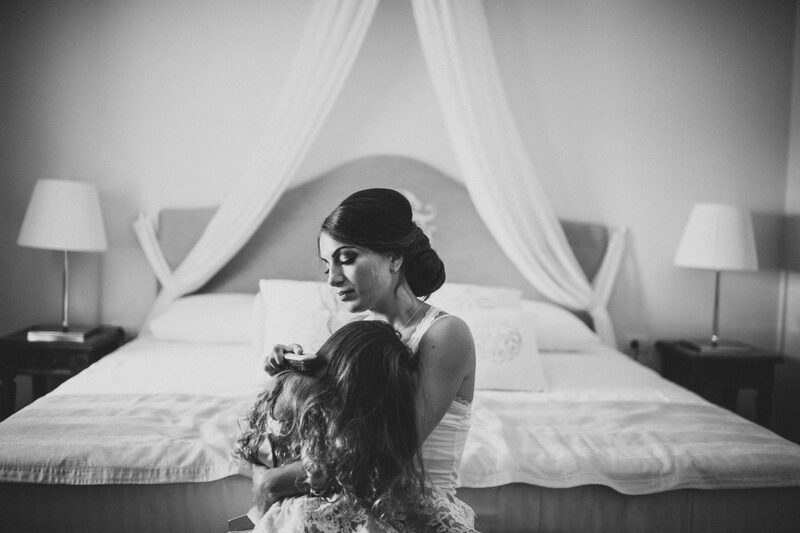 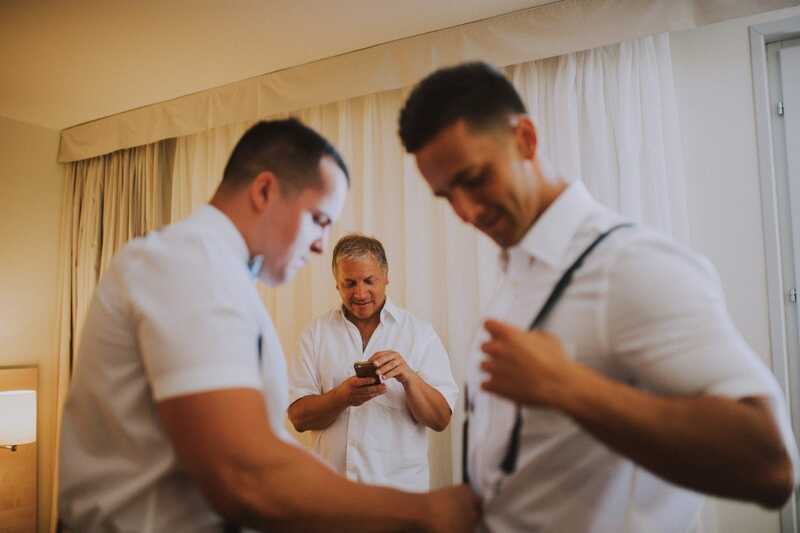 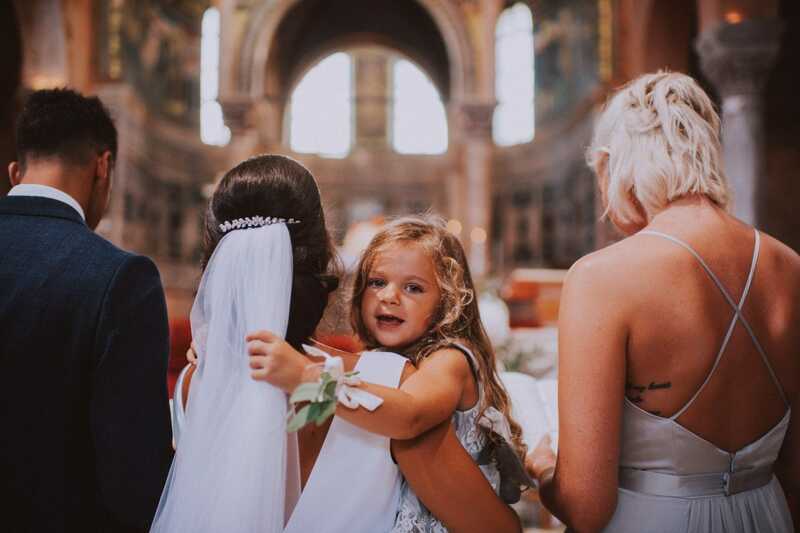 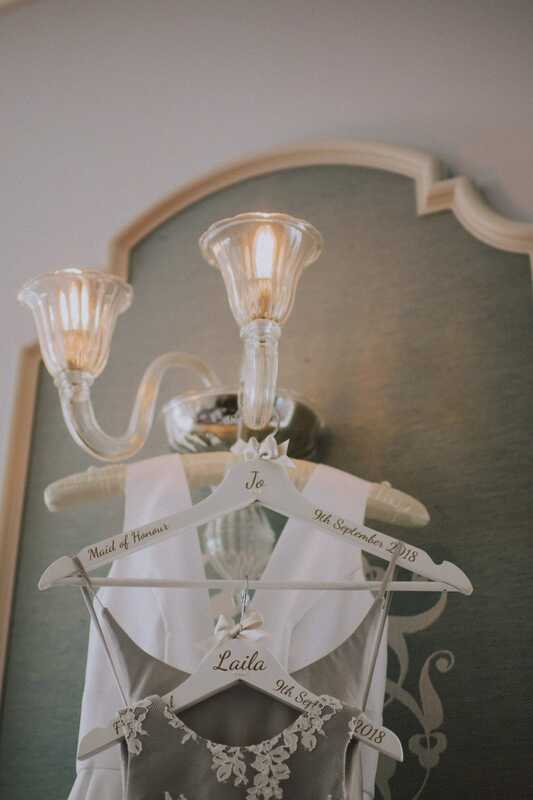 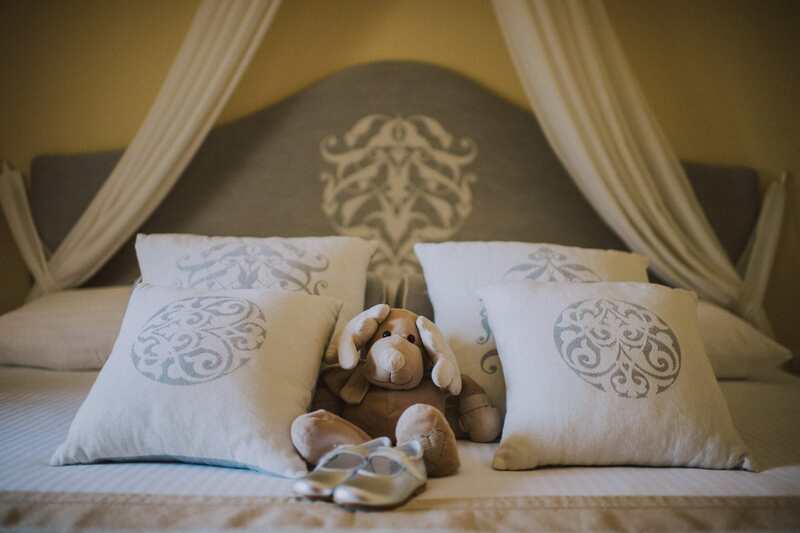 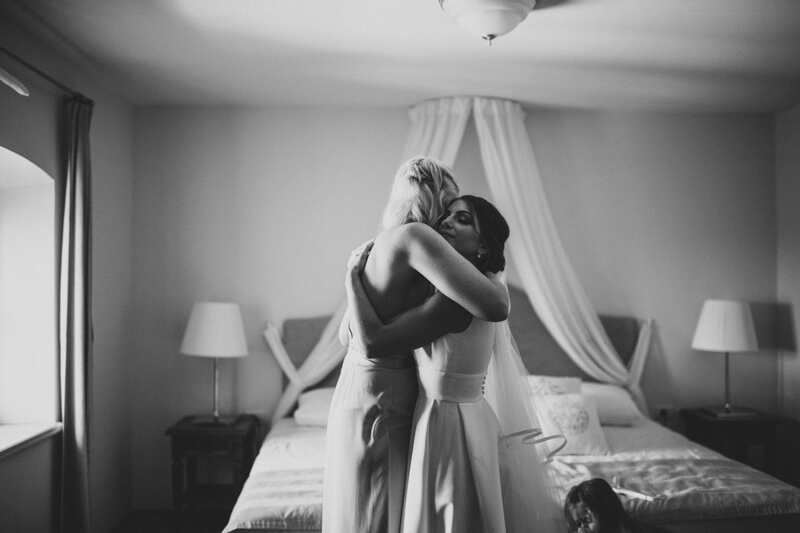 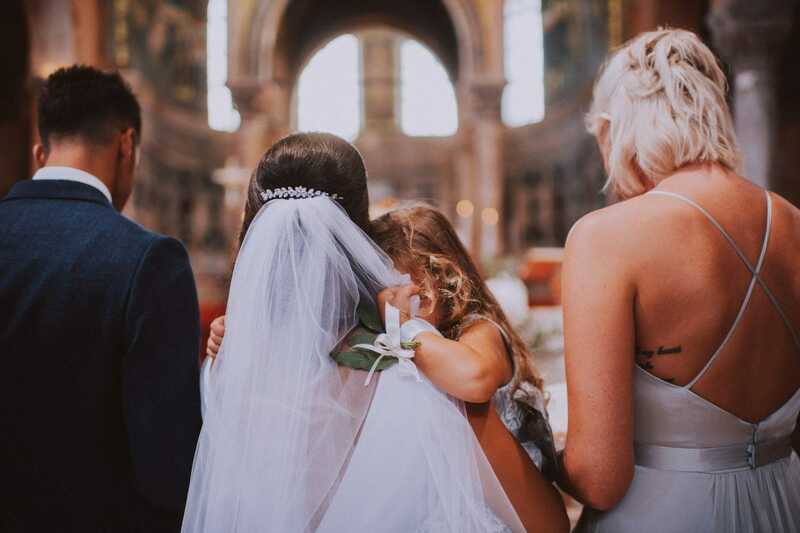 We are always deeply touched by the moments we spend with the bride and groom and their families and friends. 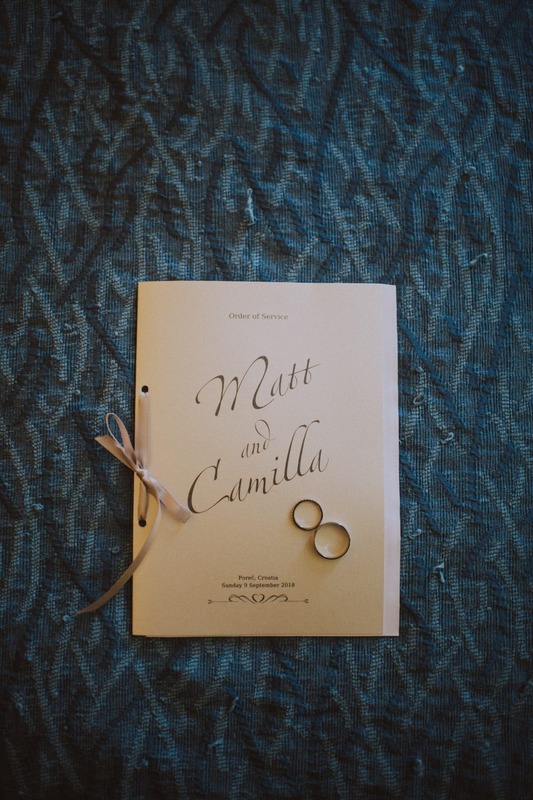 Of course, Camilla and Matthew’s wedding did not depart from this rule. 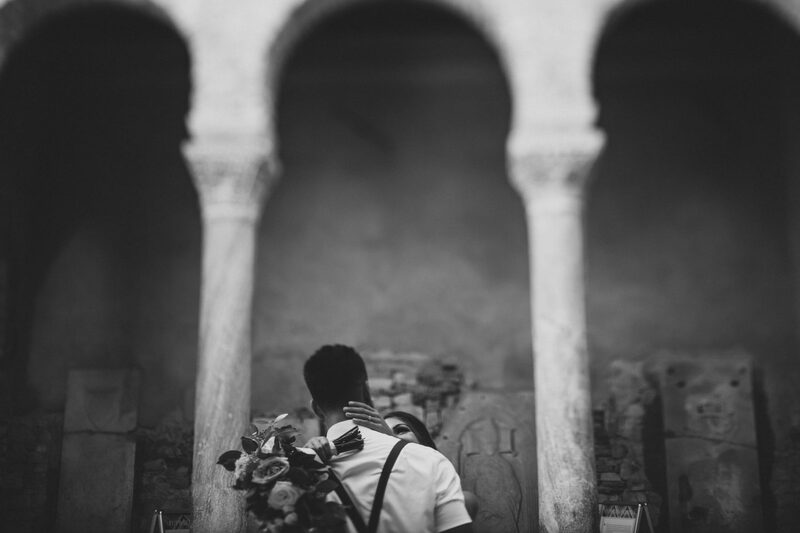 While browsing these images a few months later, everything we felt on that day remains untouched. 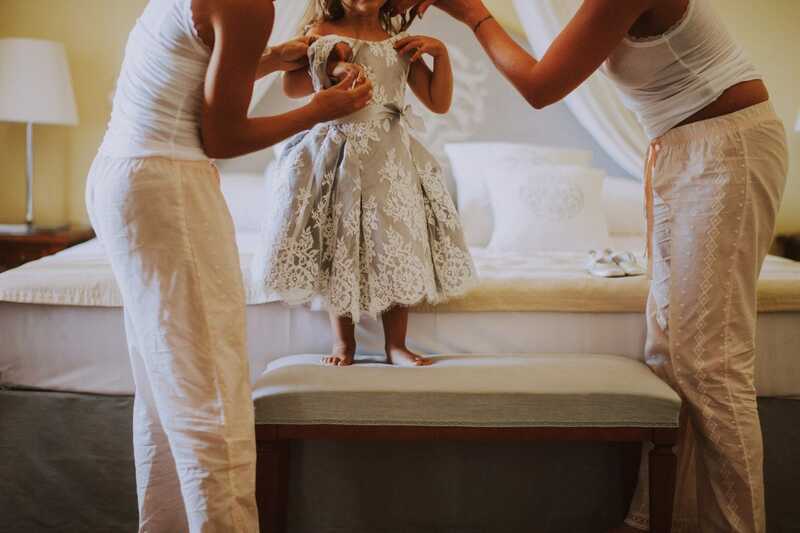 We still remember with delight strong emotions as much as small details.